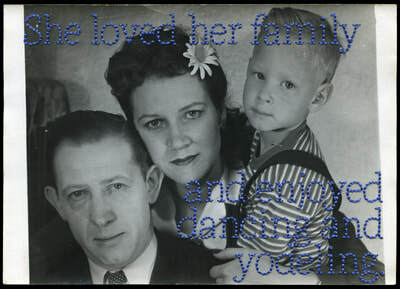 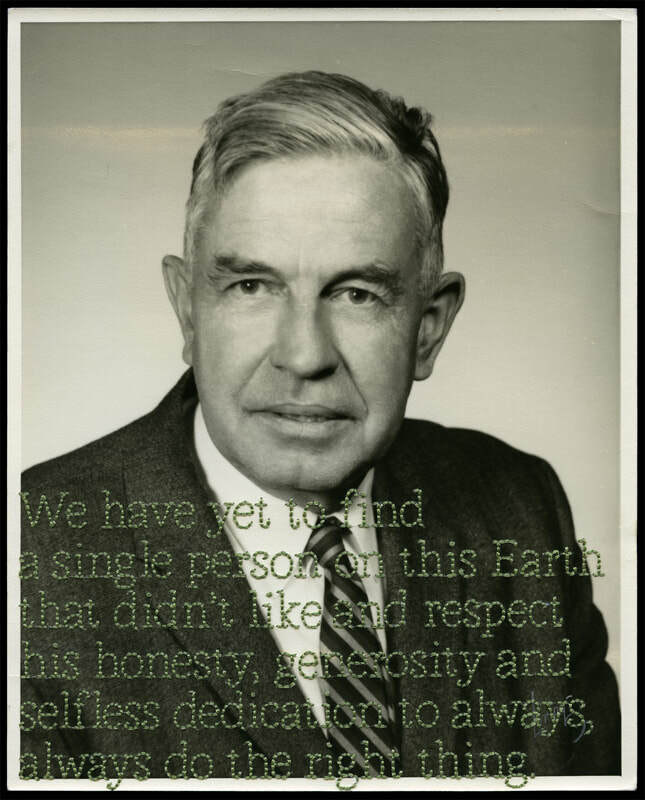 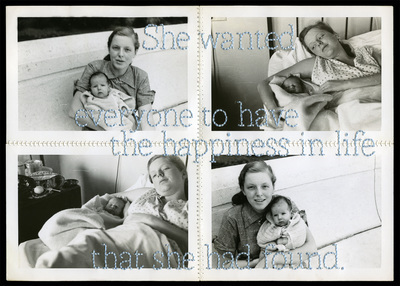 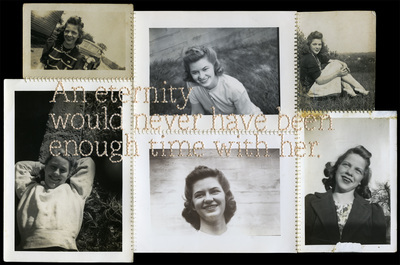 A family photo, the obituary­ — these record and form a life’s memories. 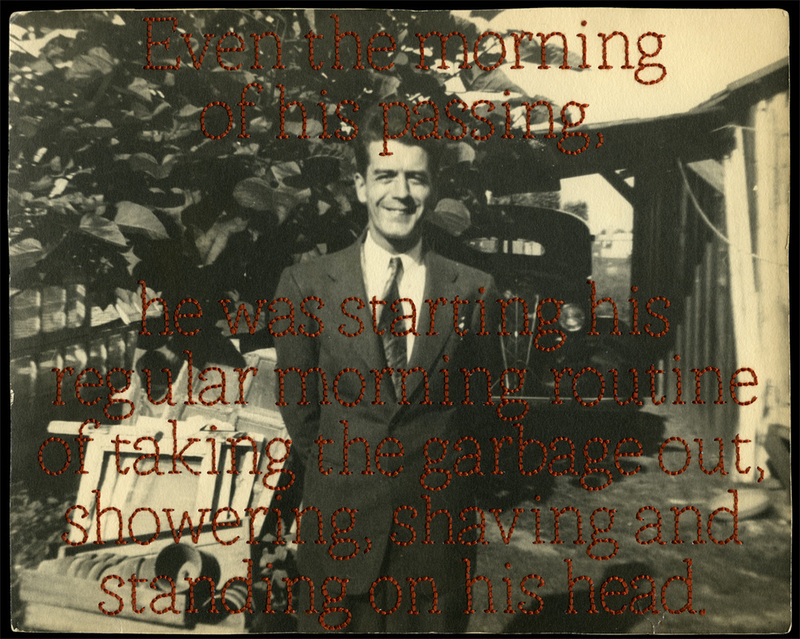 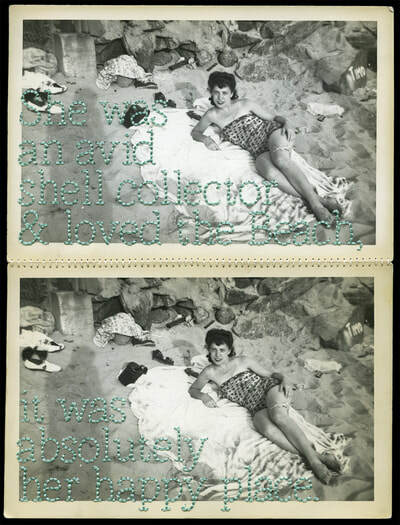 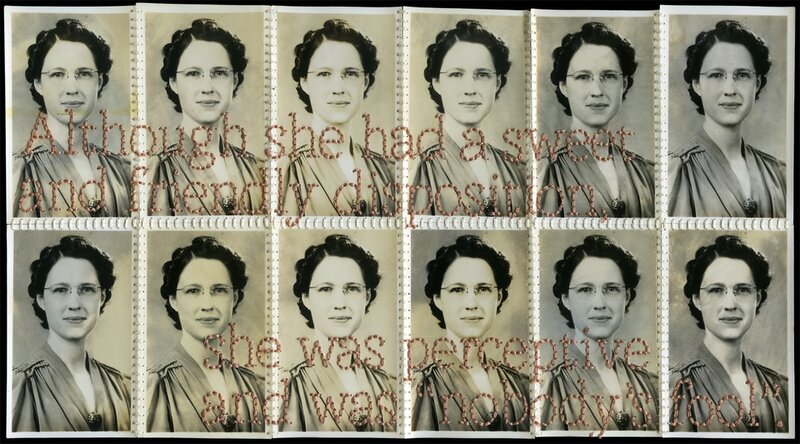 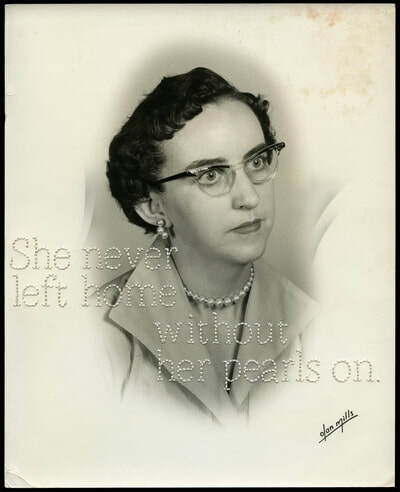 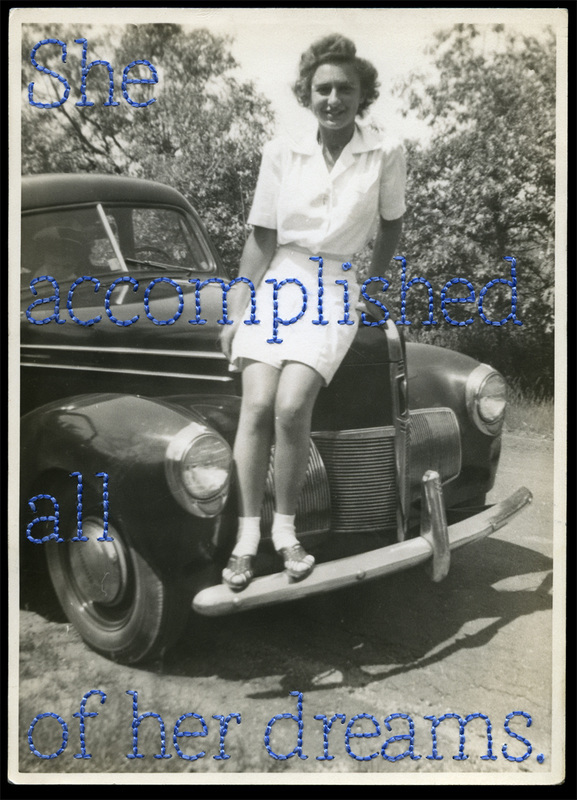 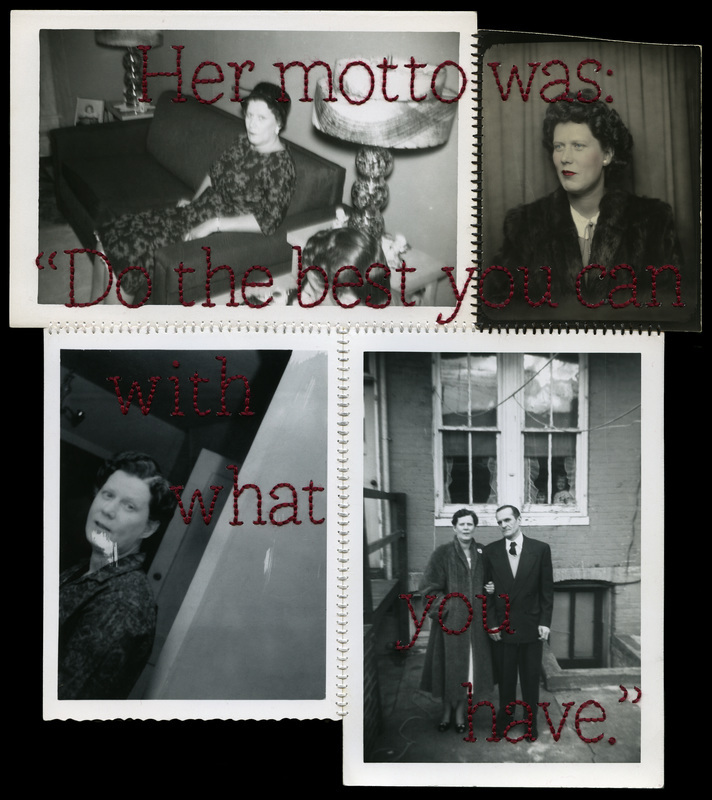 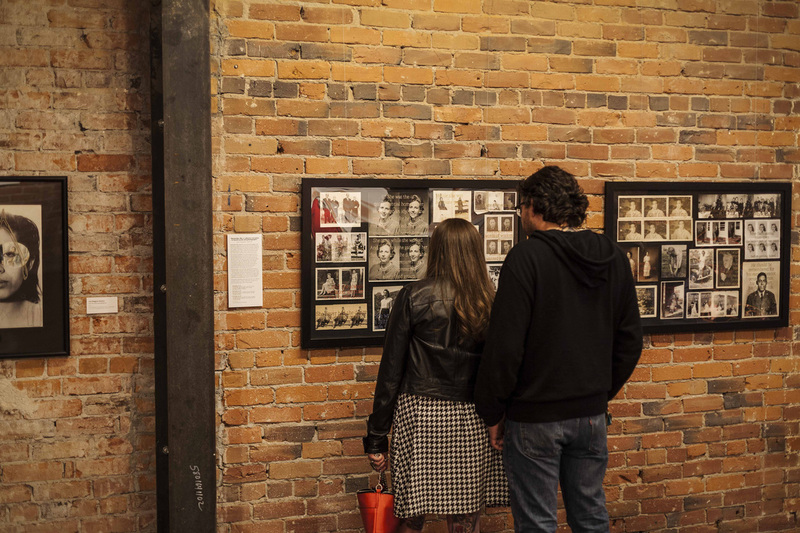 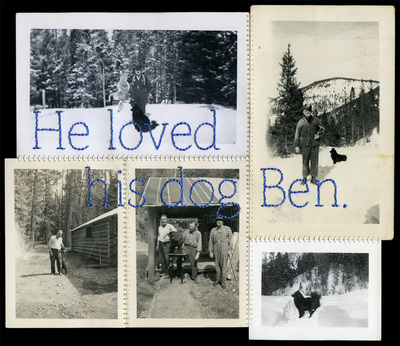 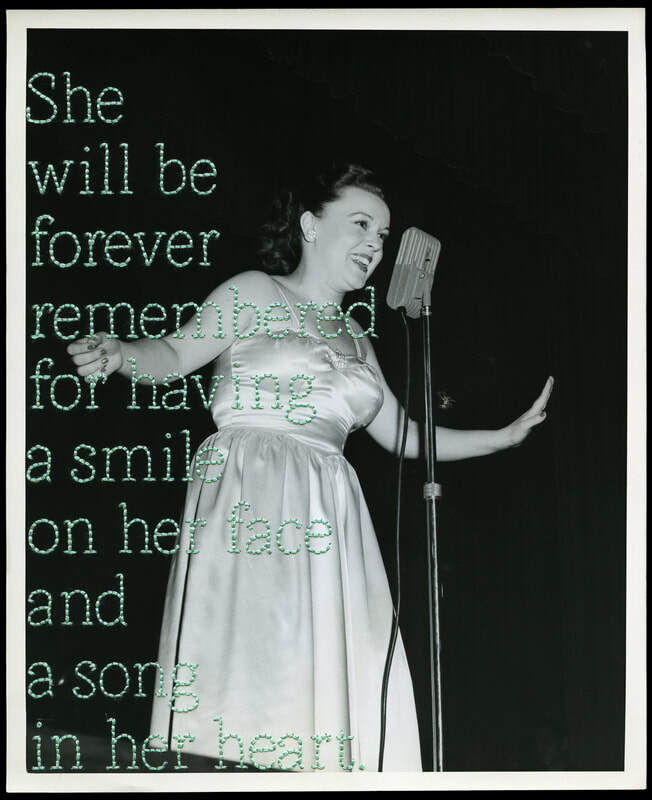 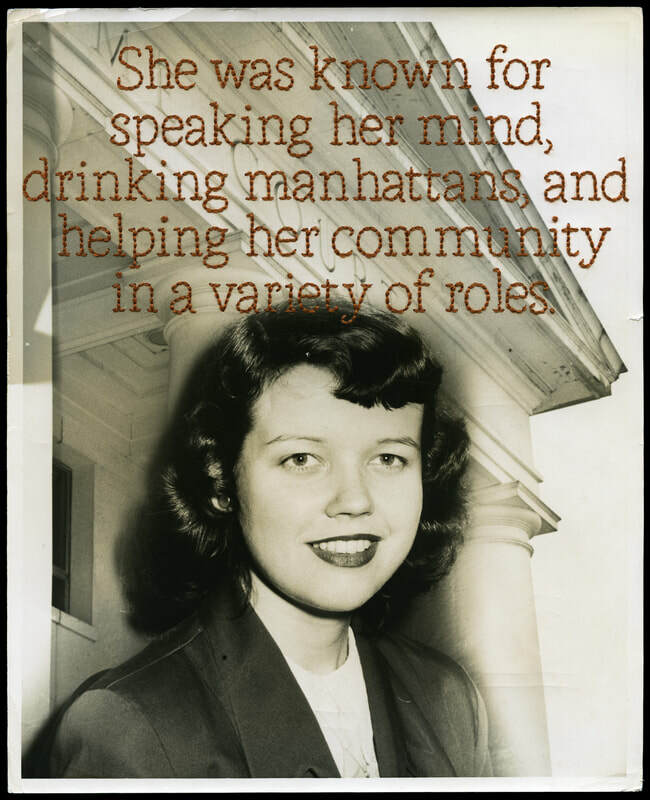 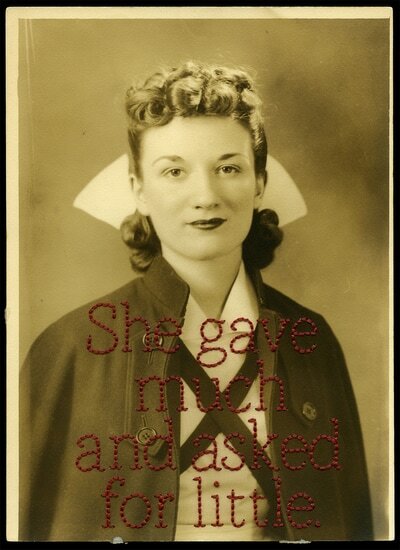 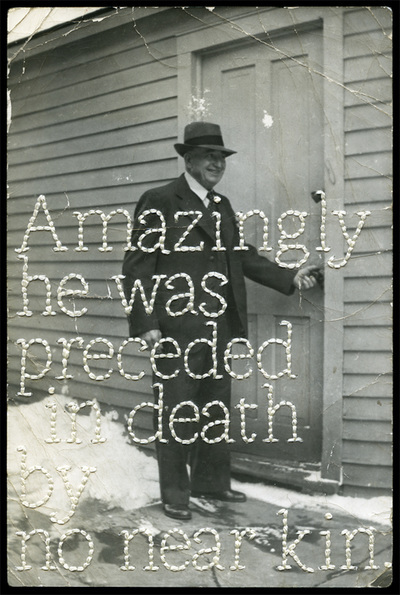 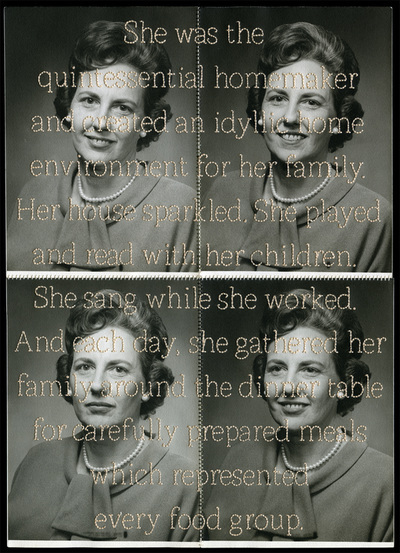 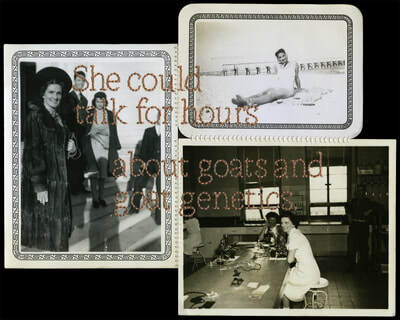 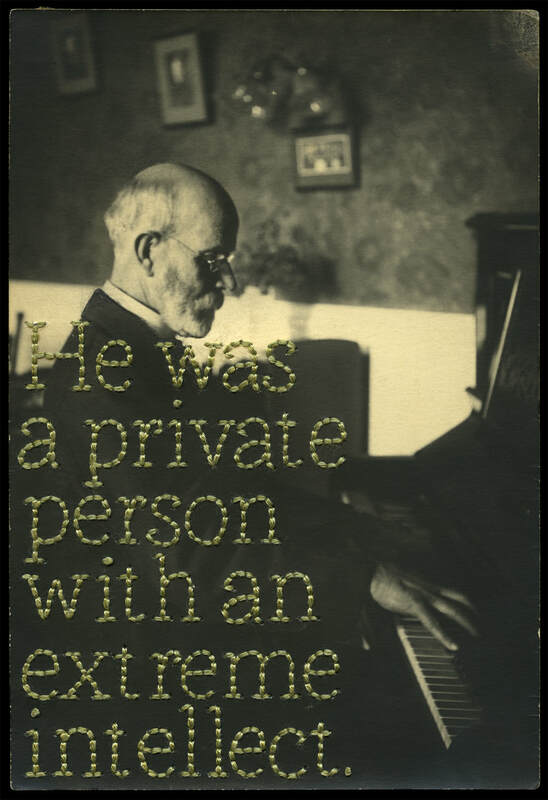 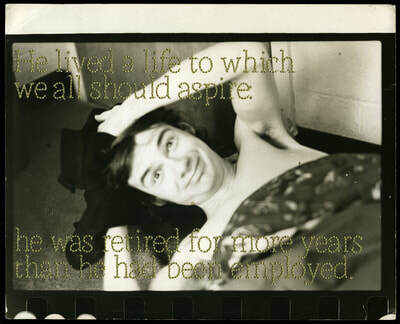 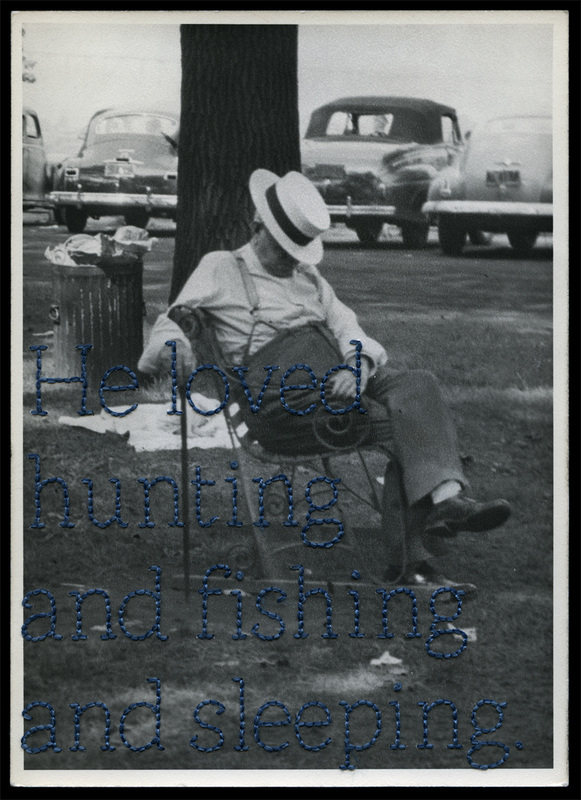 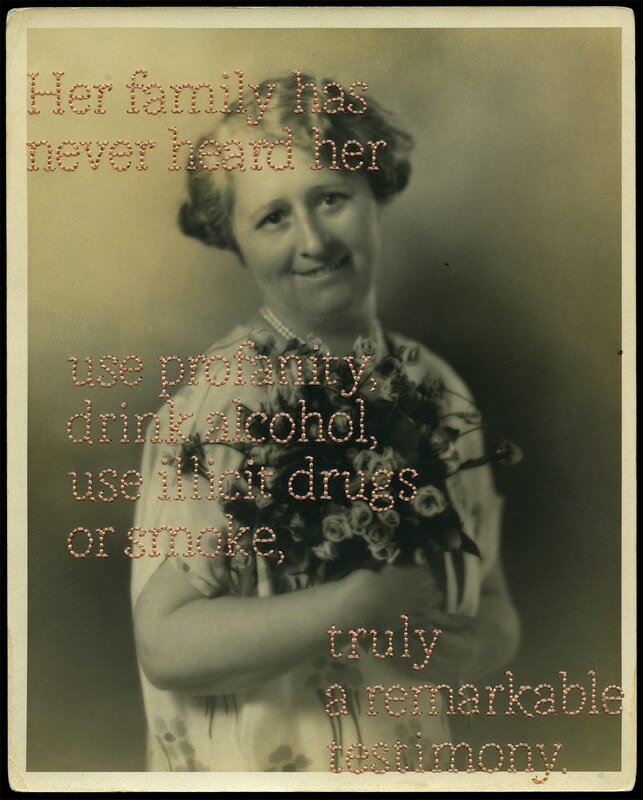 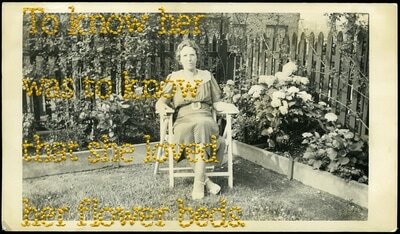 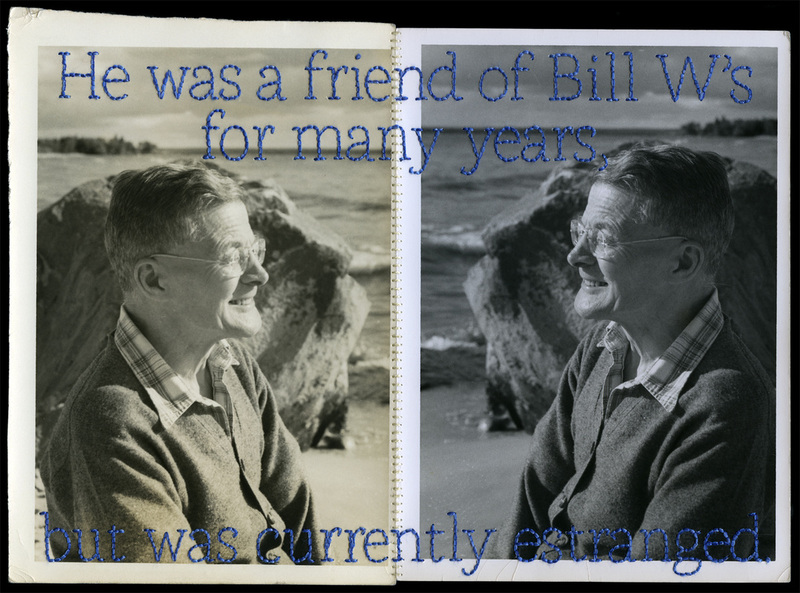 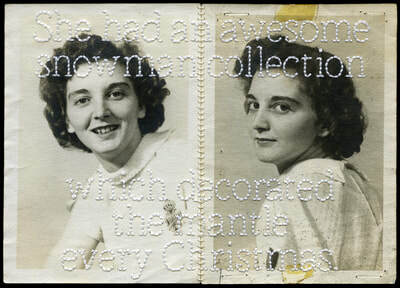 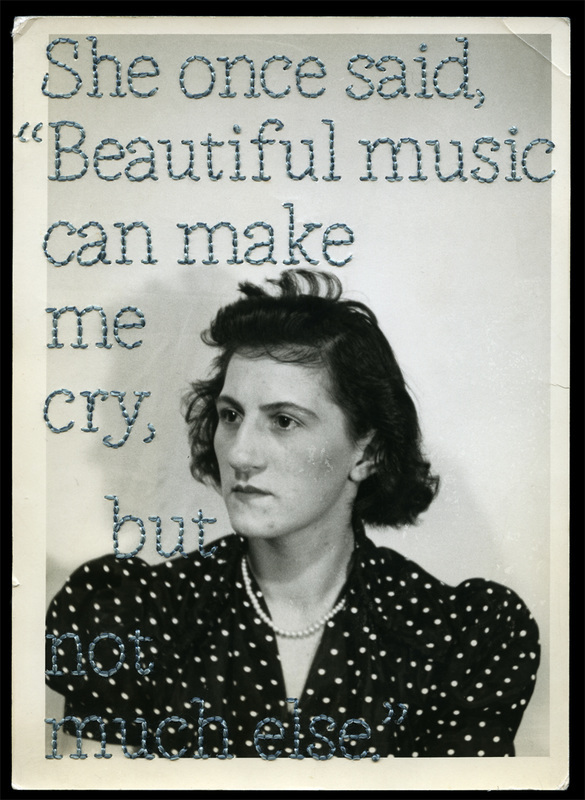 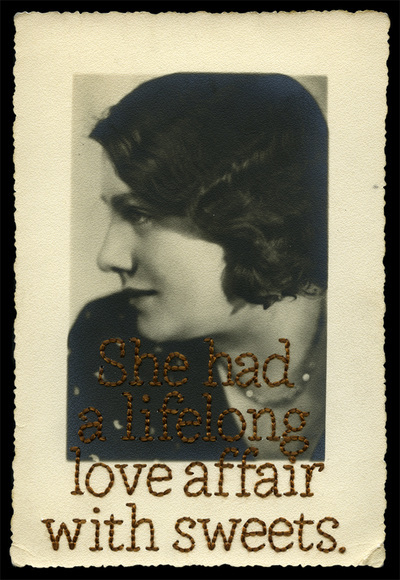 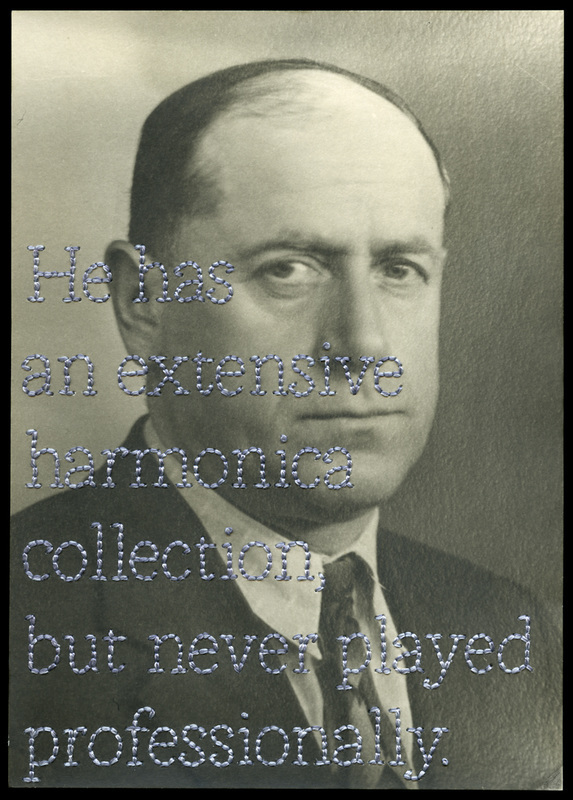 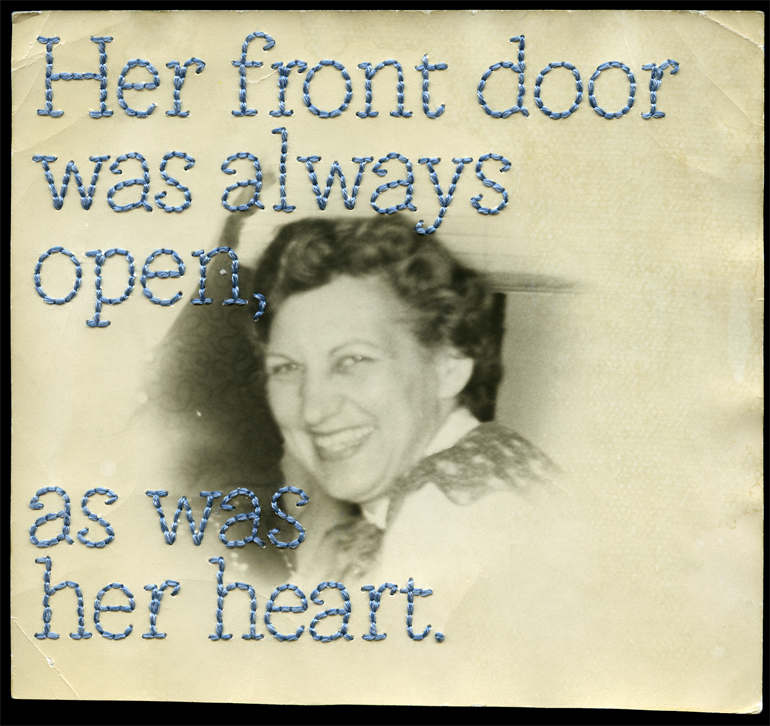 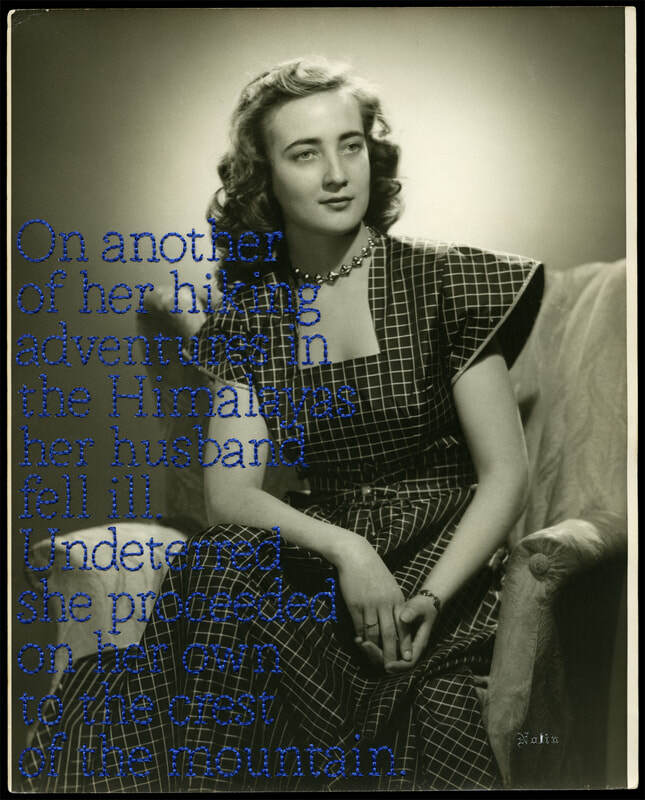 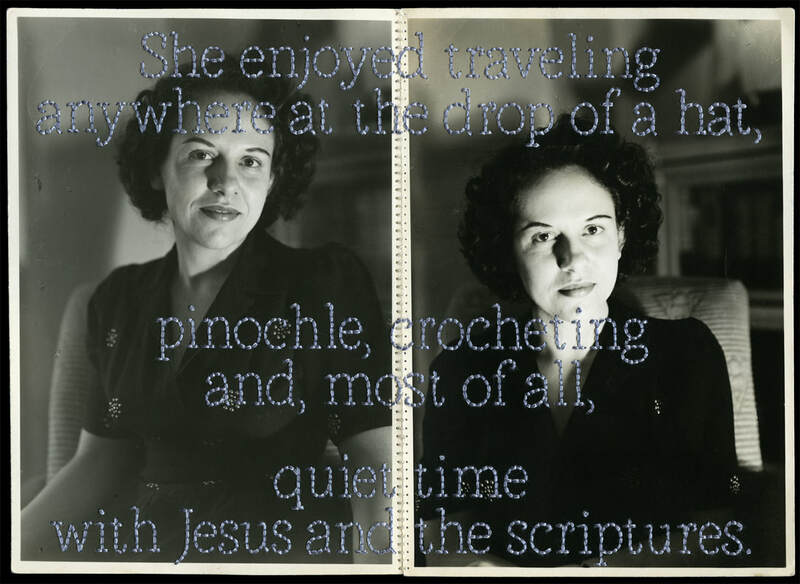 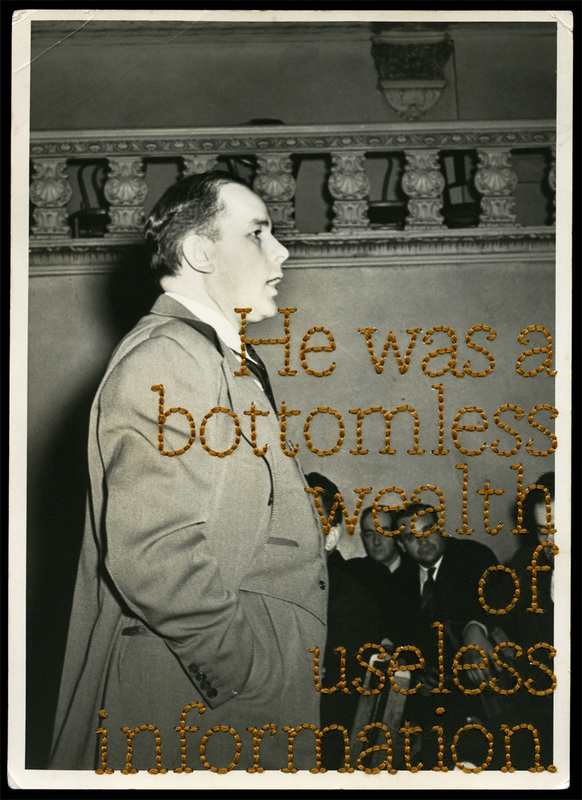 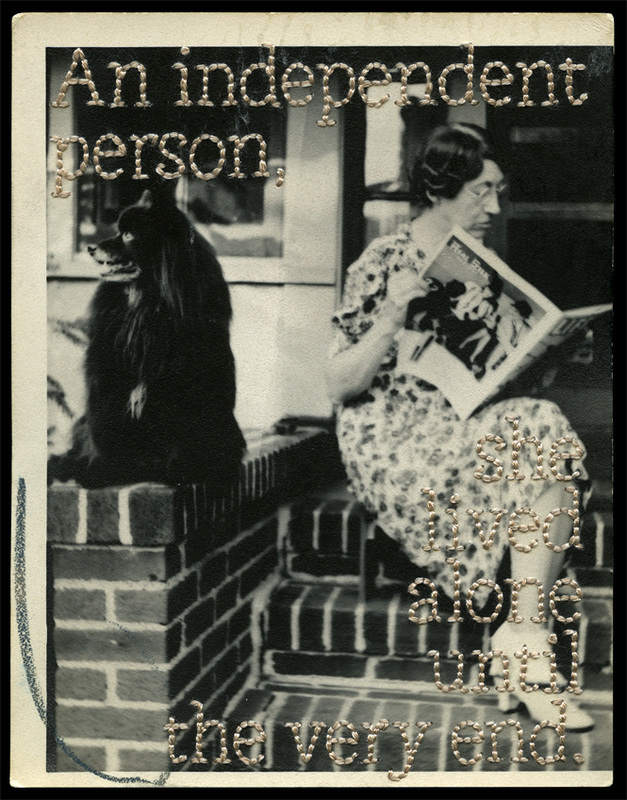 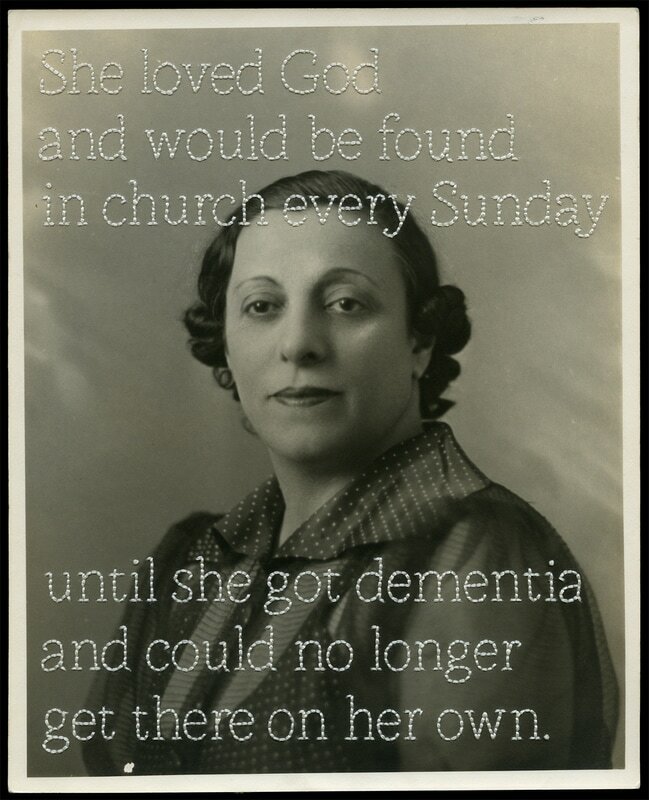 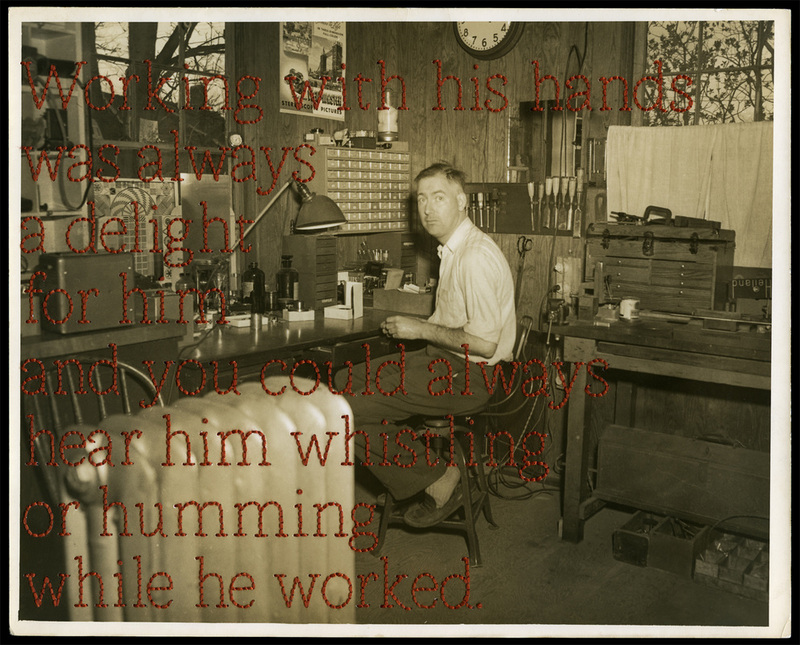 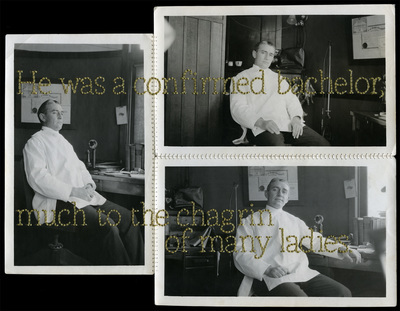 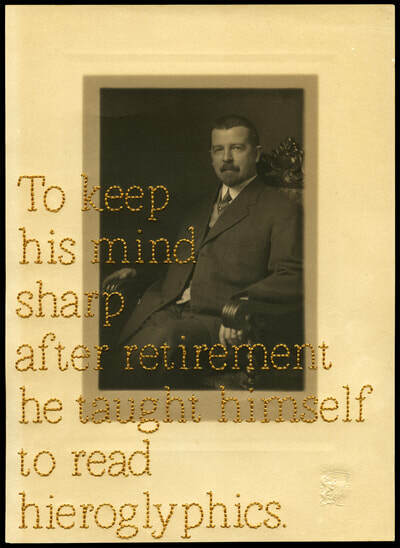 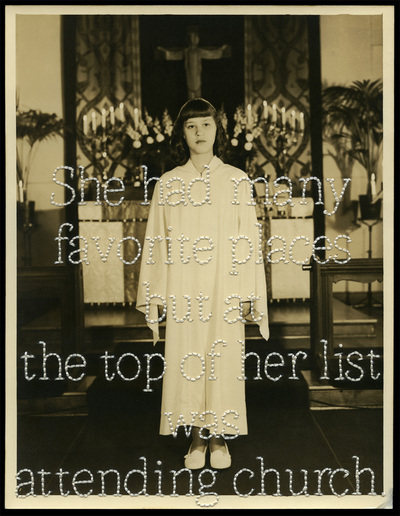 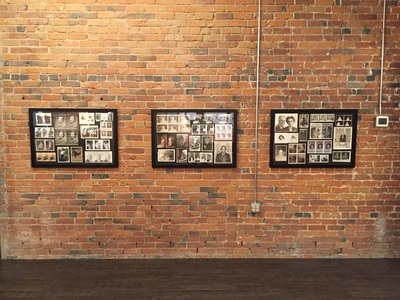 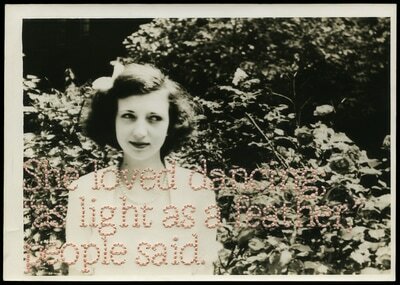 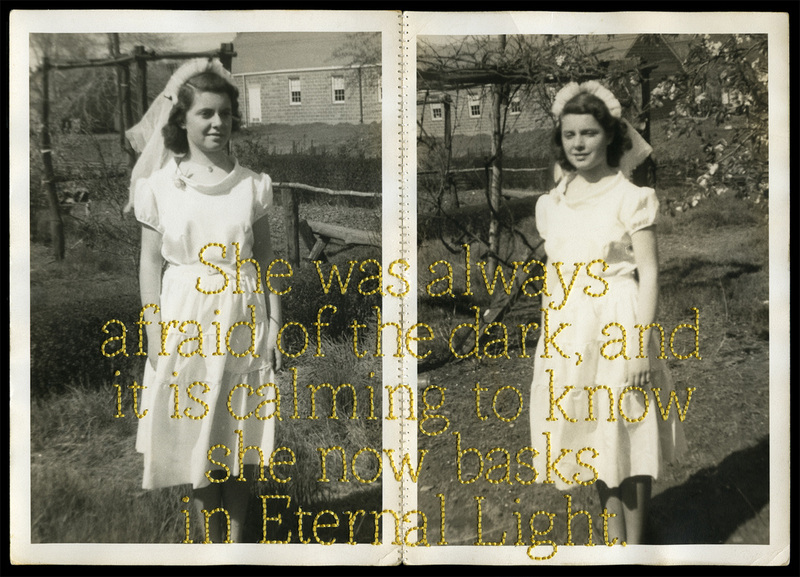 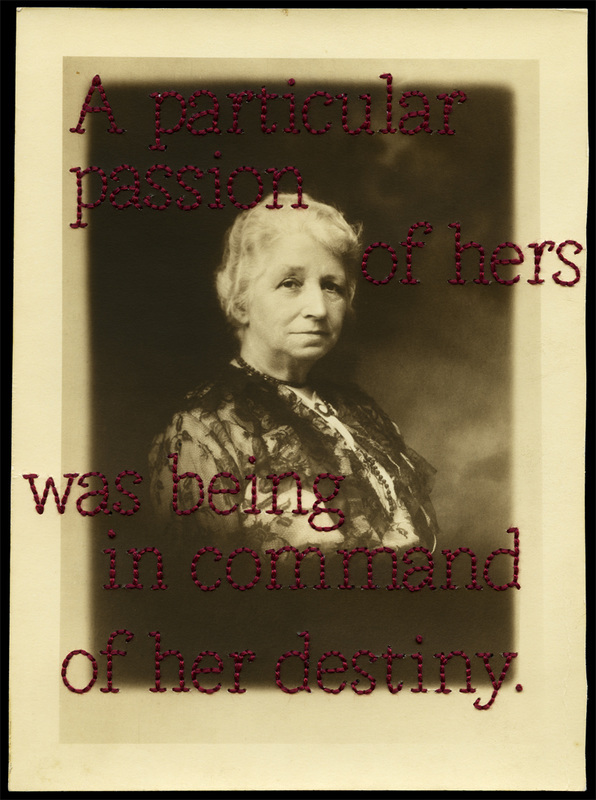 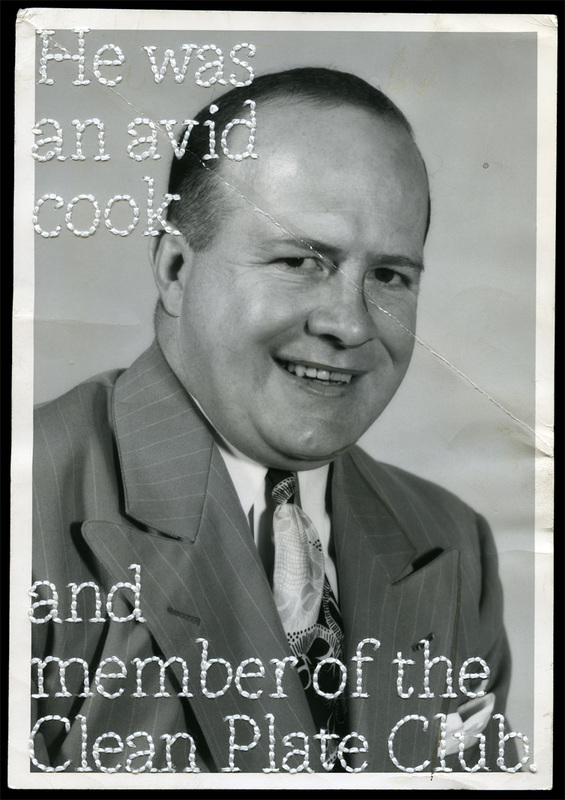 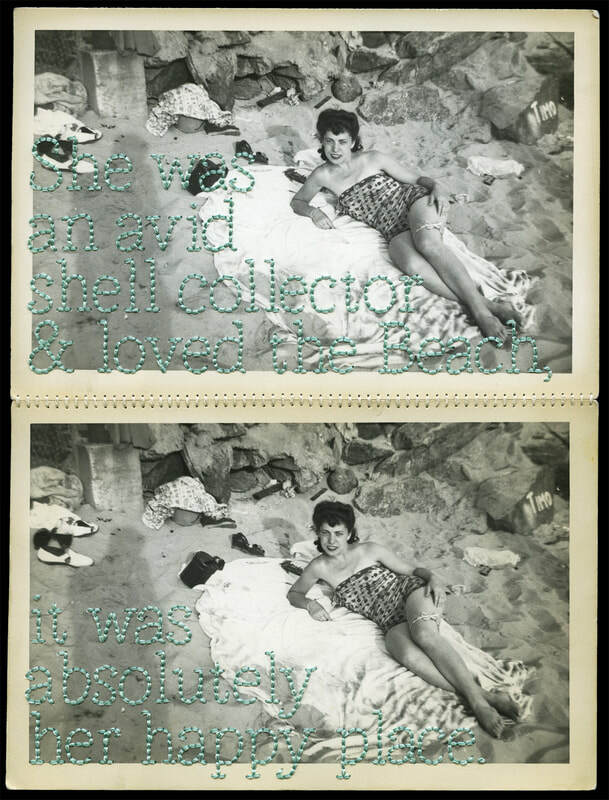 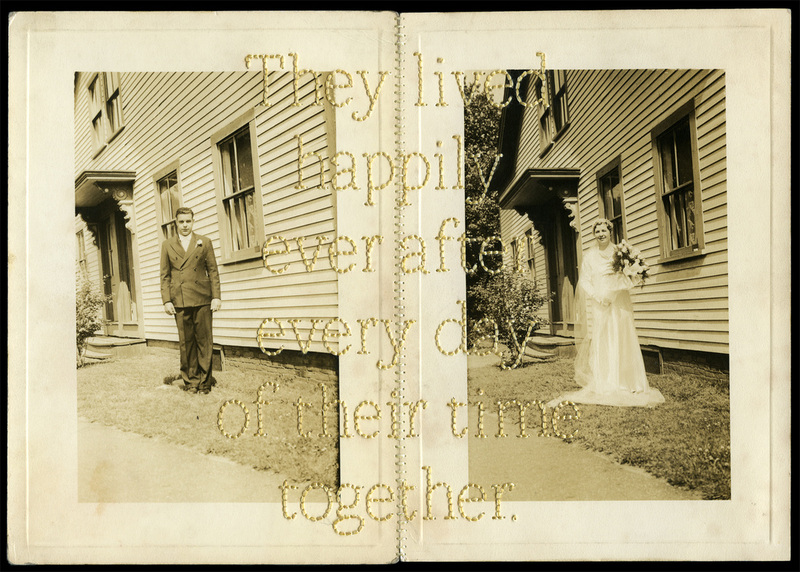 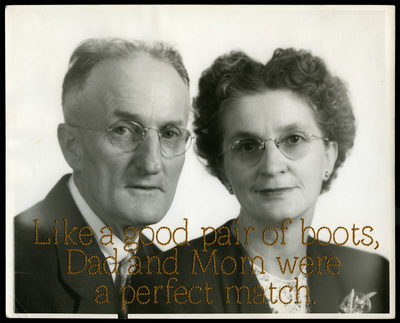 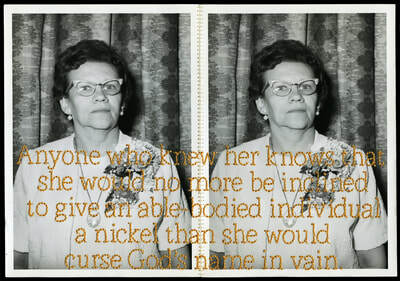 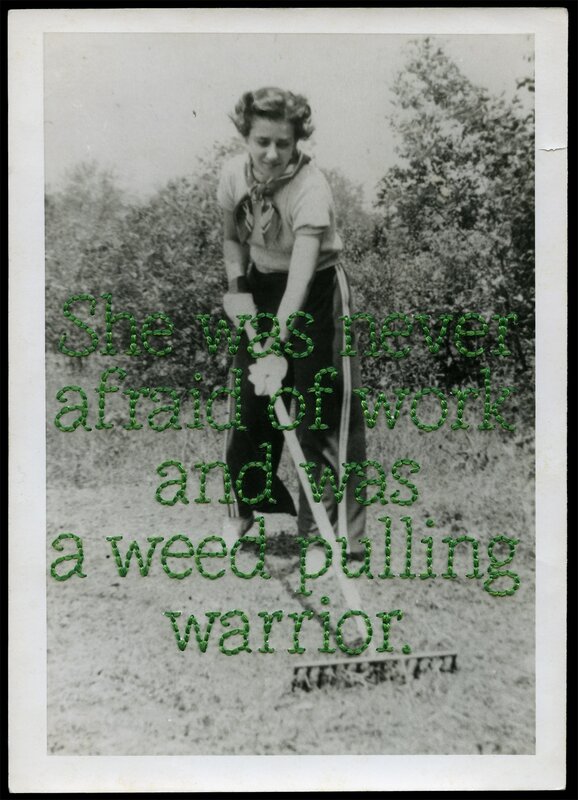 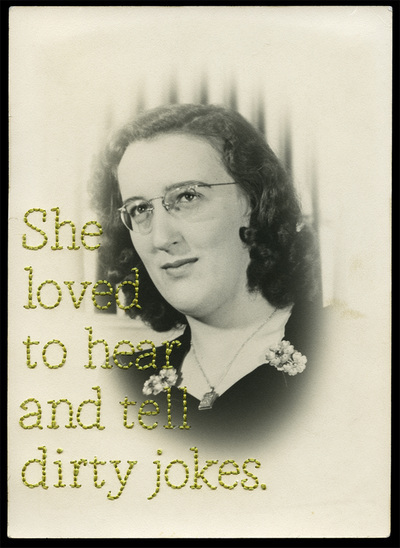 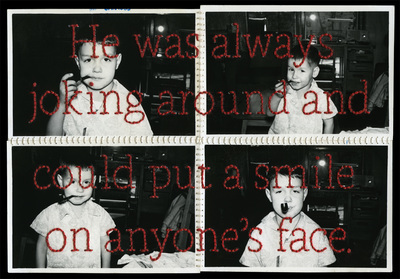 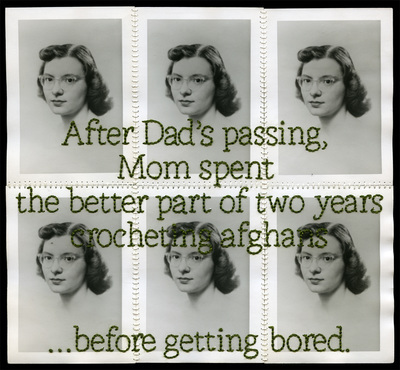 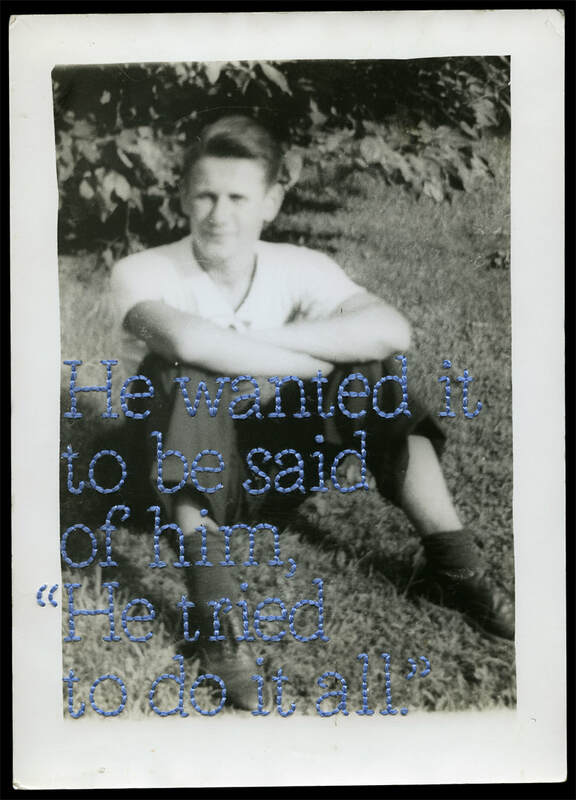 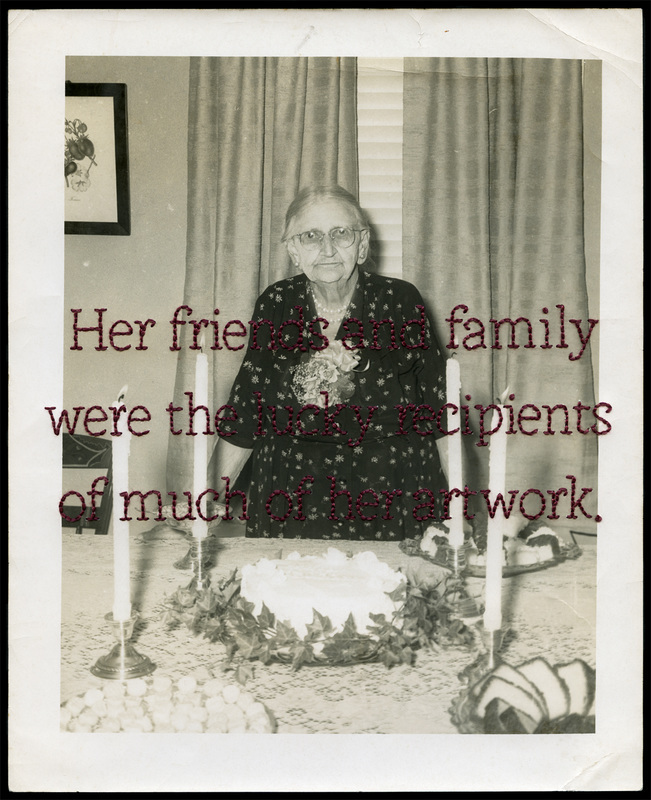 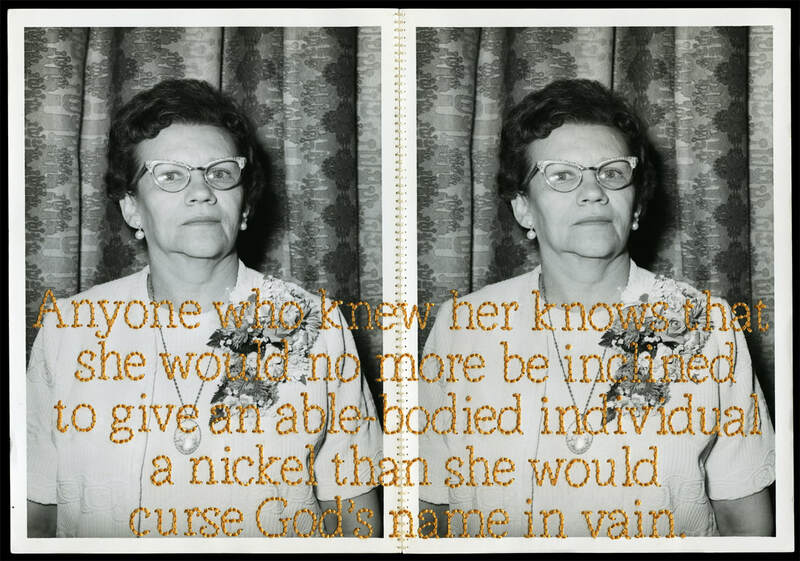 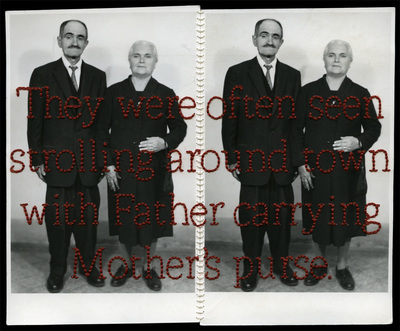 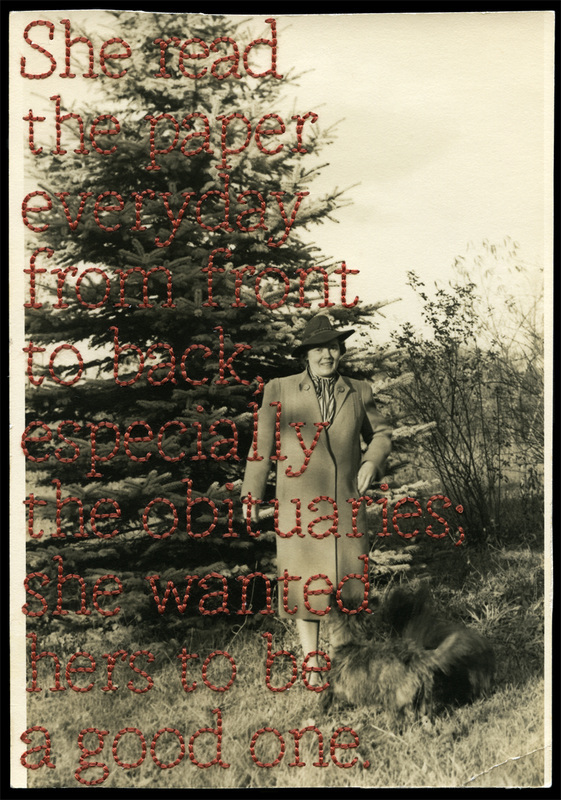 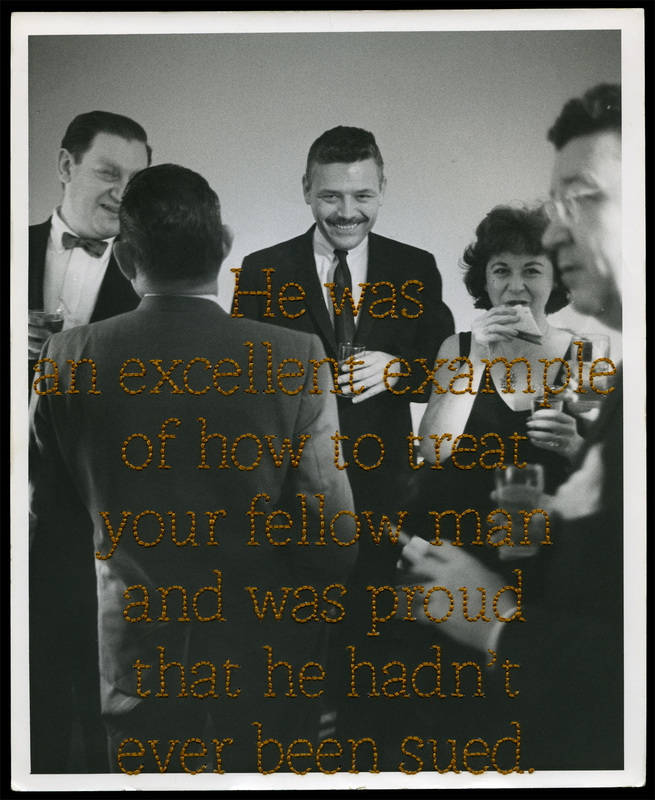 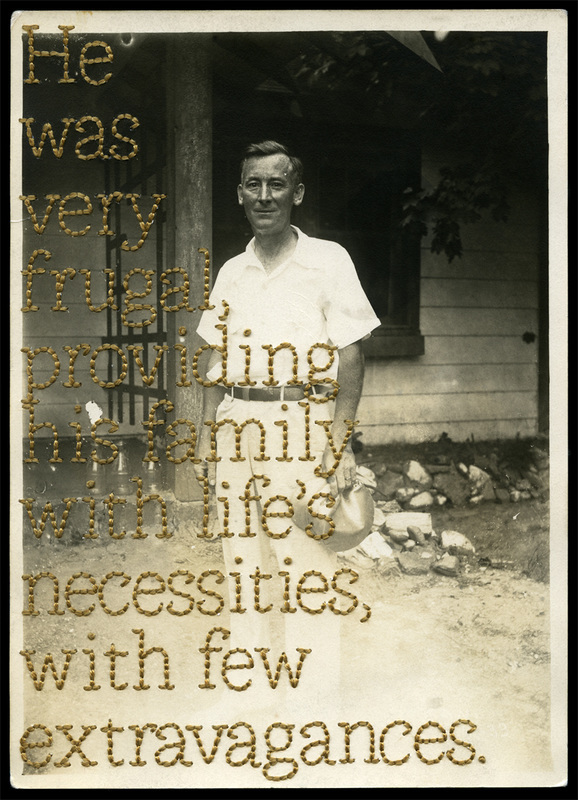 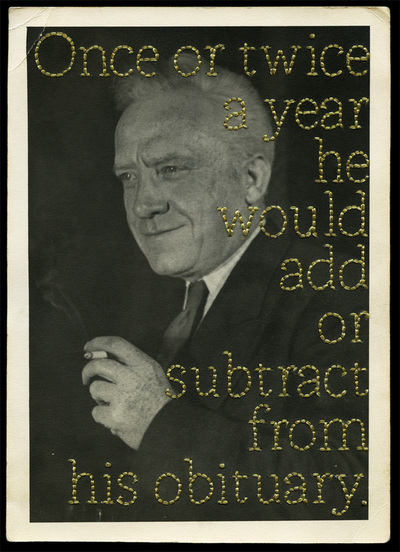 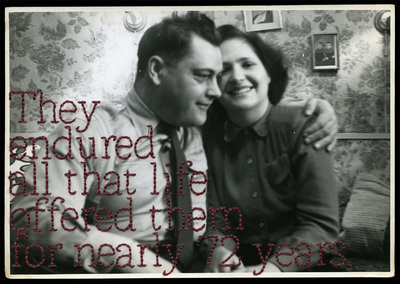 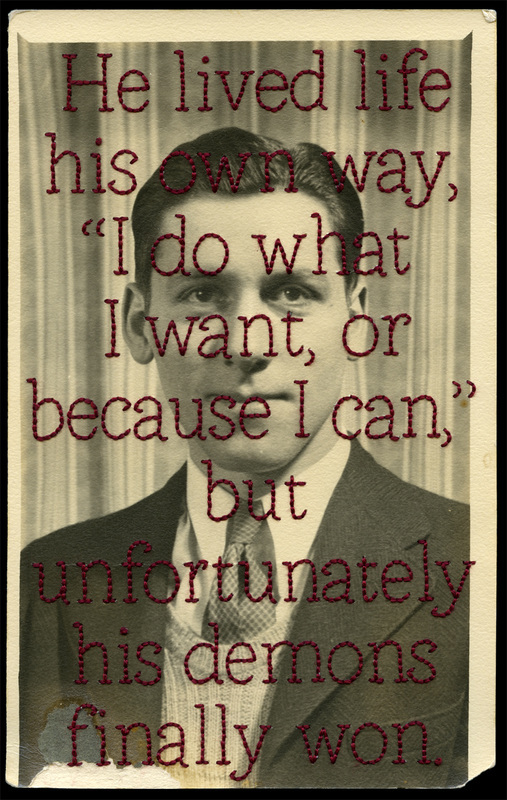 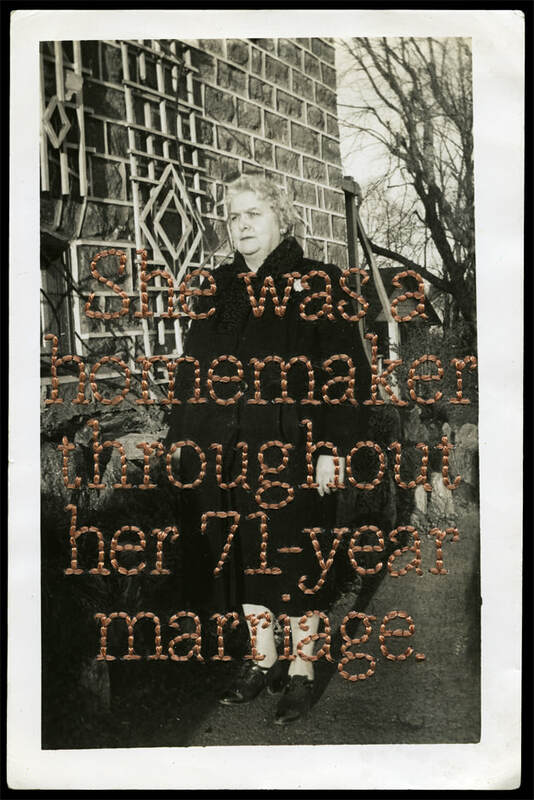 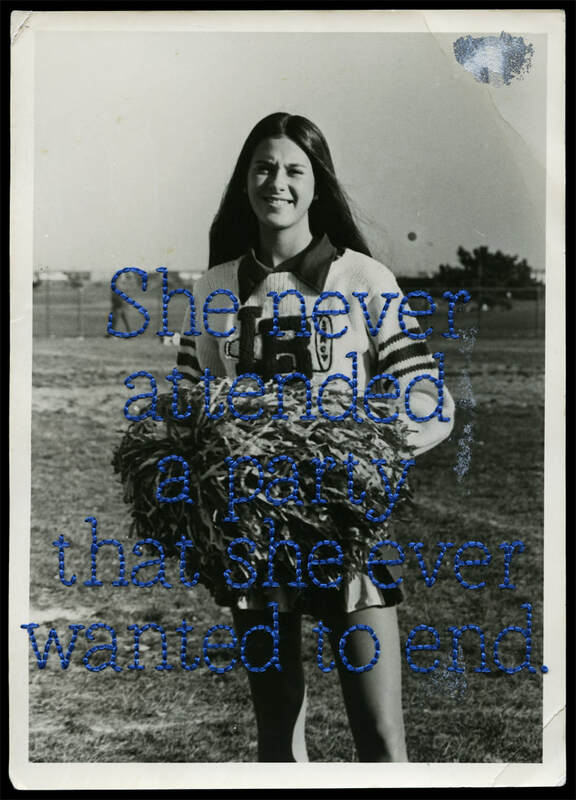 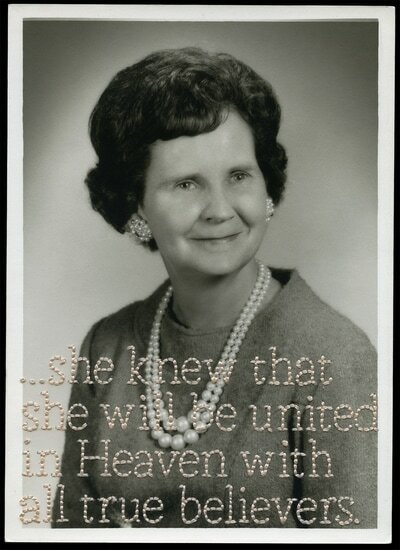 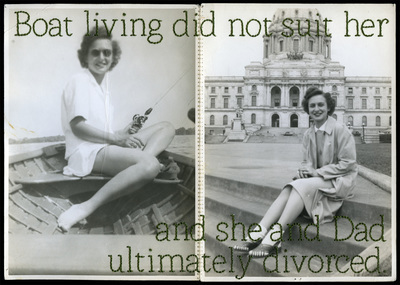 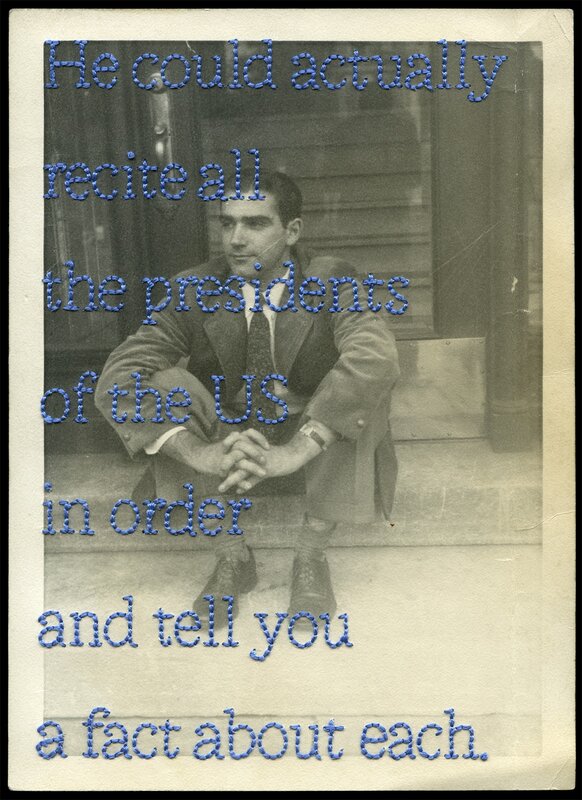 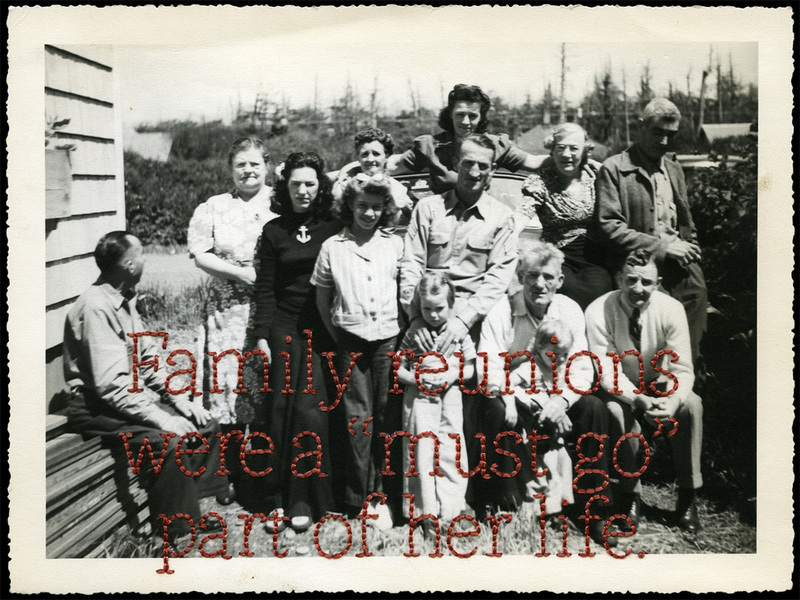 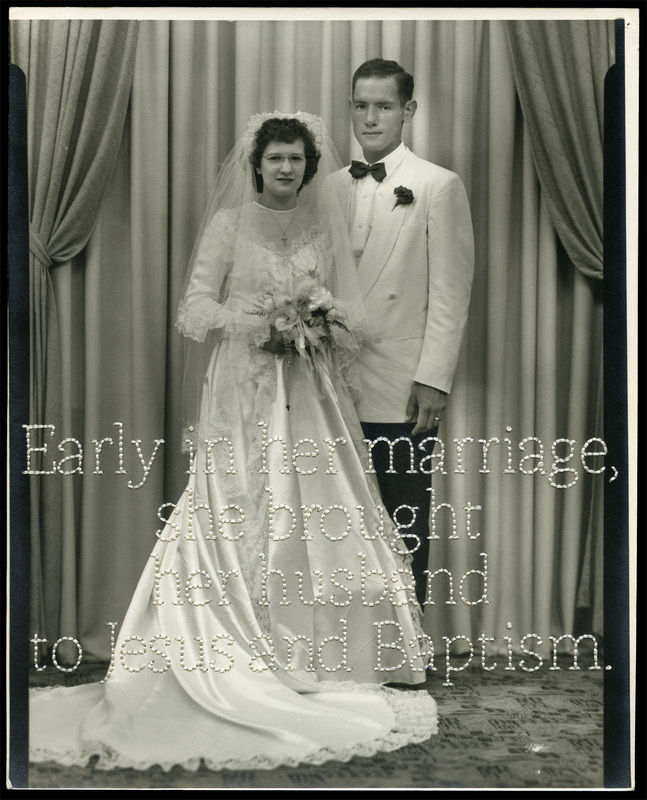 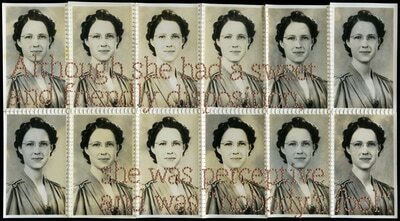 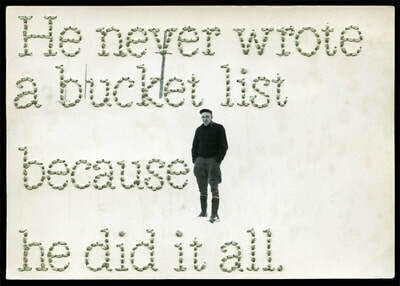 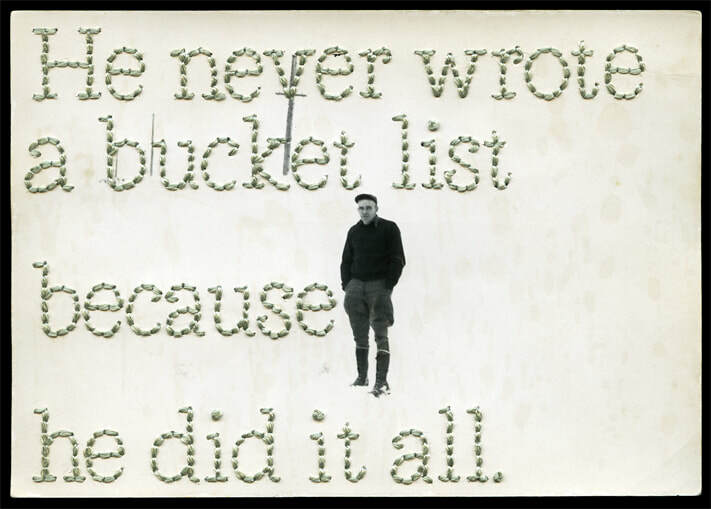 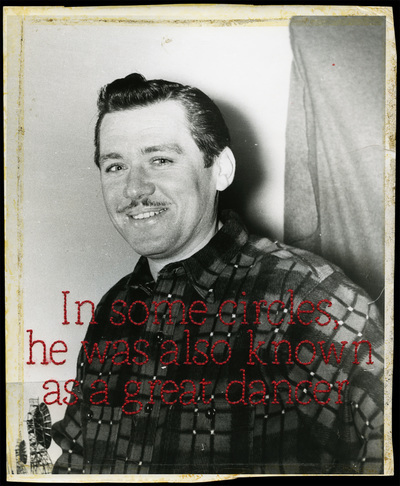 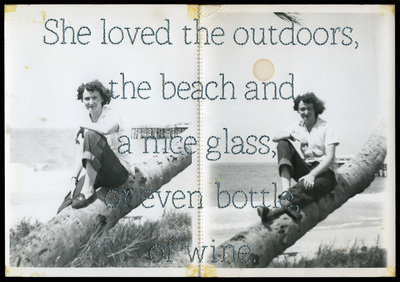 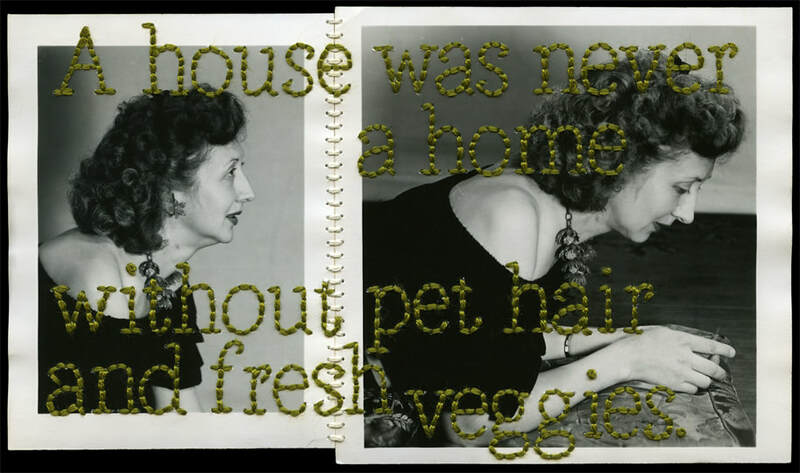 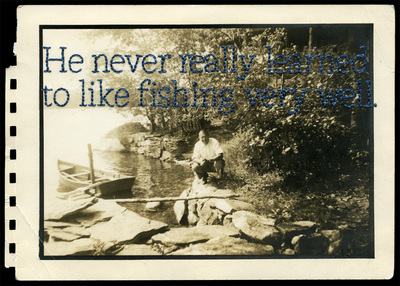 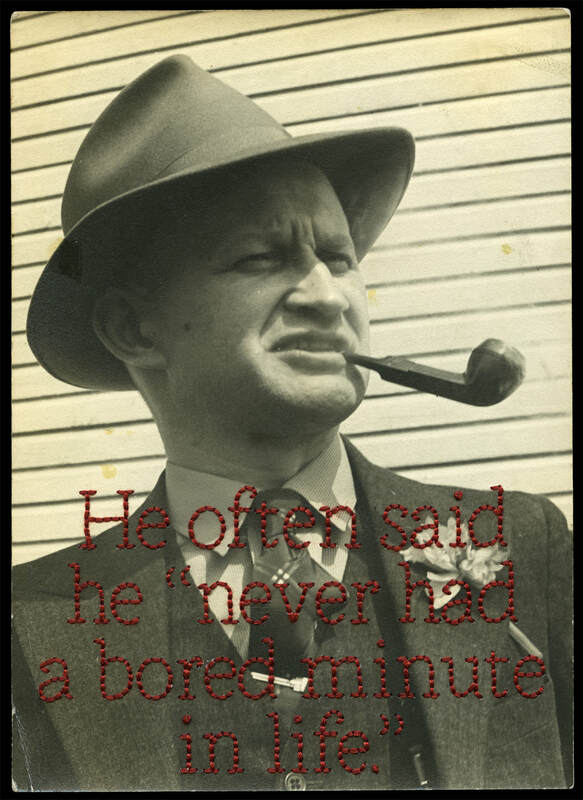 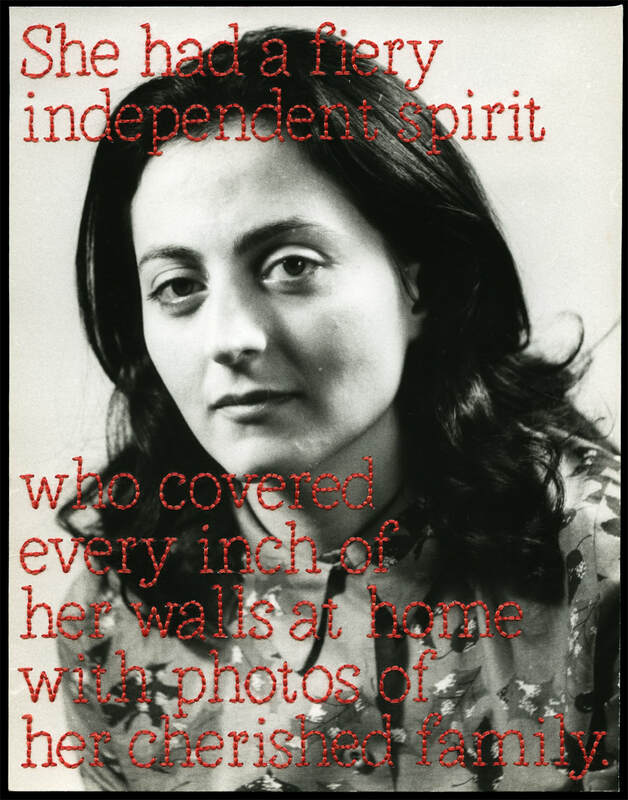 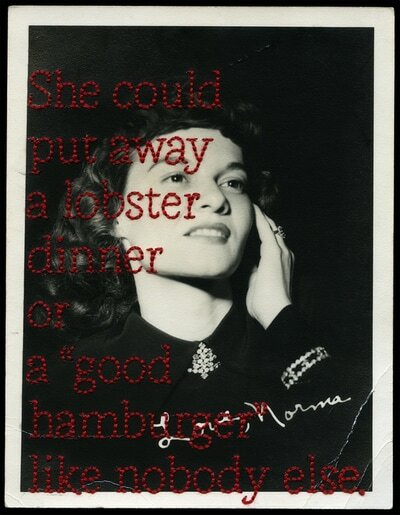 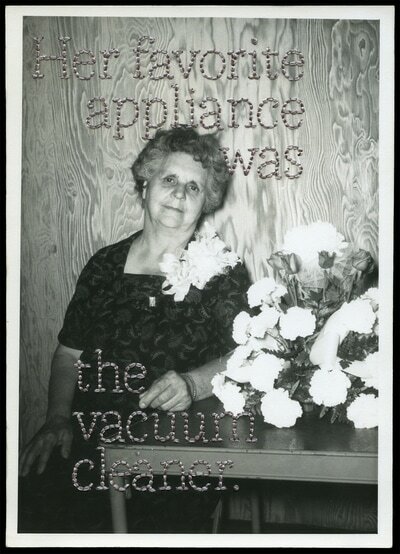 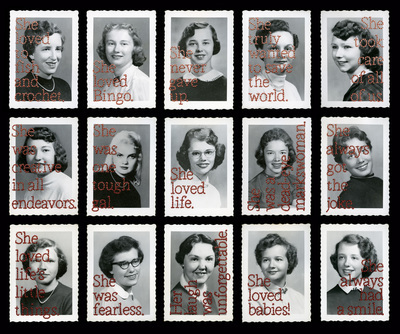 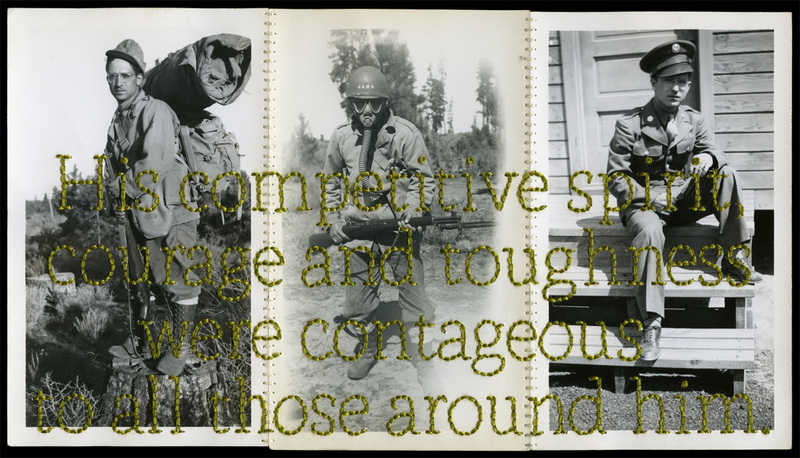 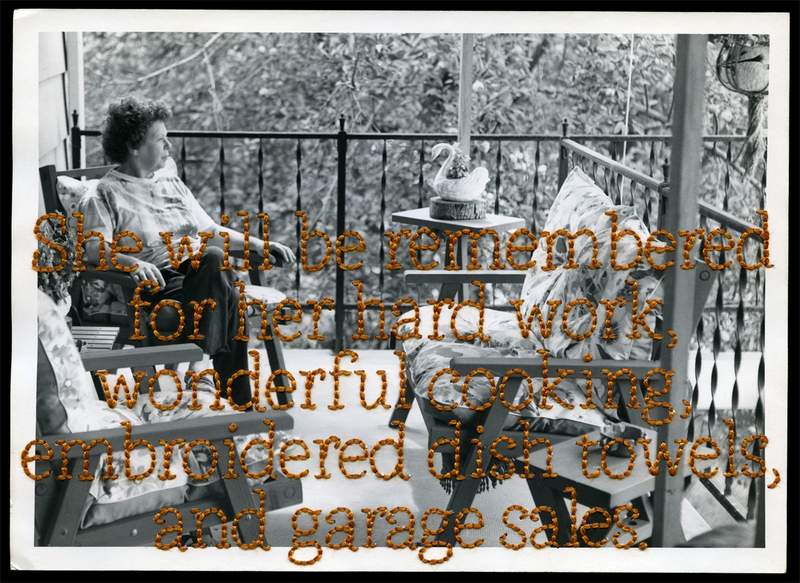 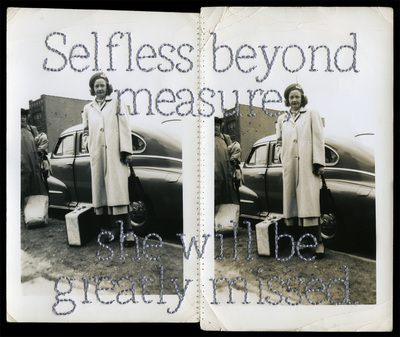 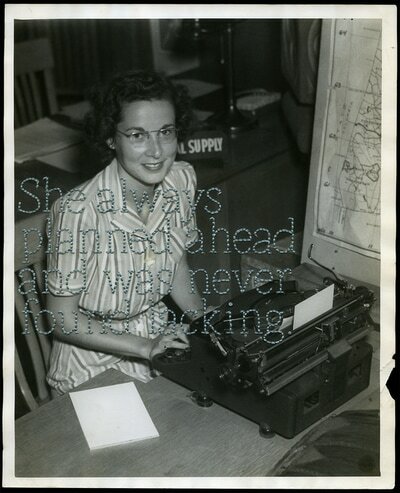 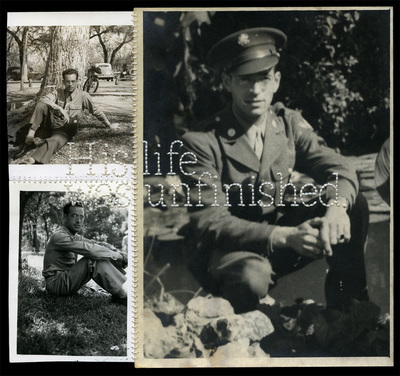 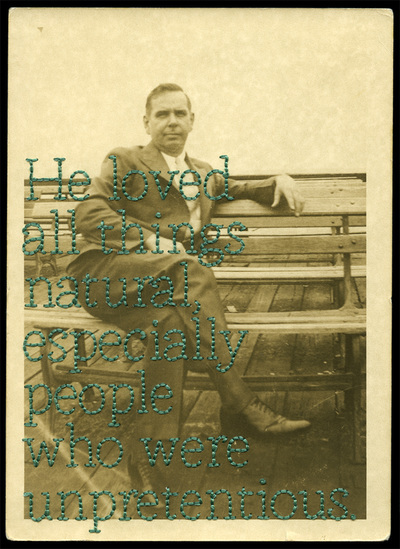 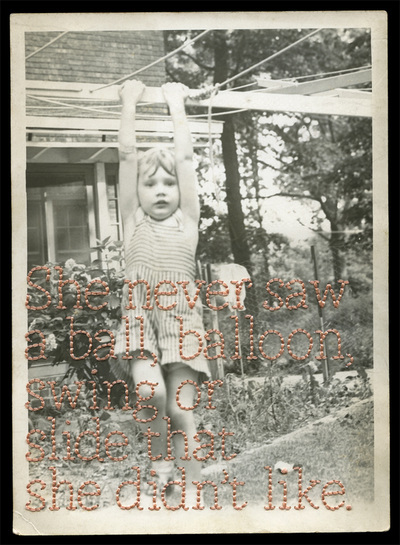 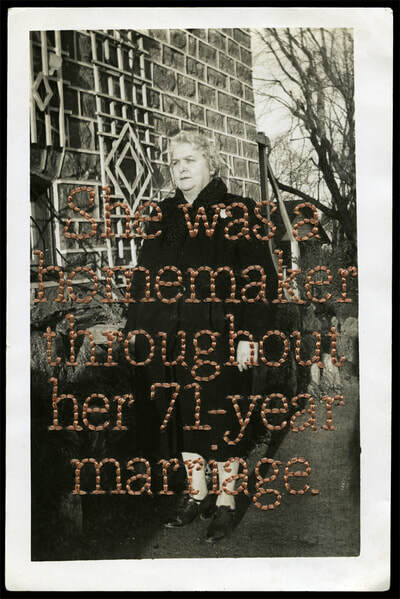 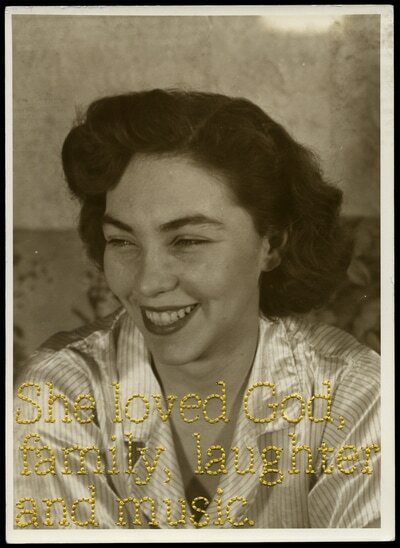 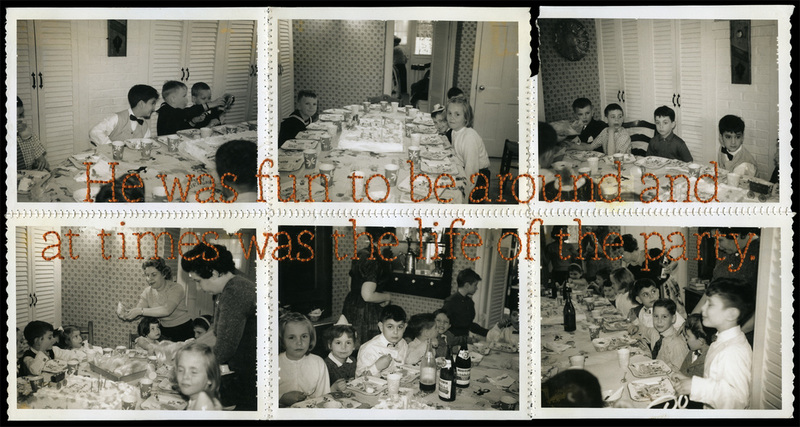 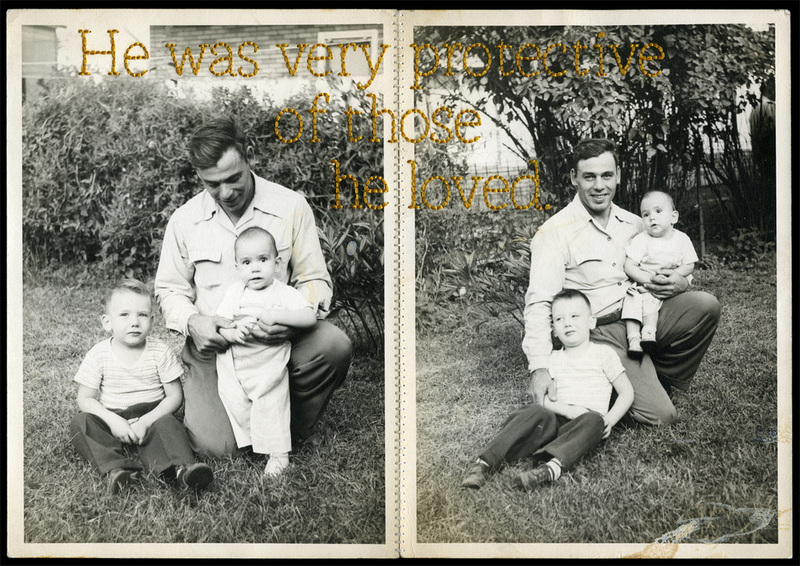 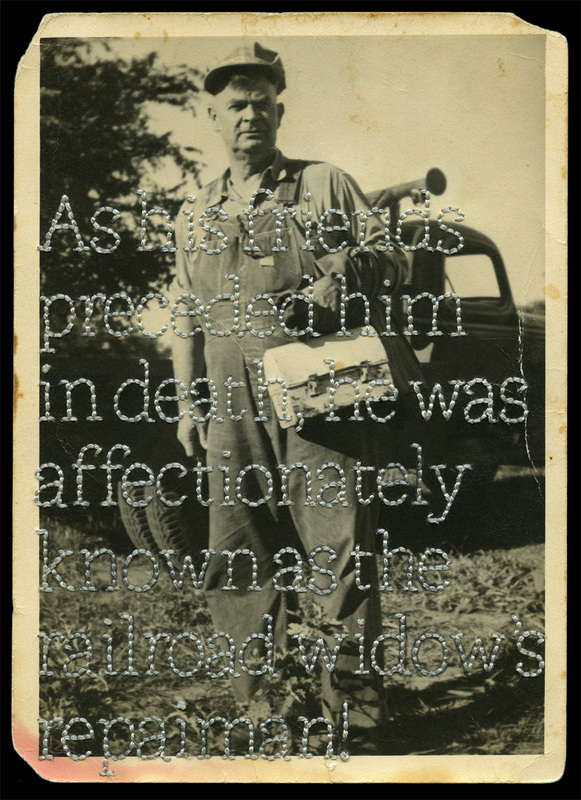 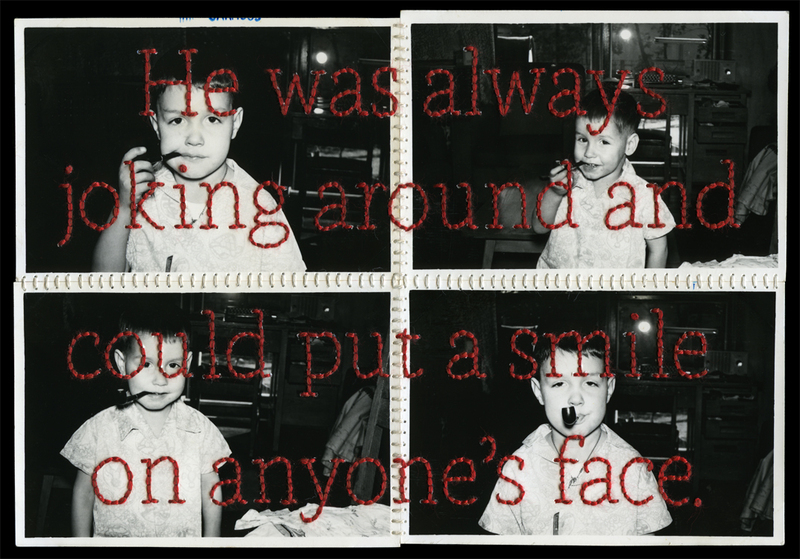 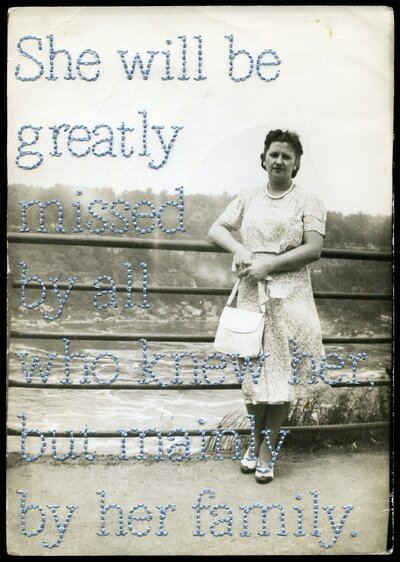 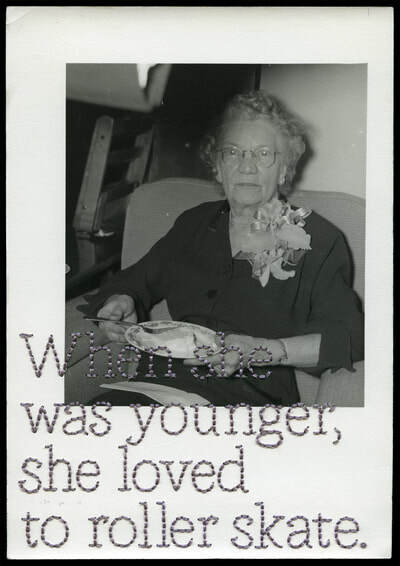 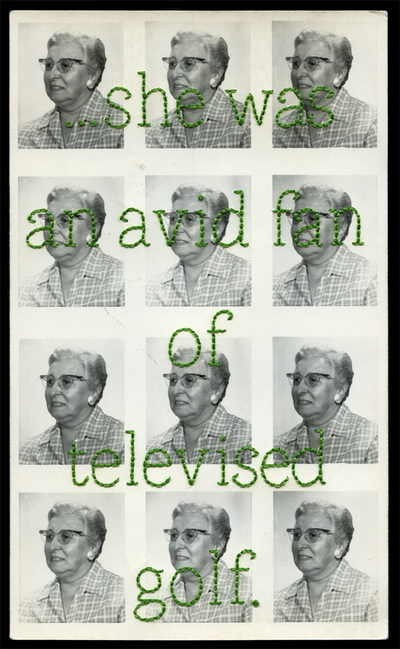 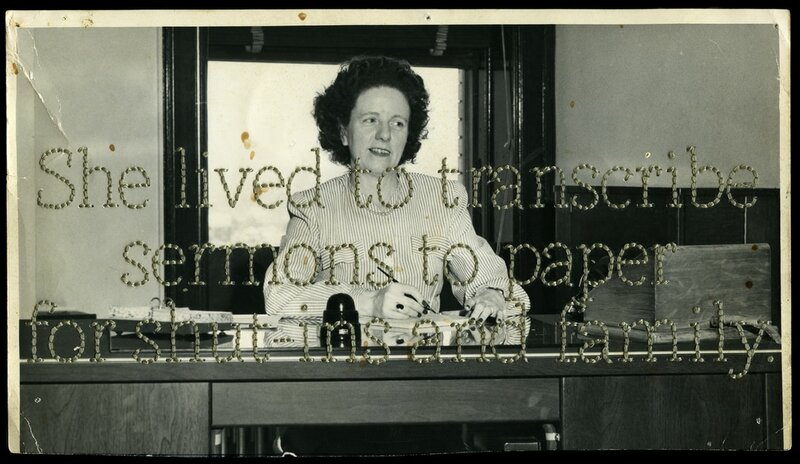 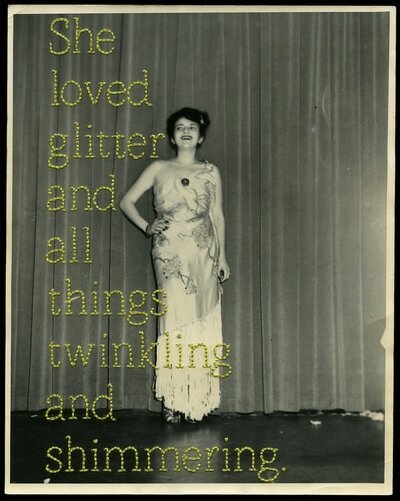 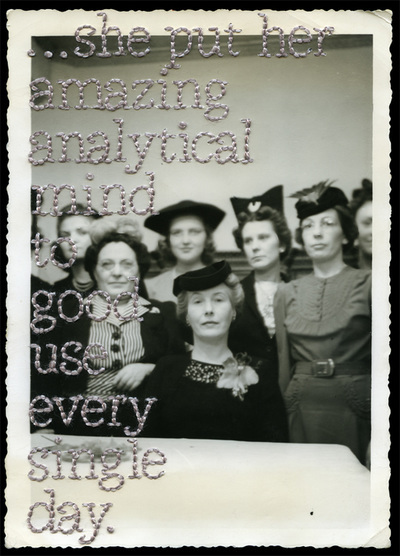 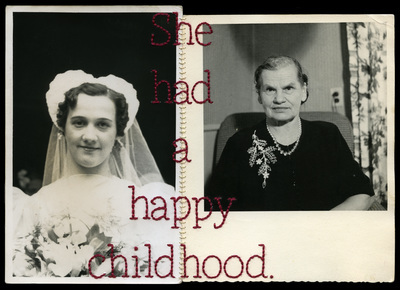 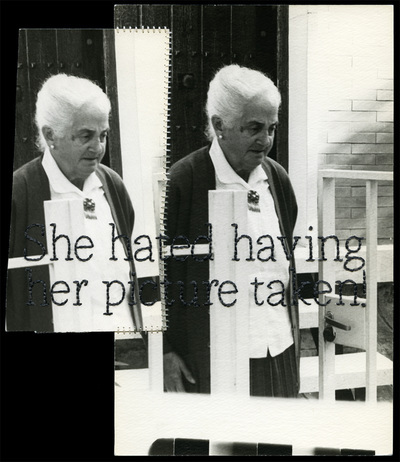 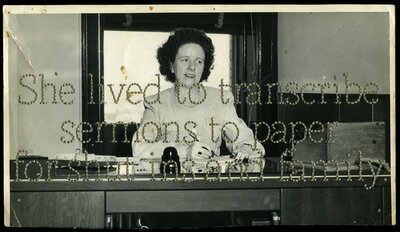 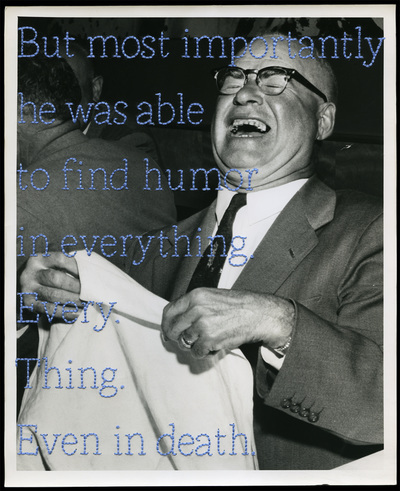 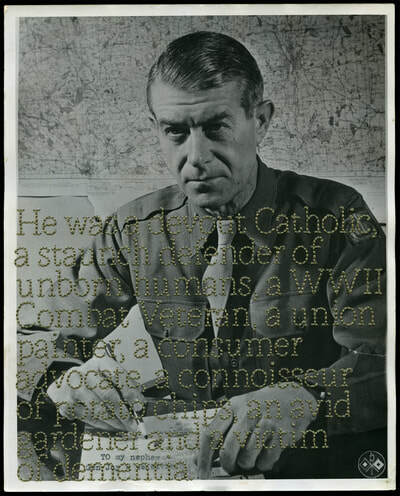 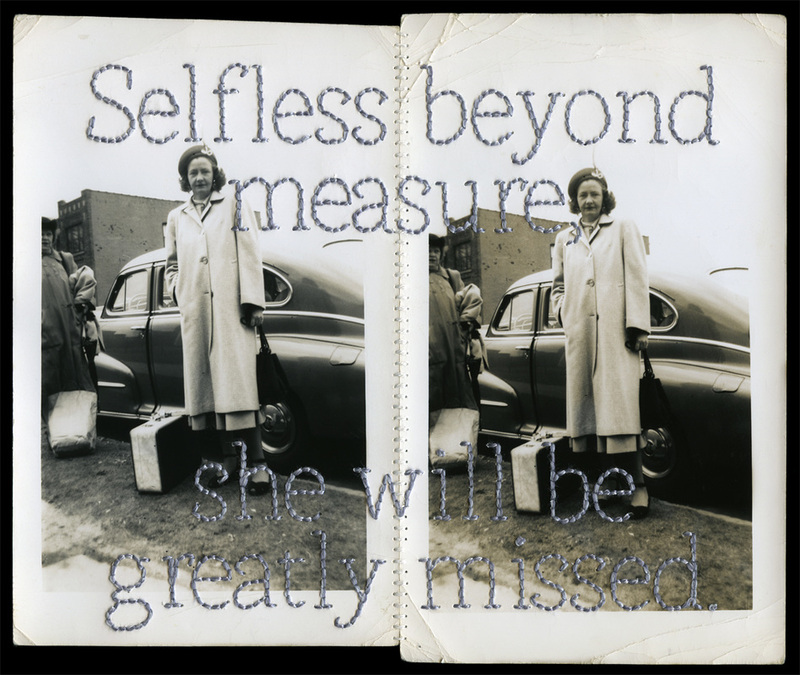 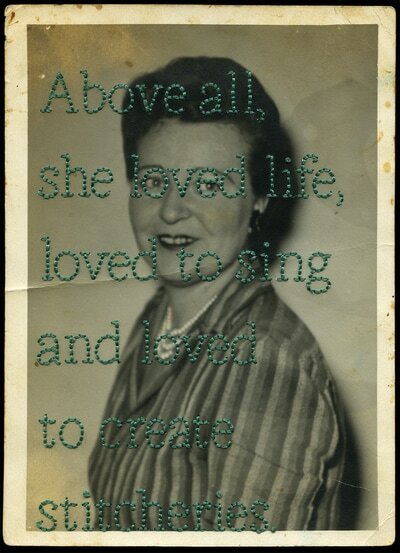 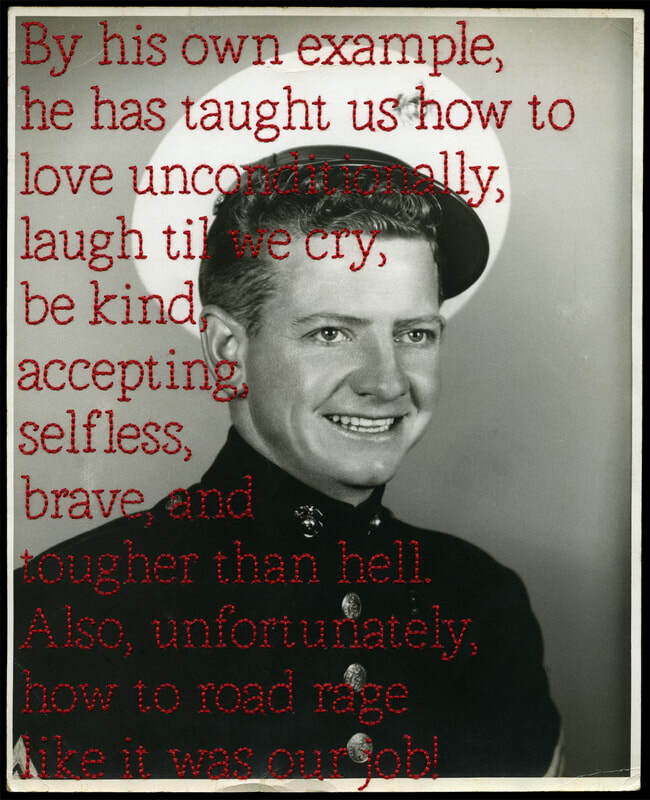 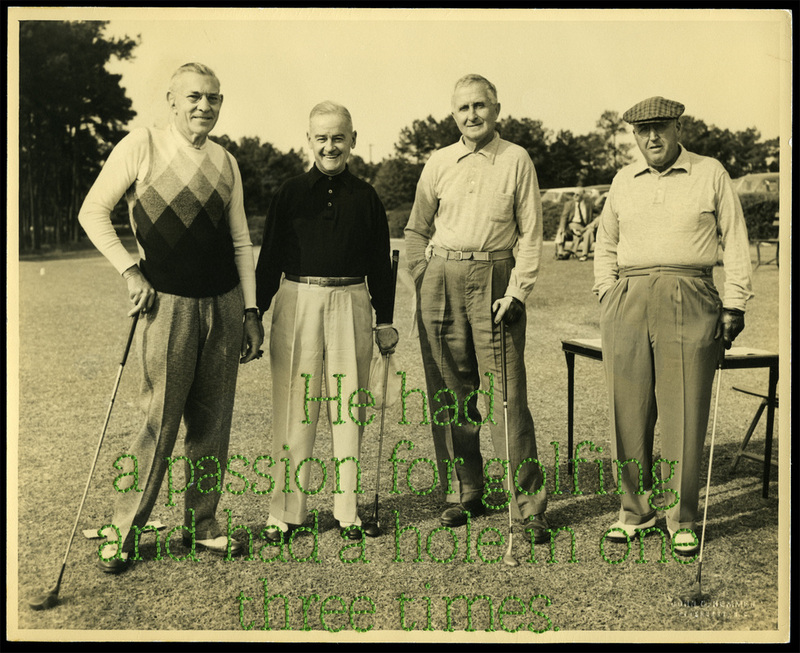 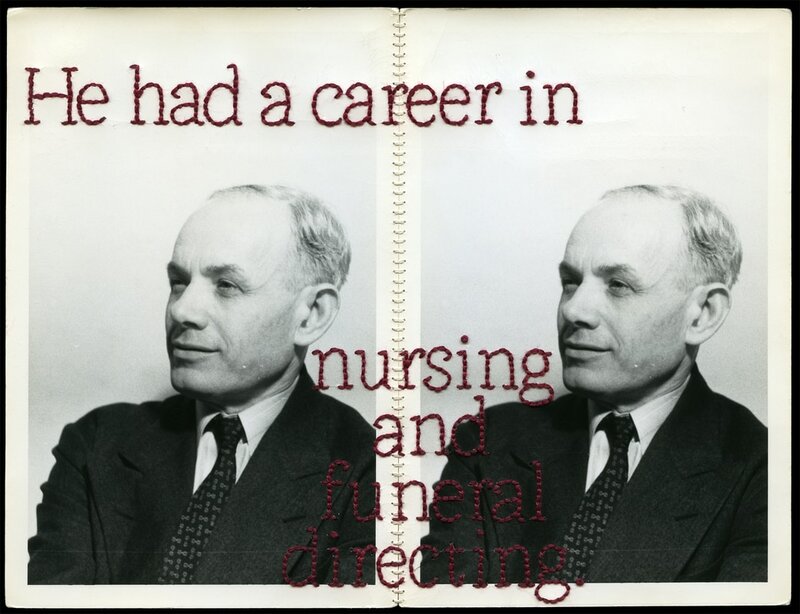 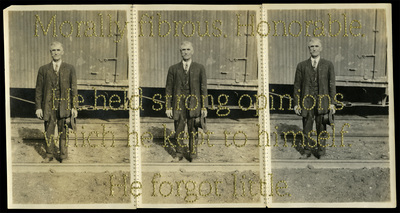 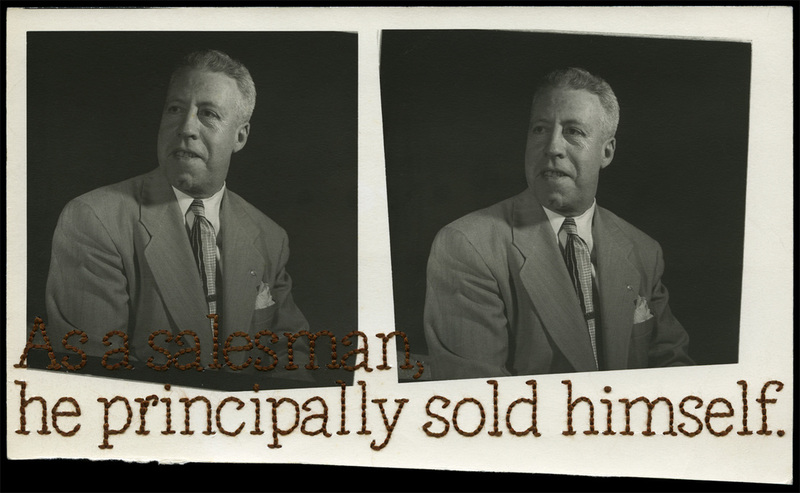 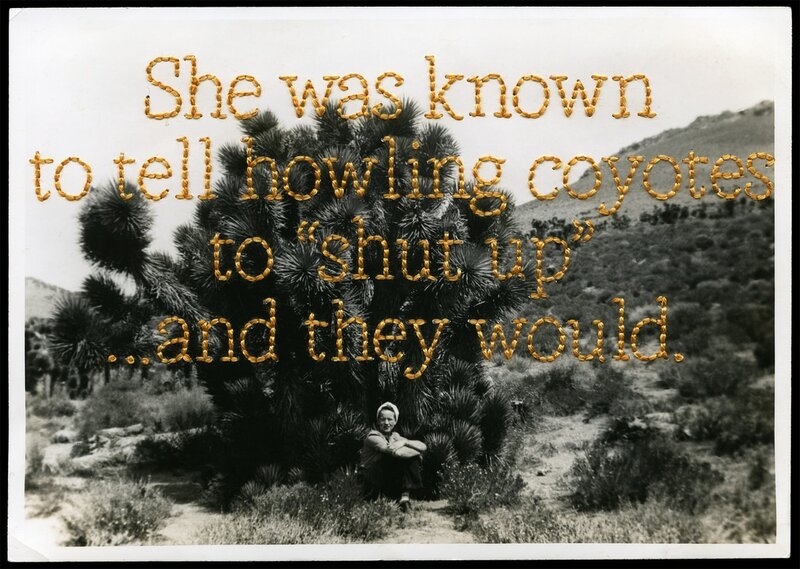 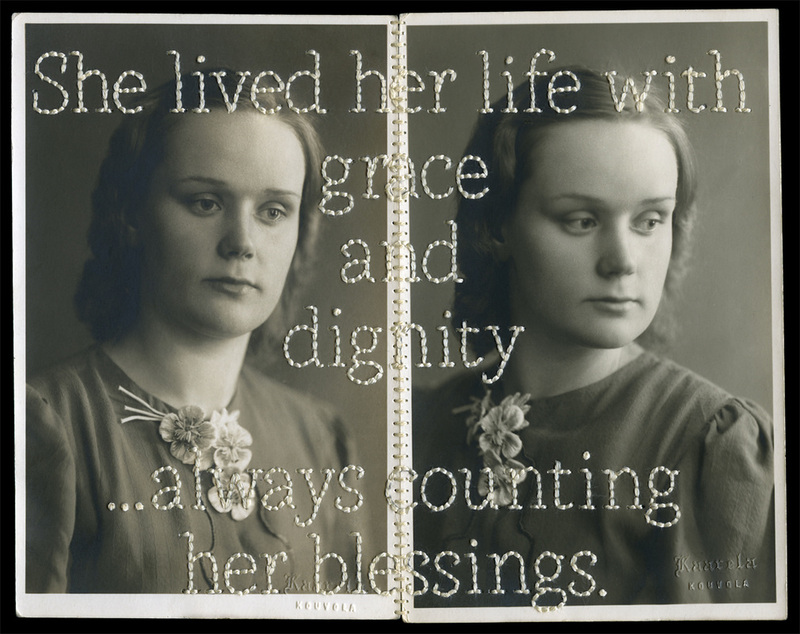 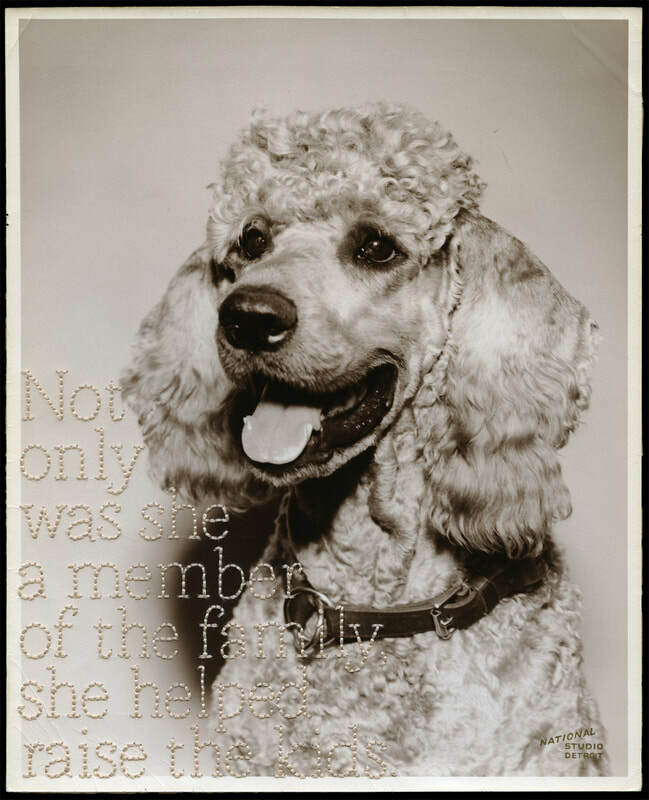 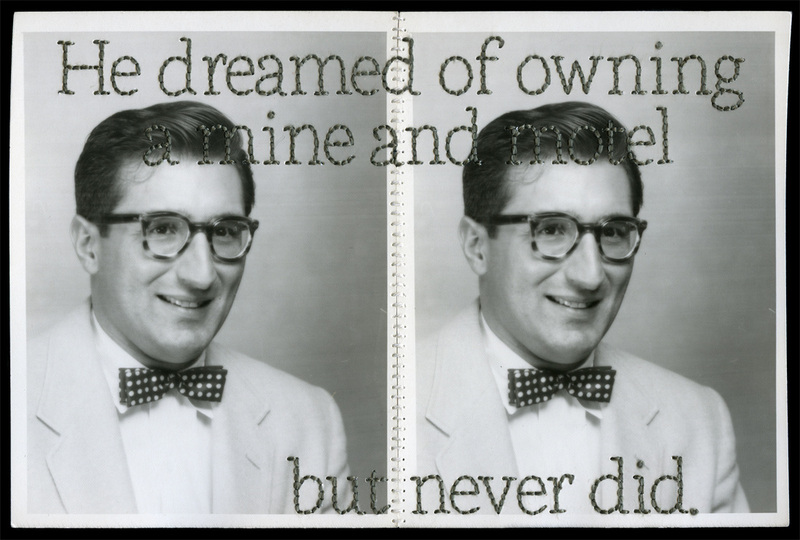 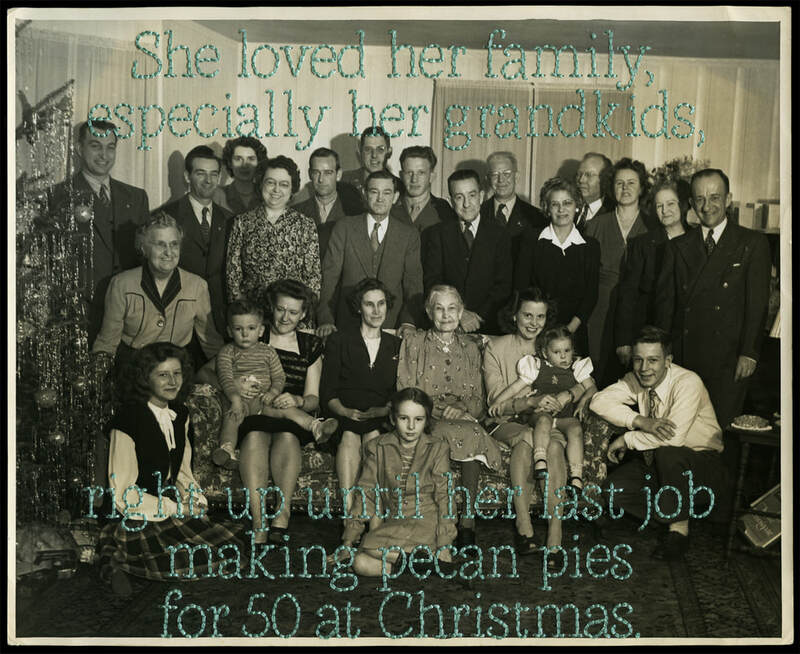 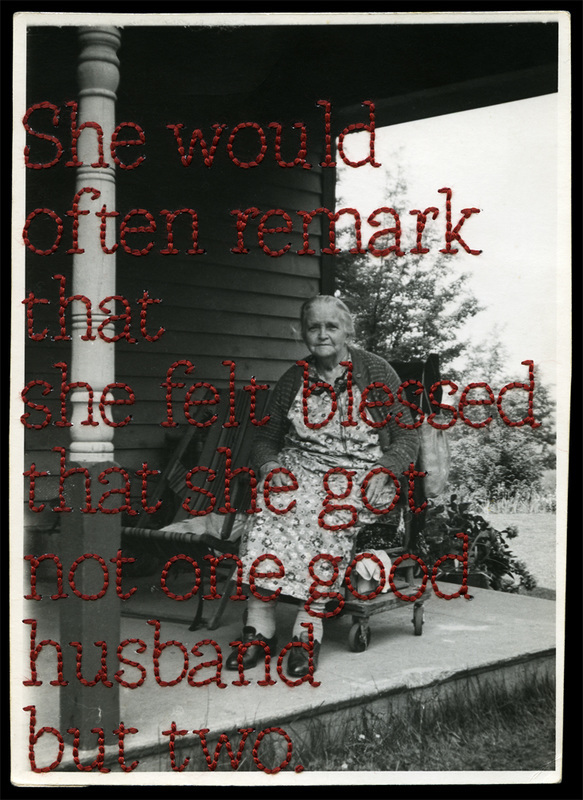 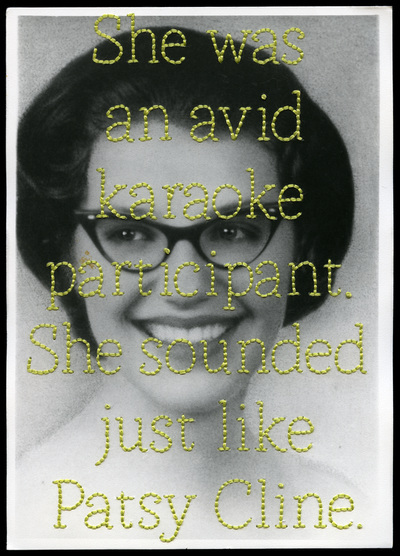 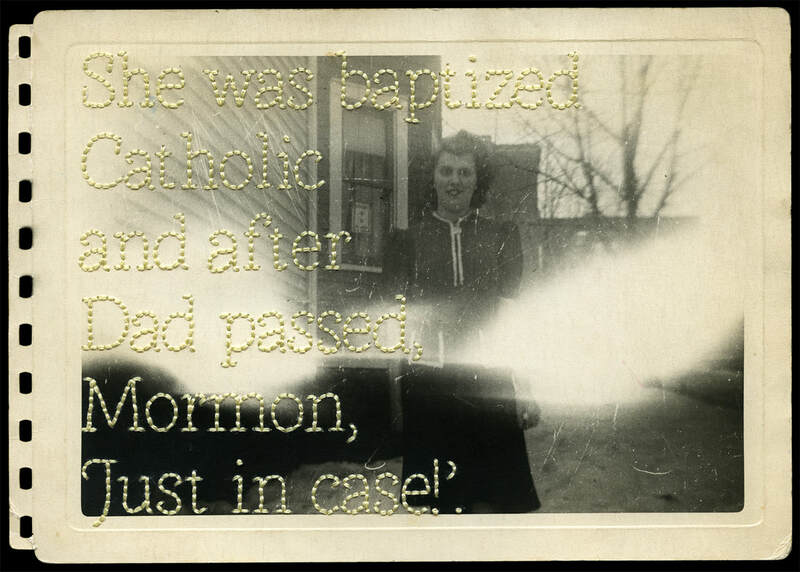 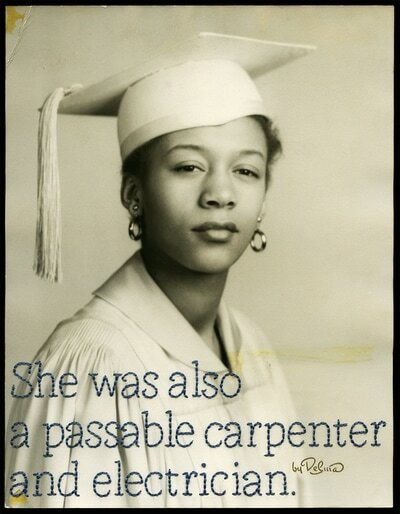 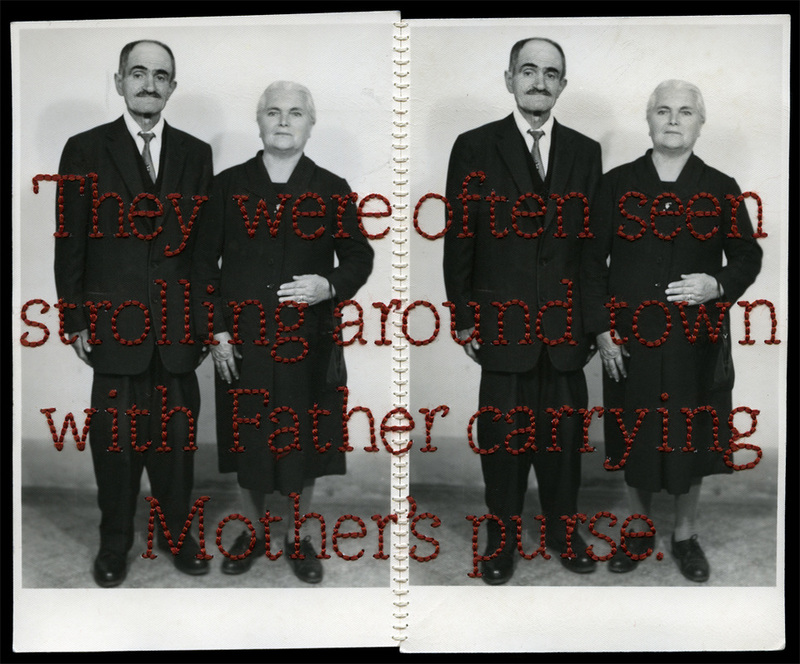 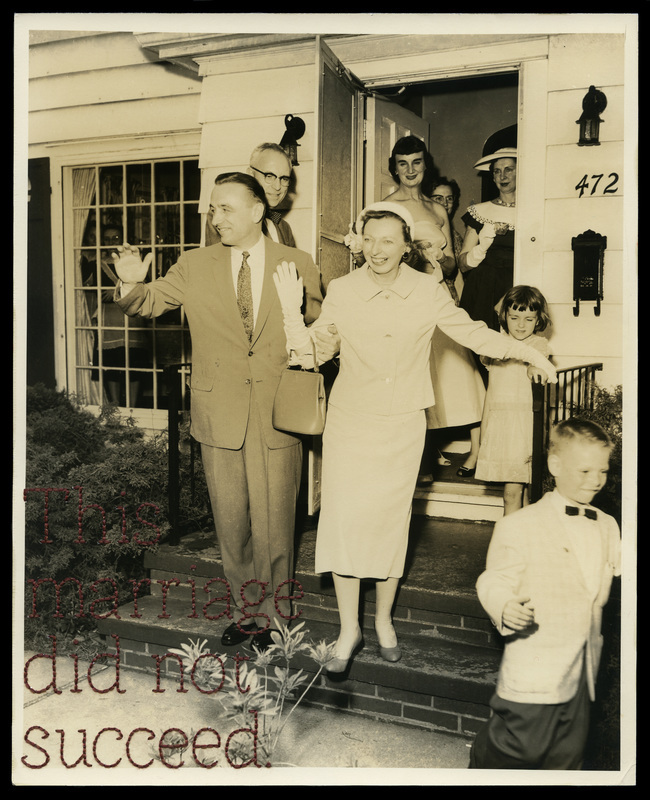 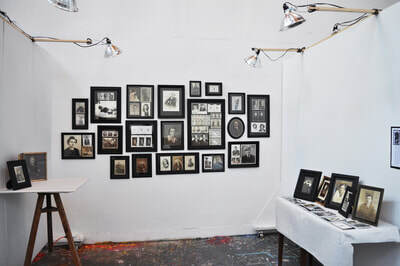 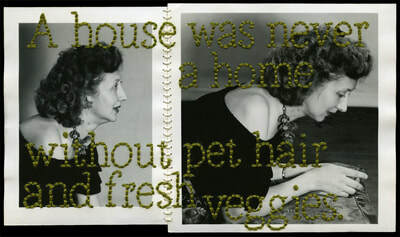 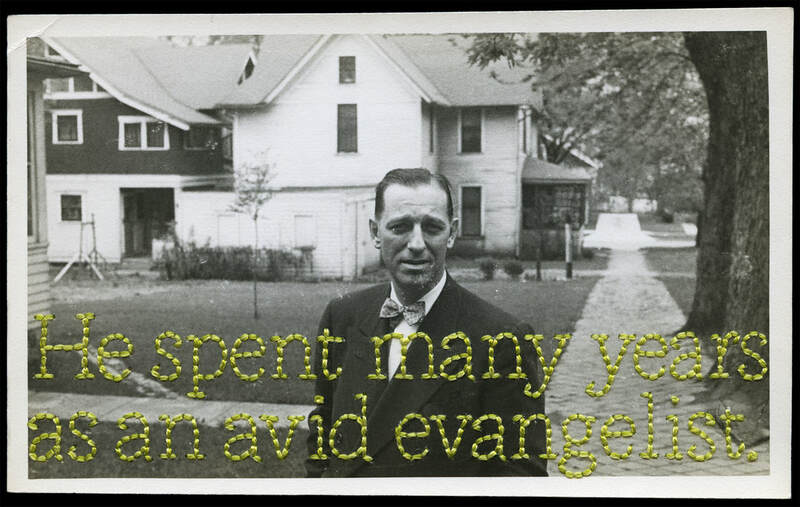 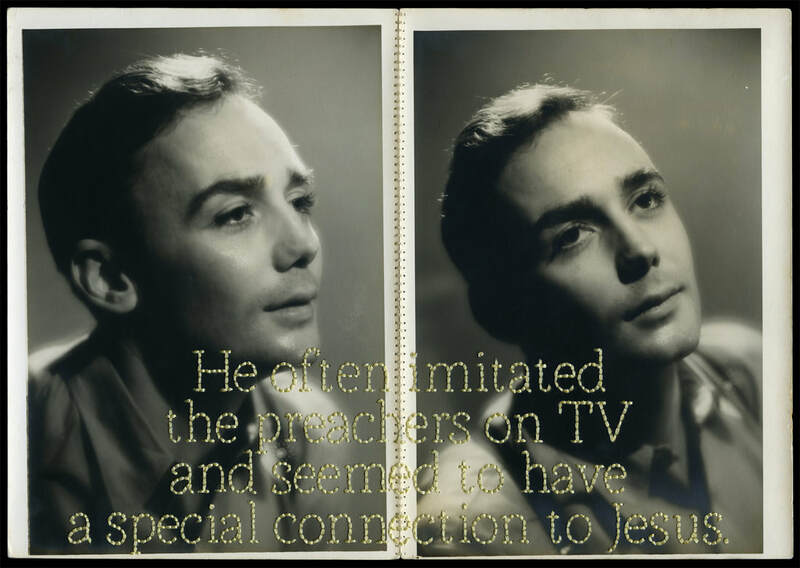 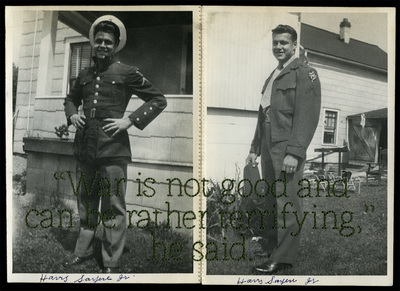 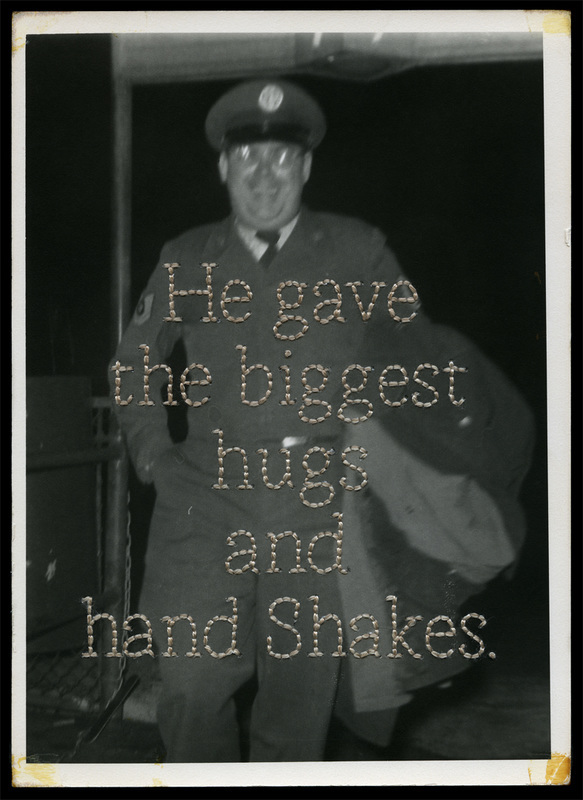 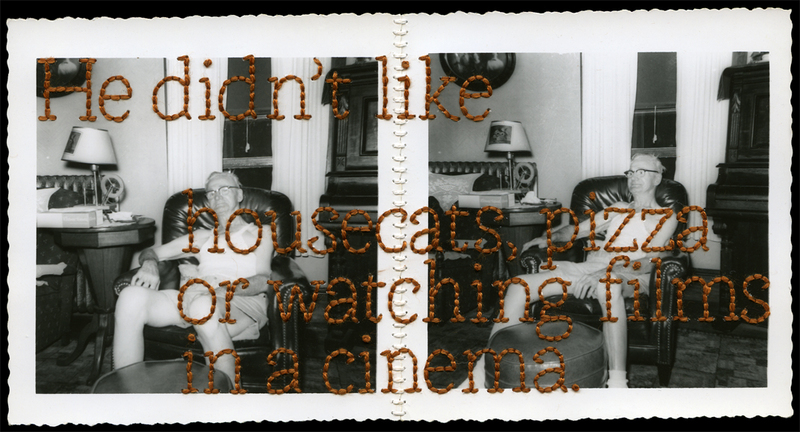 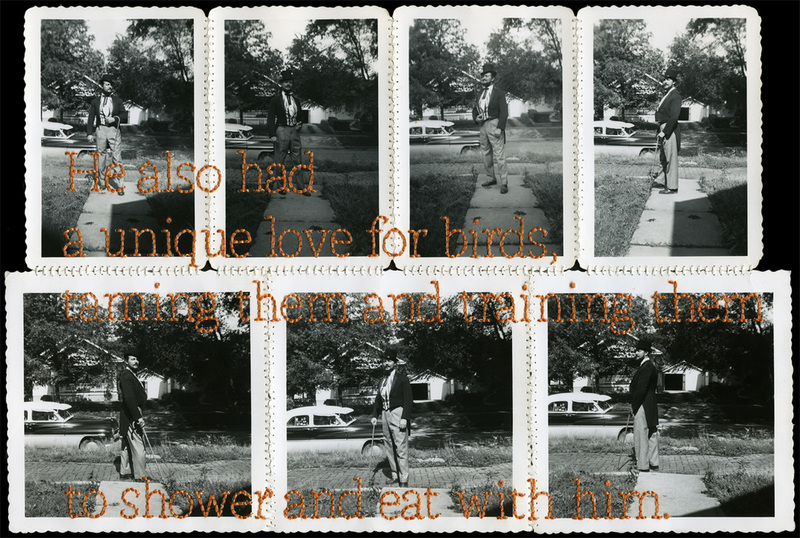 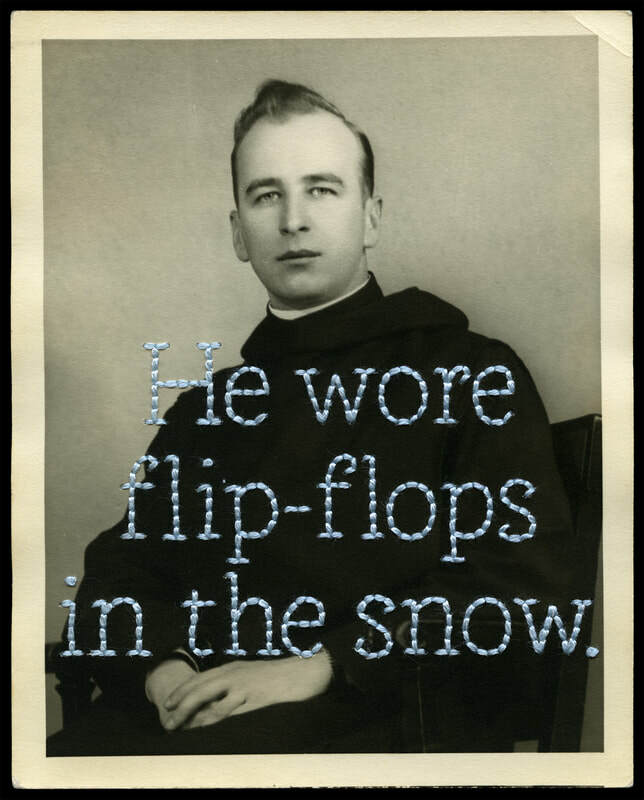 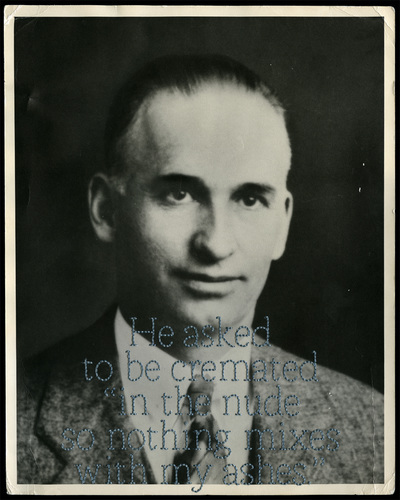 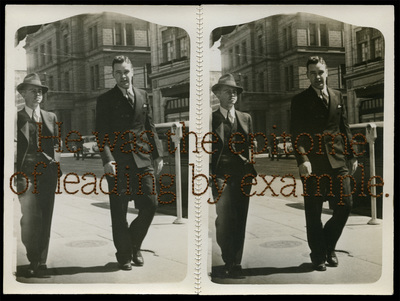 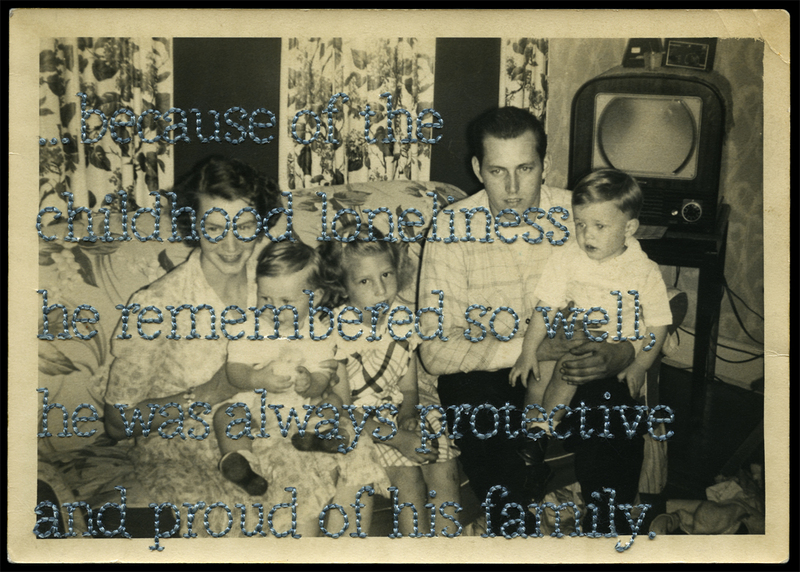 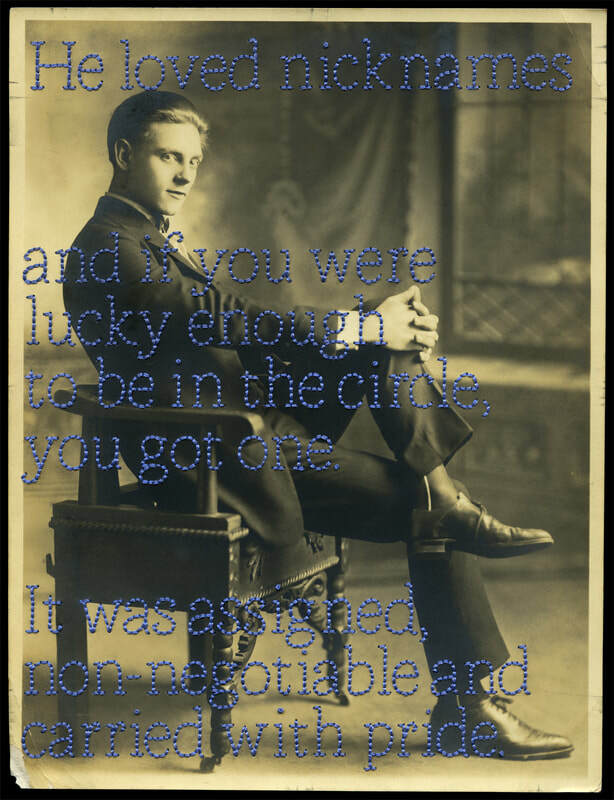 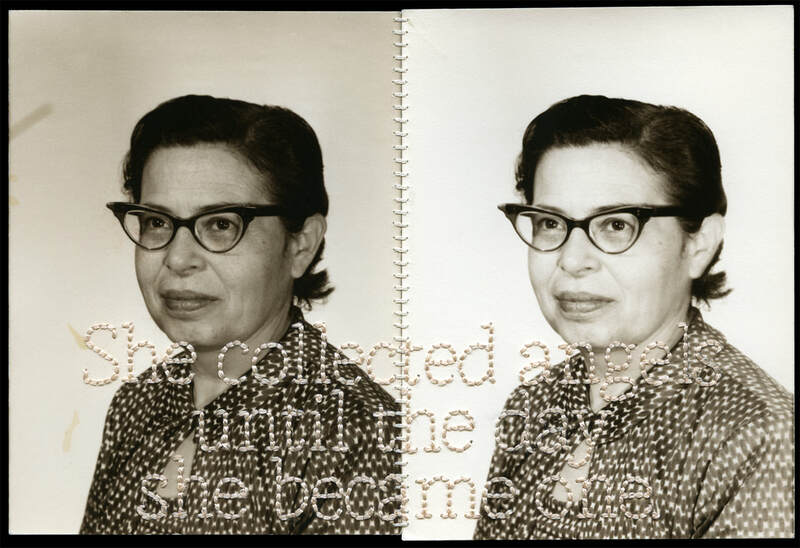 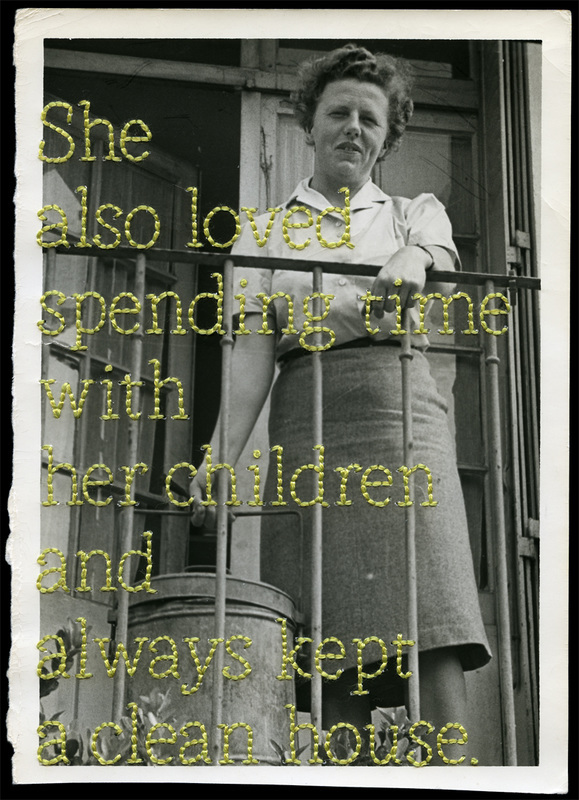 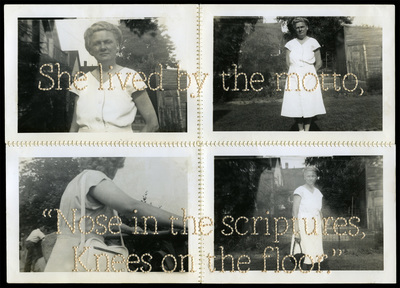 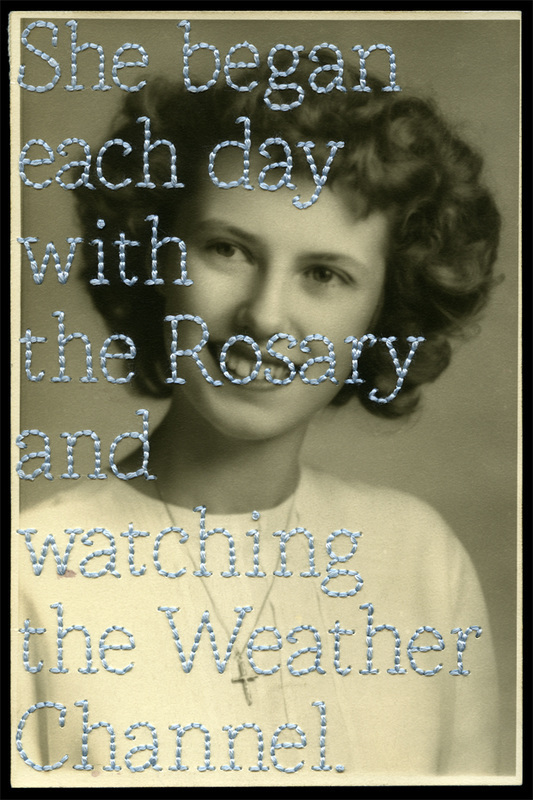 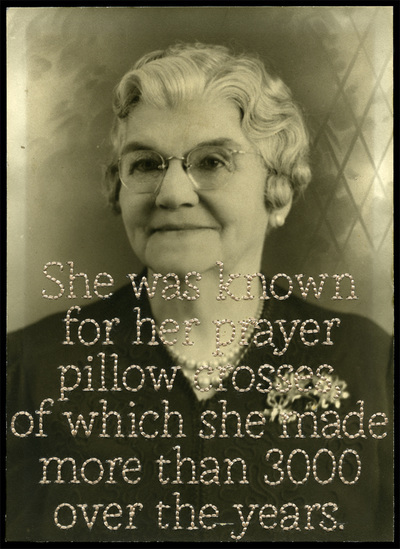 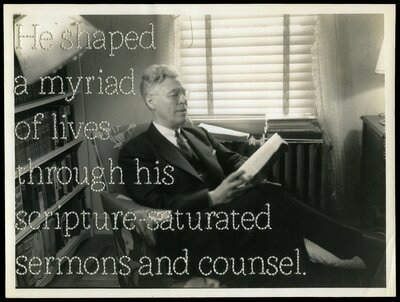 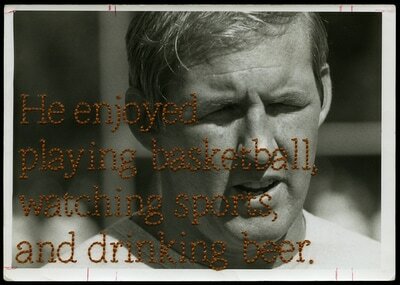 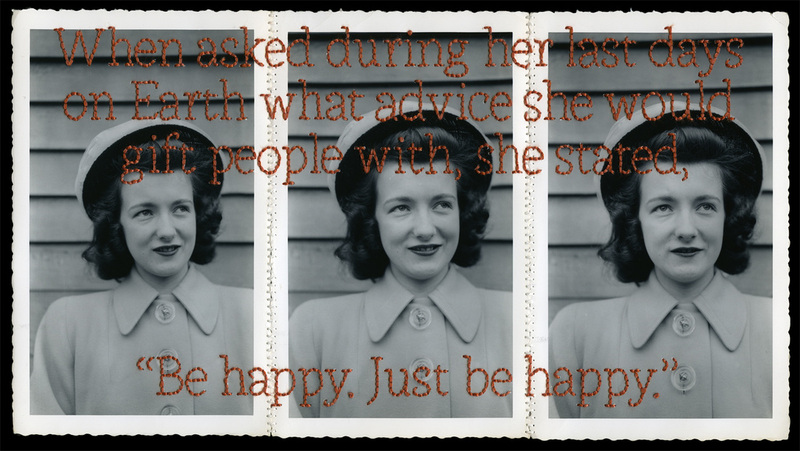 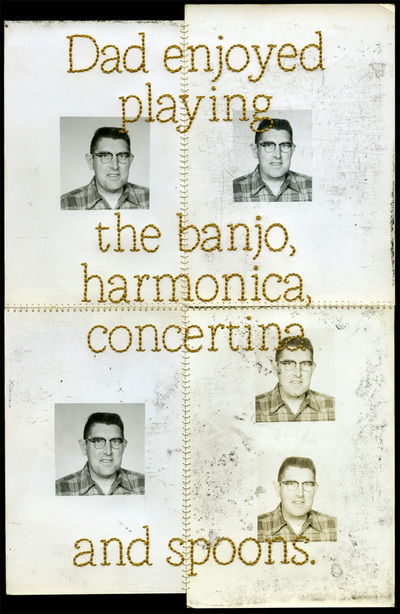 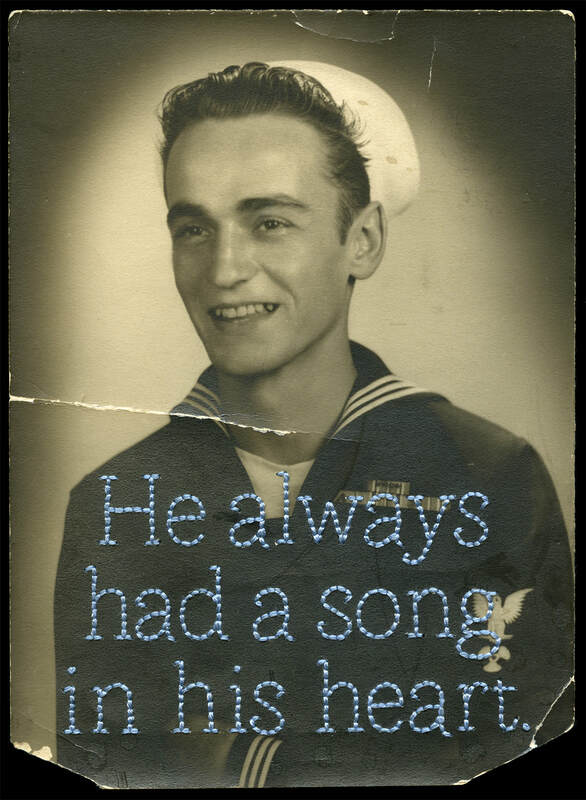 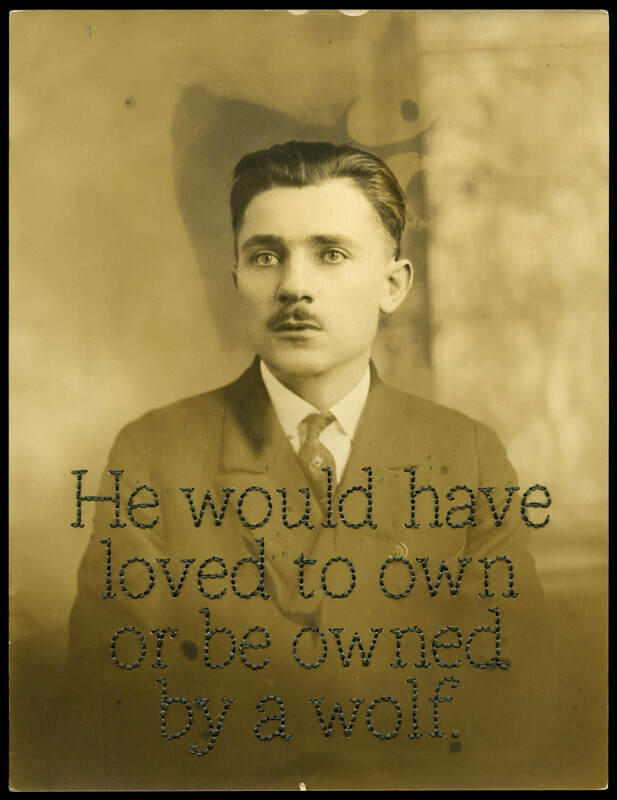 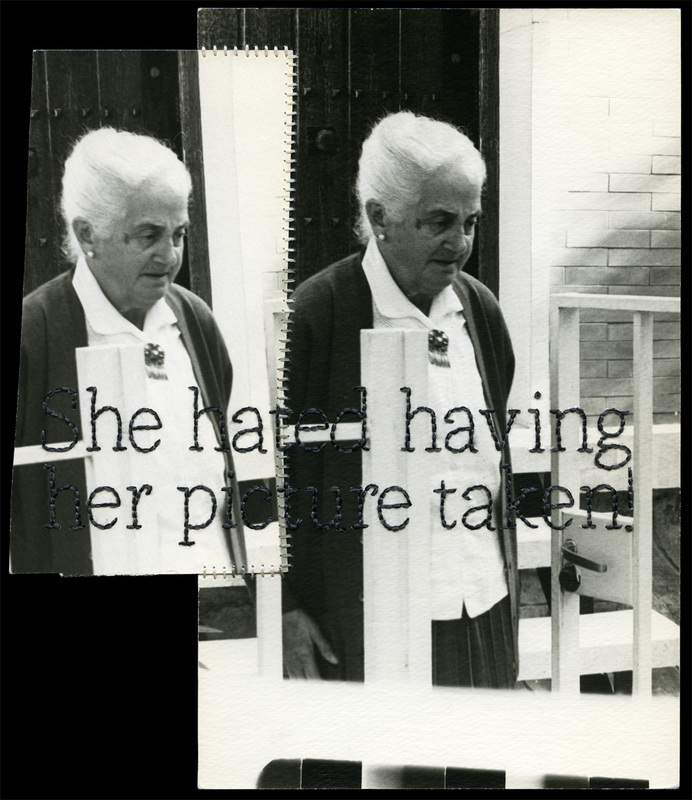 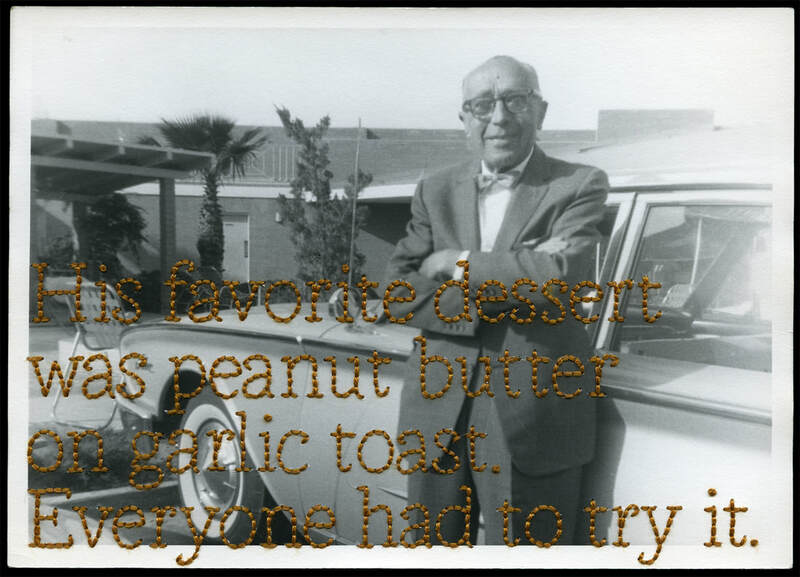 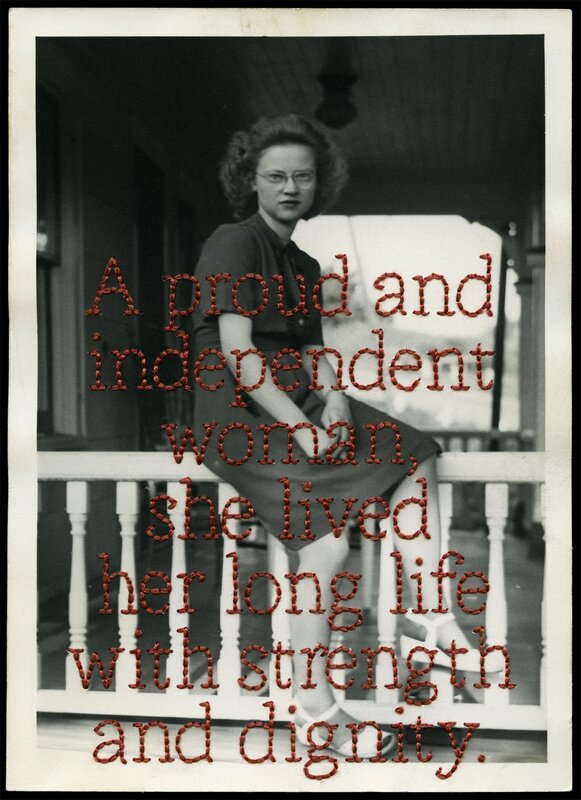 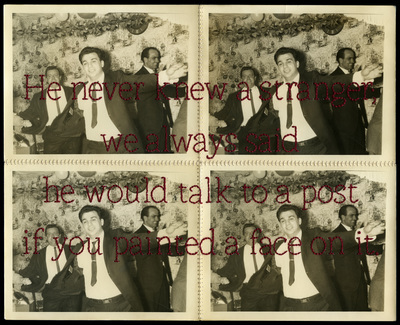 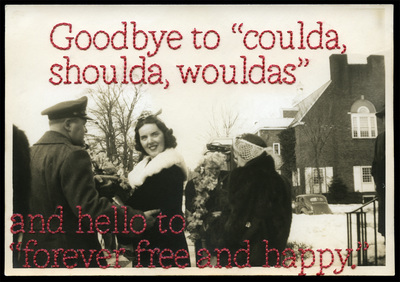 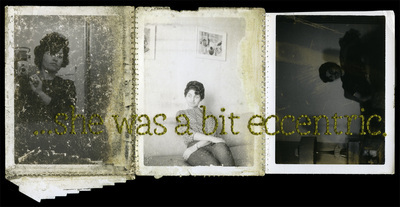 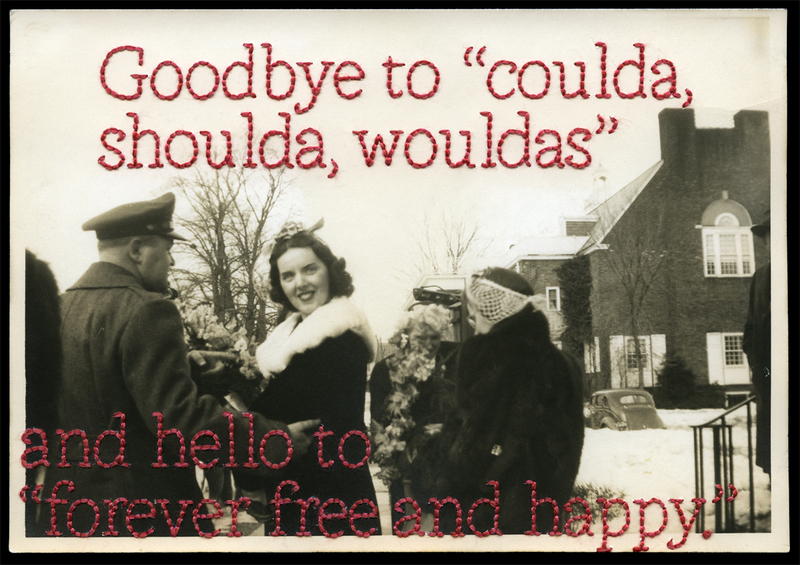 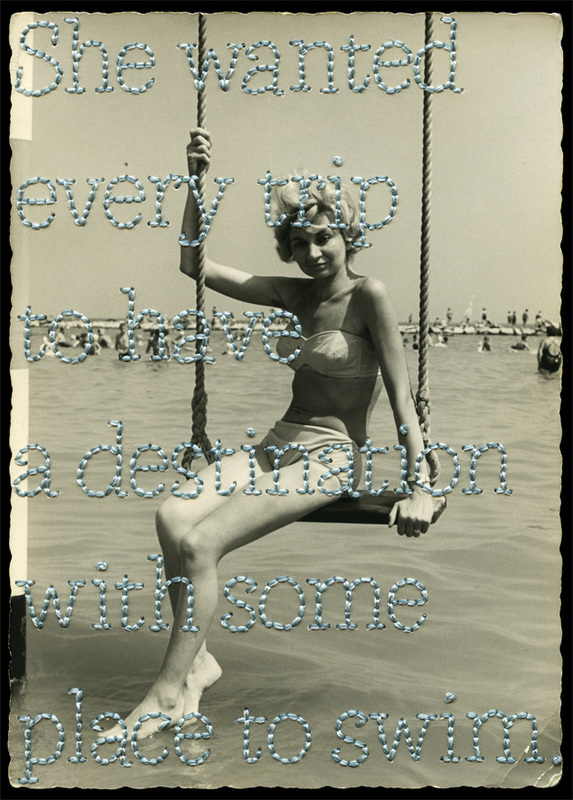 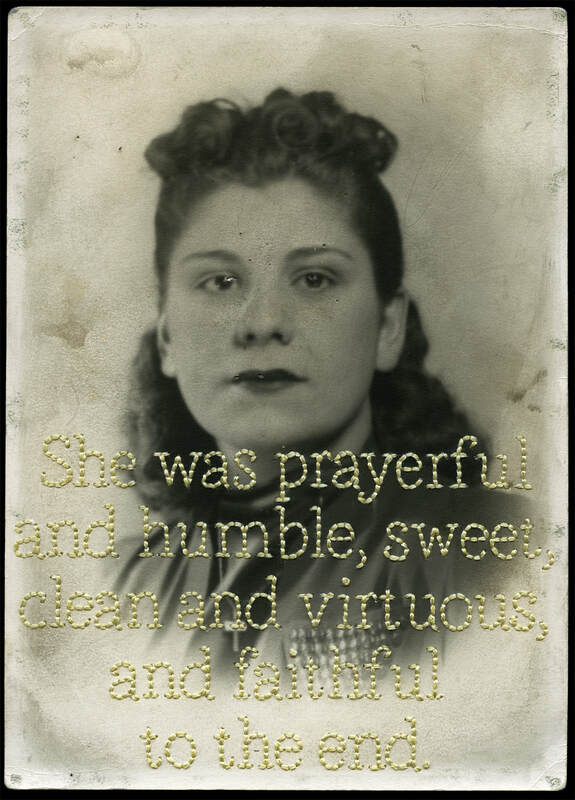 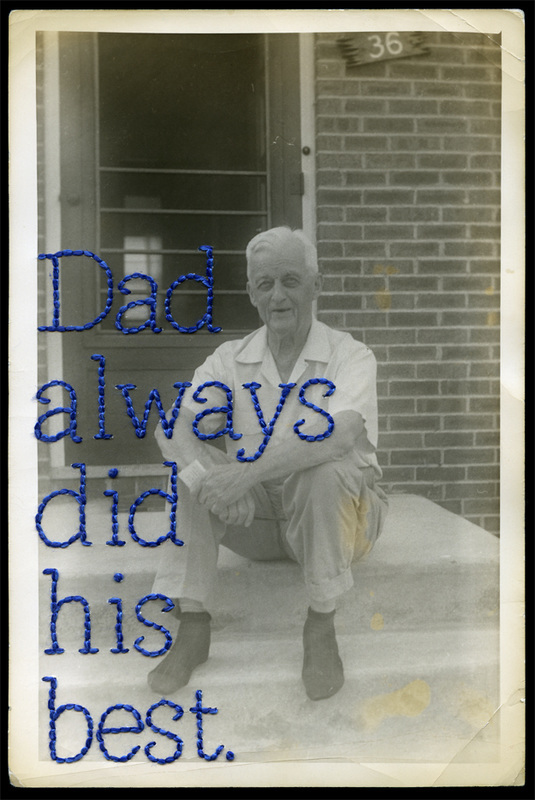 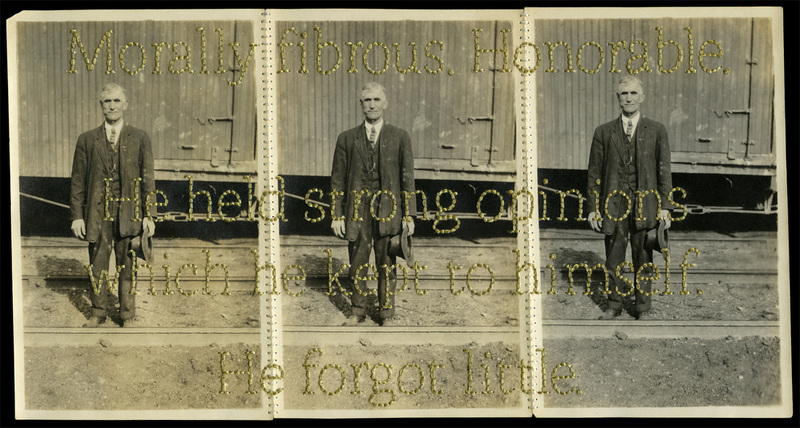 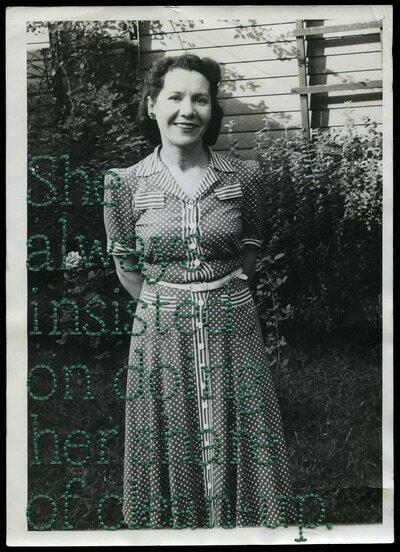 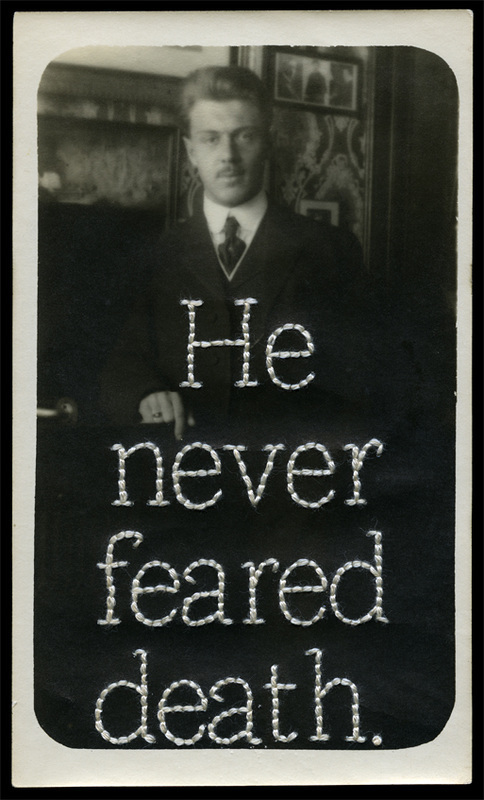 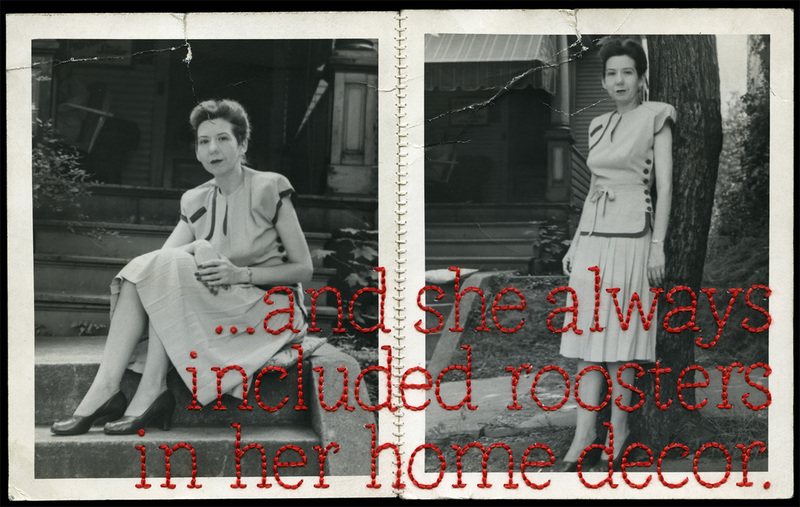 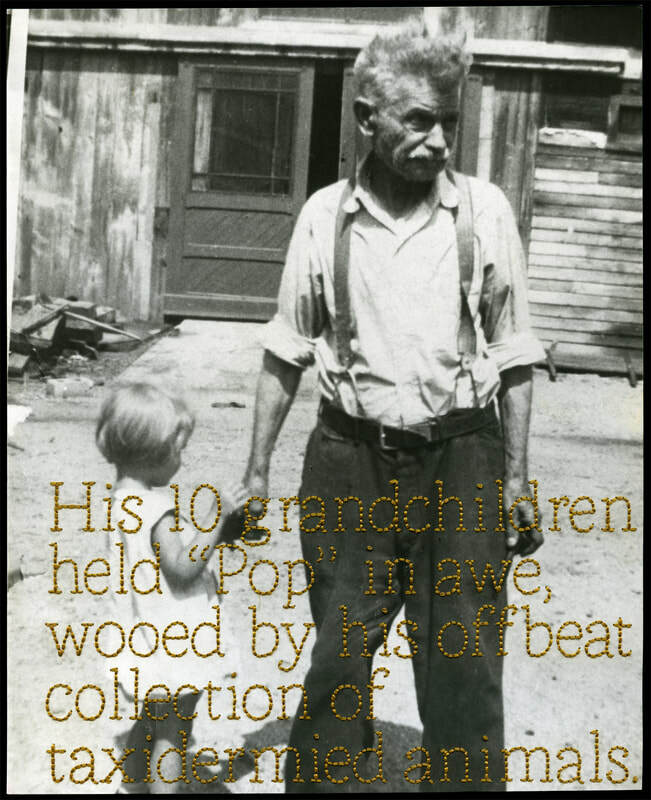 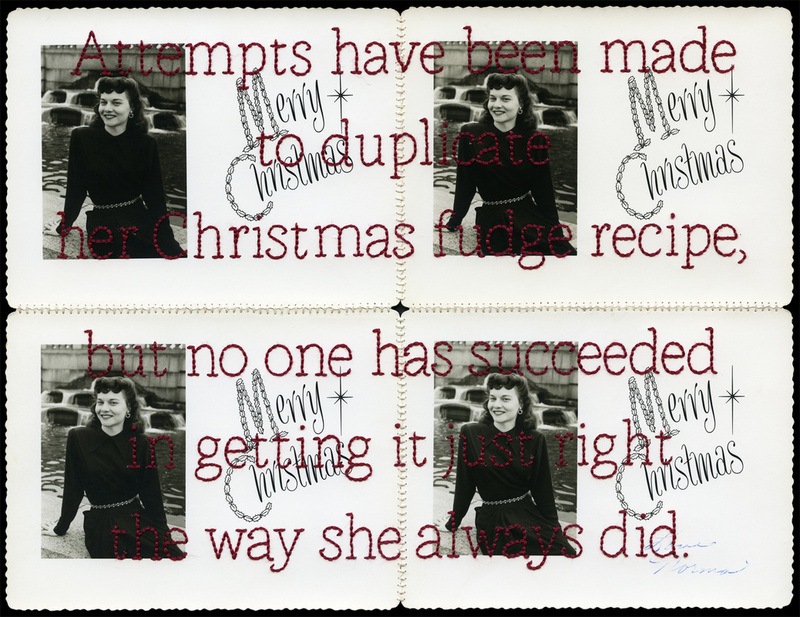 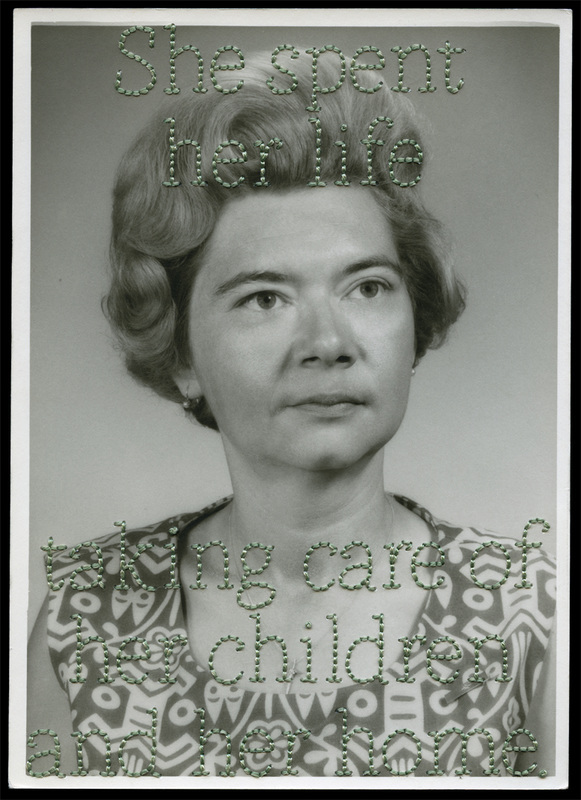 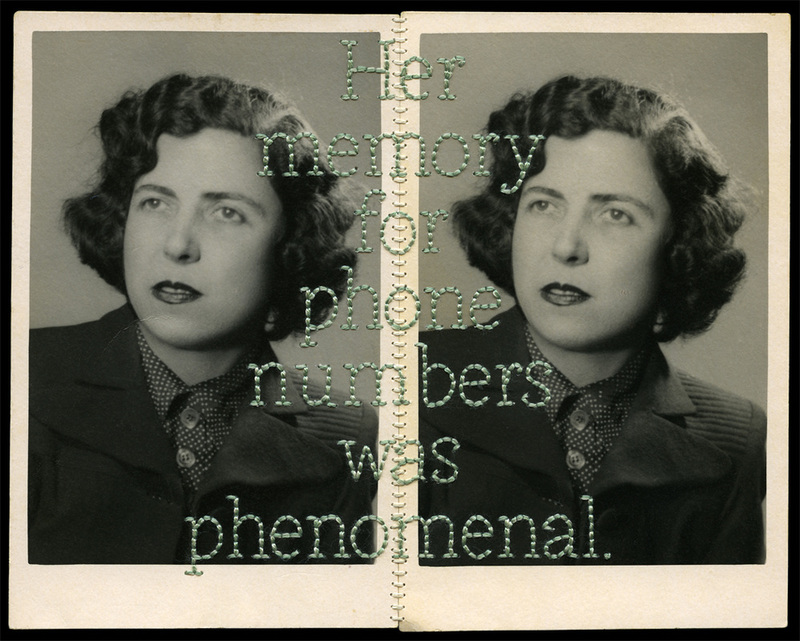 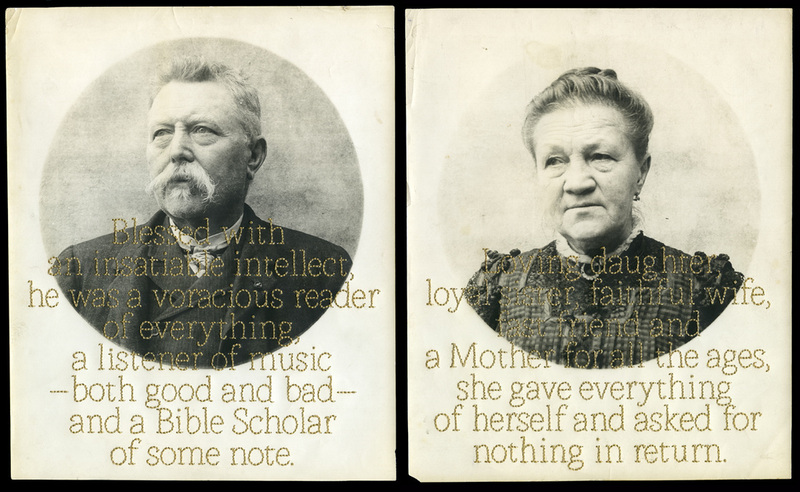 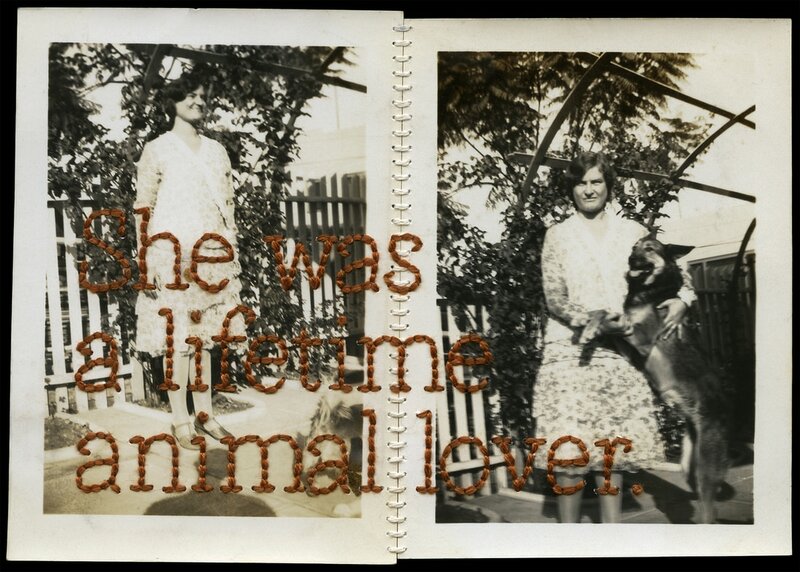 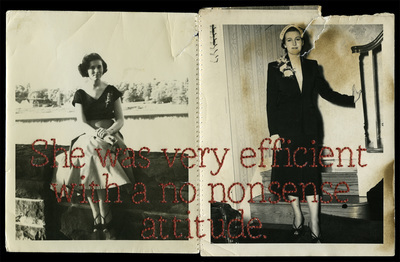 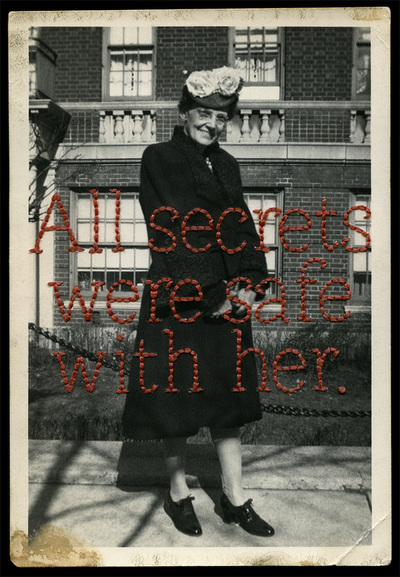 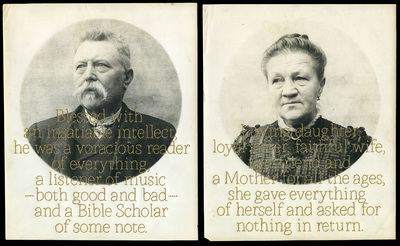 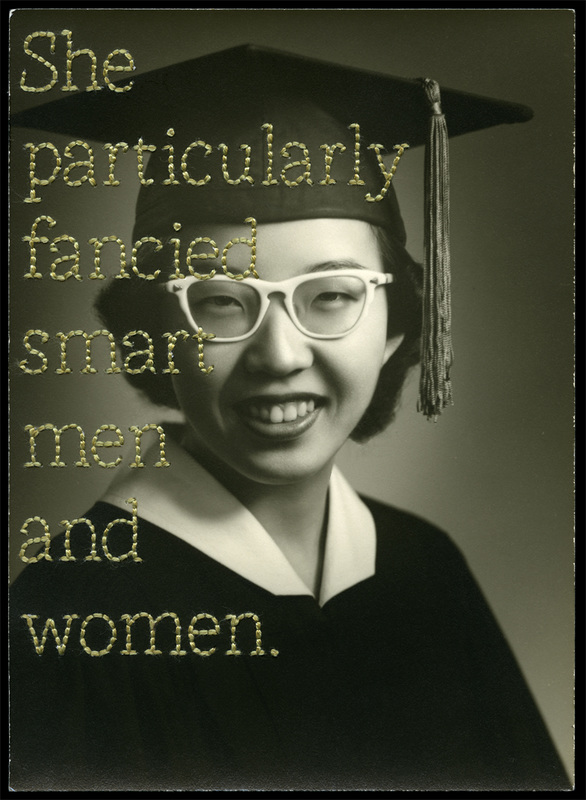 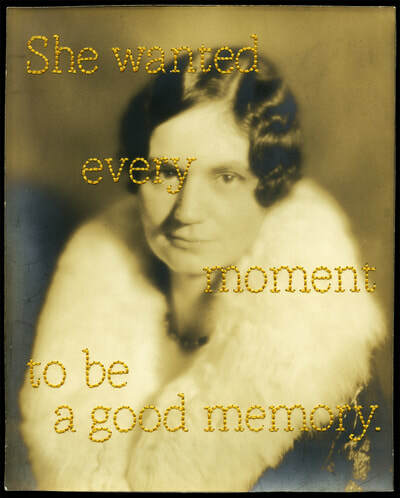 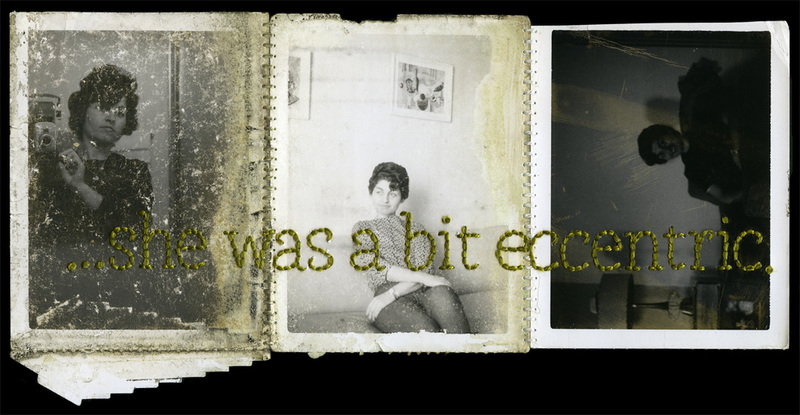 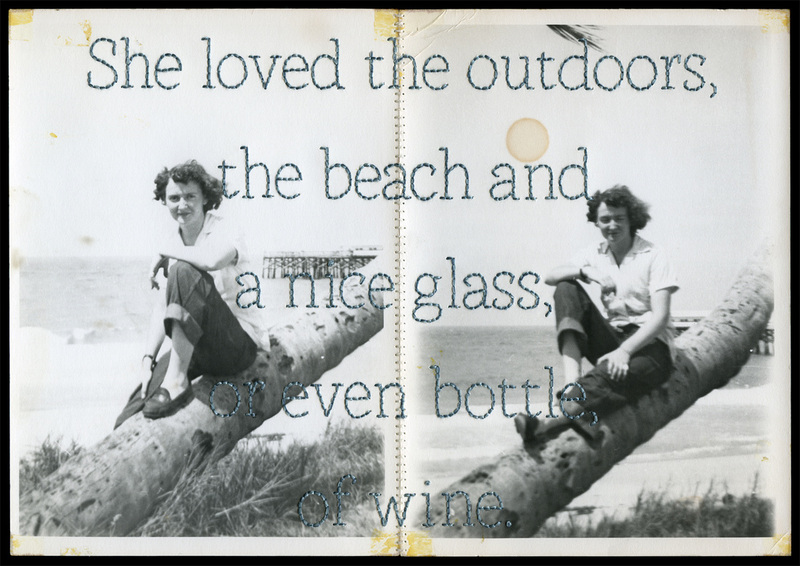 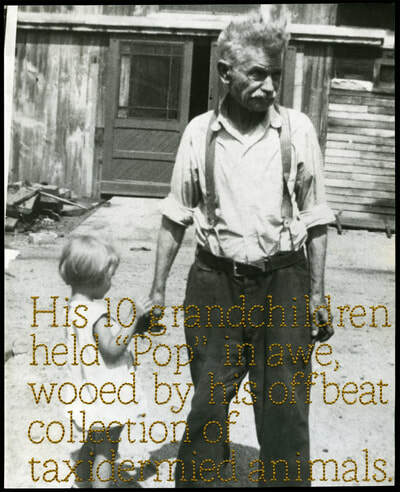 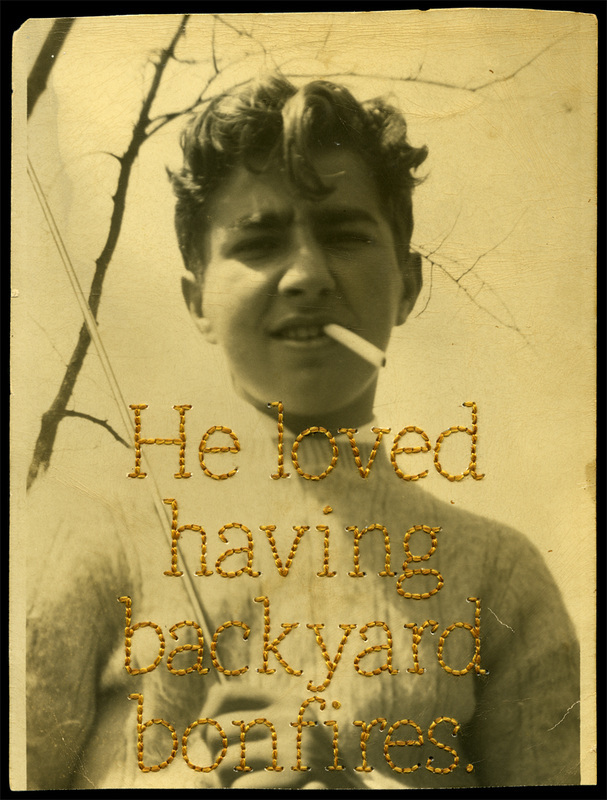 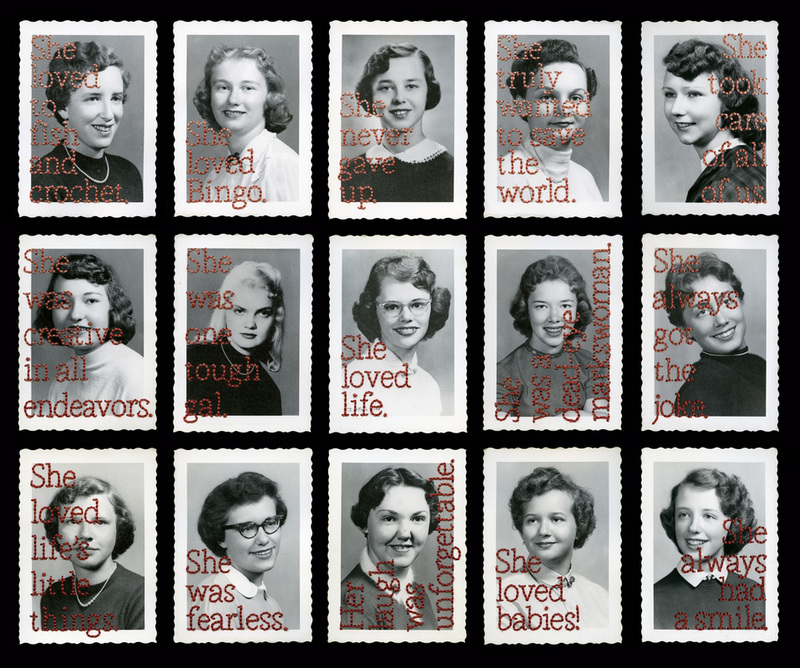 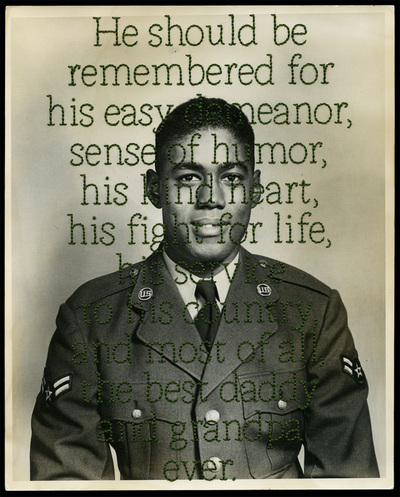 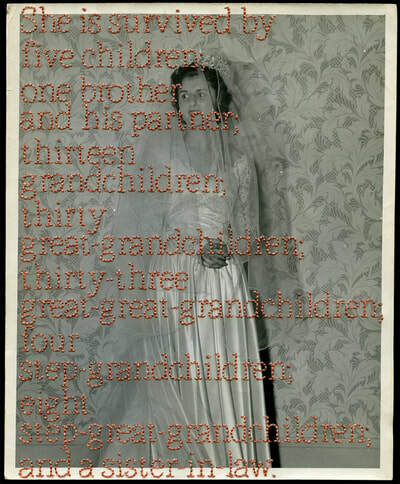 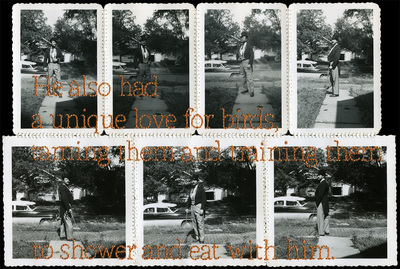 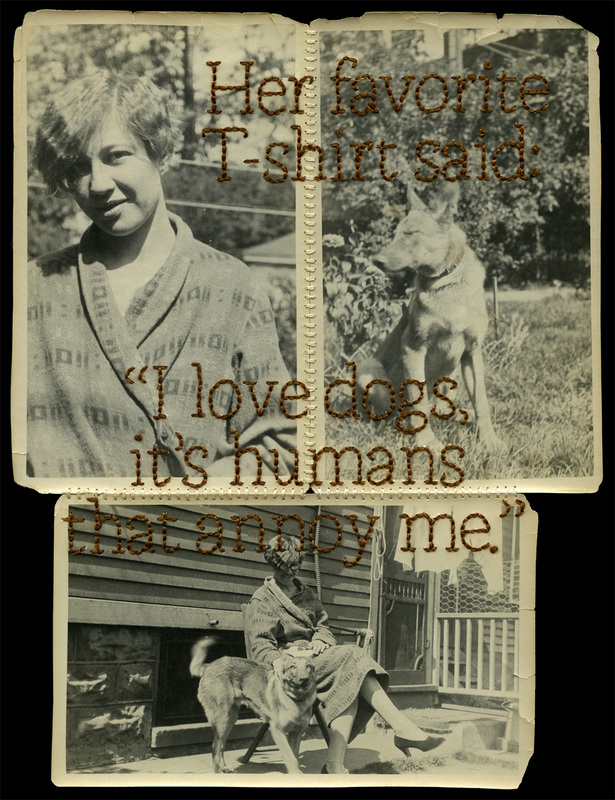 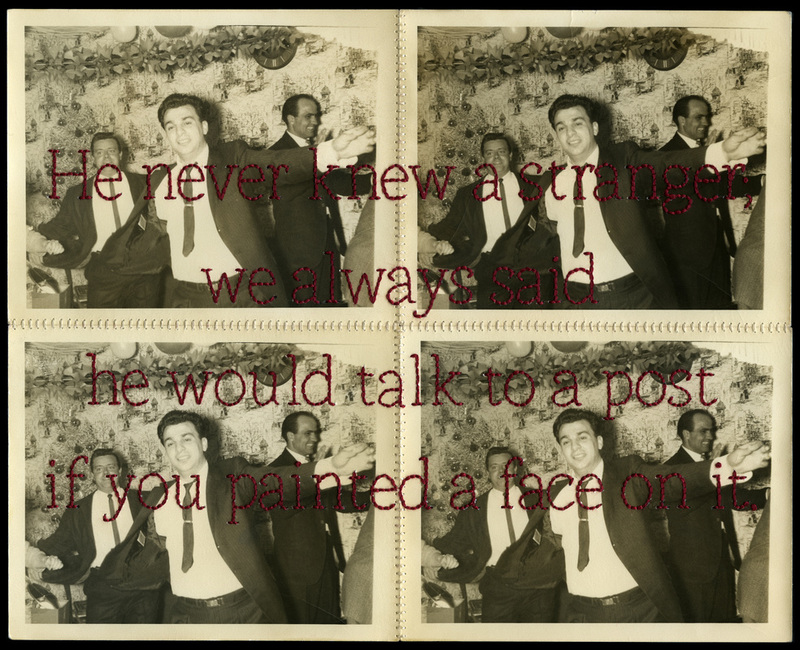 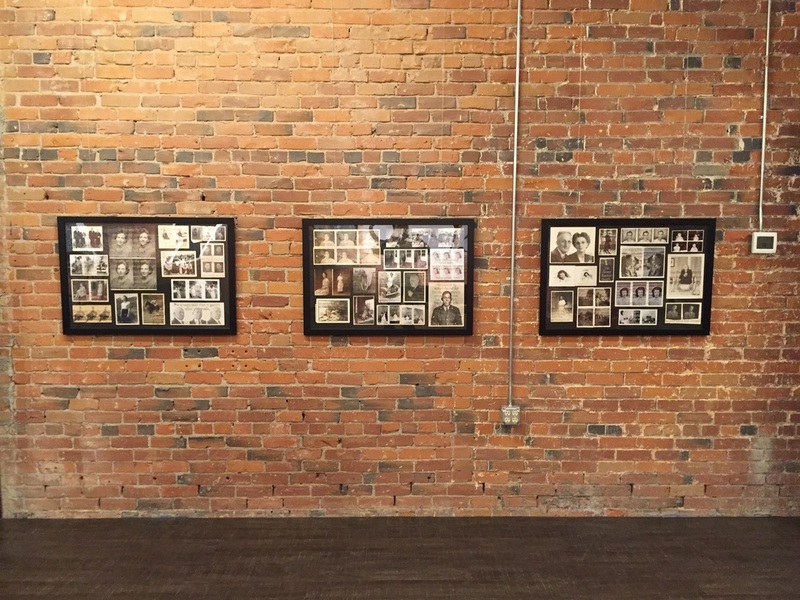 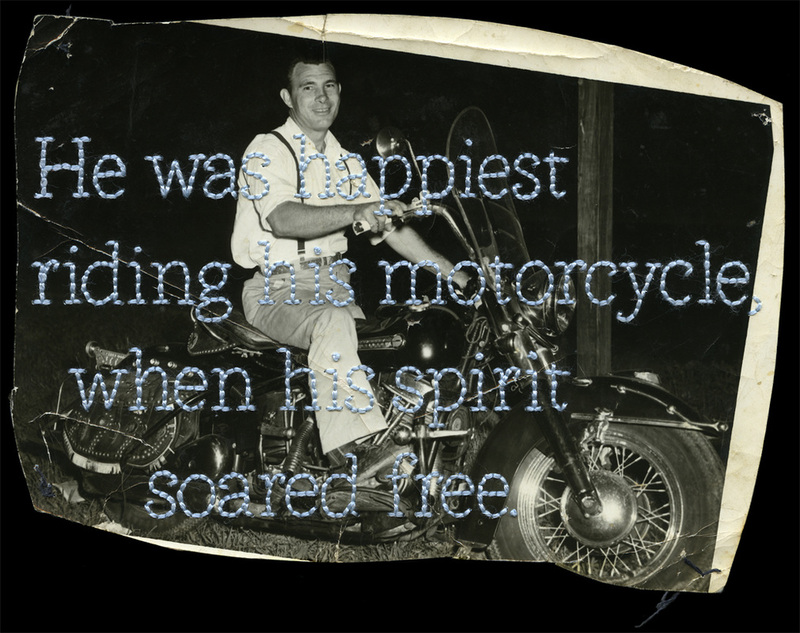 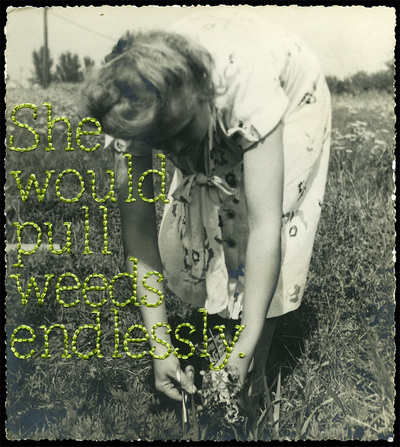 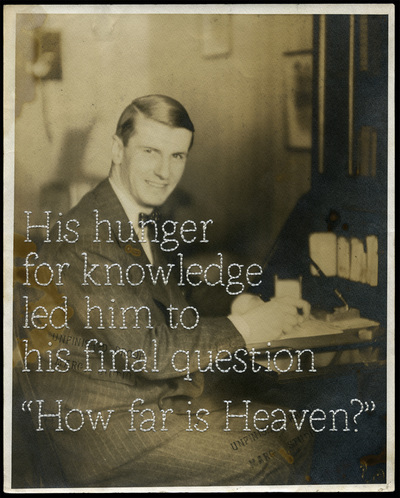 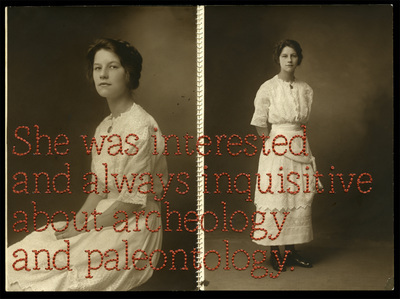 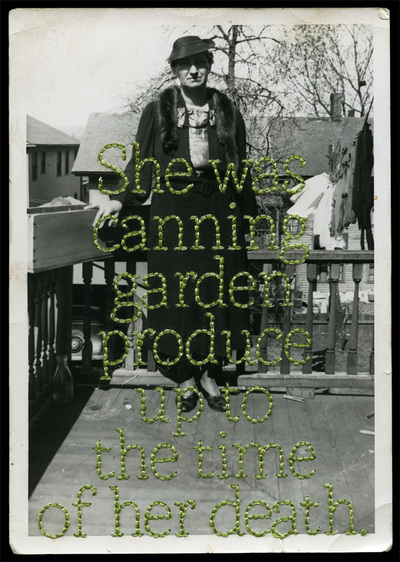 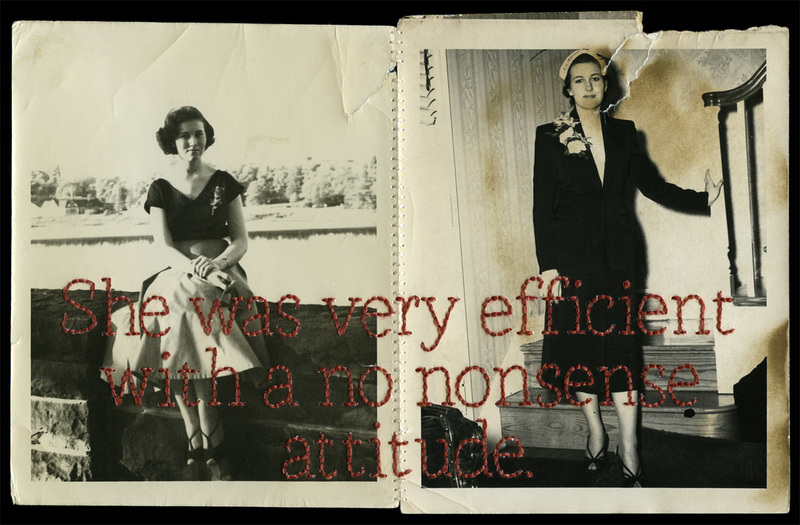 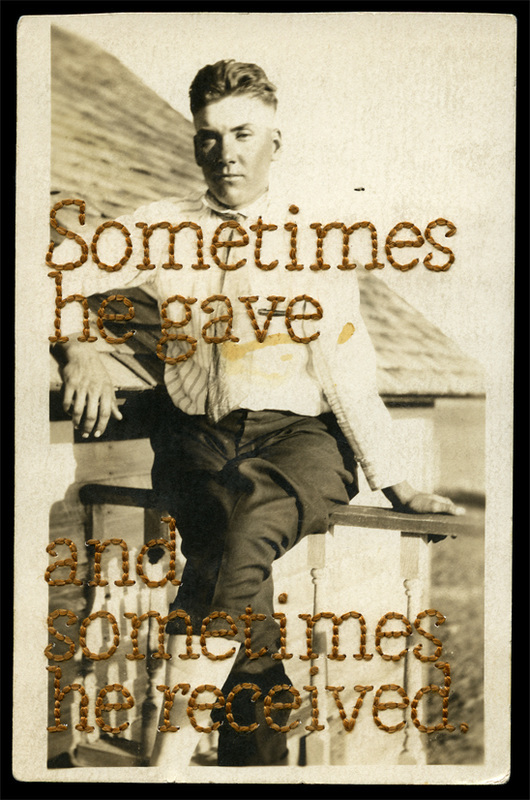 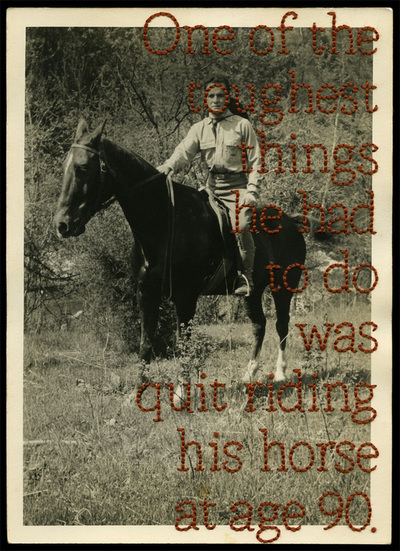 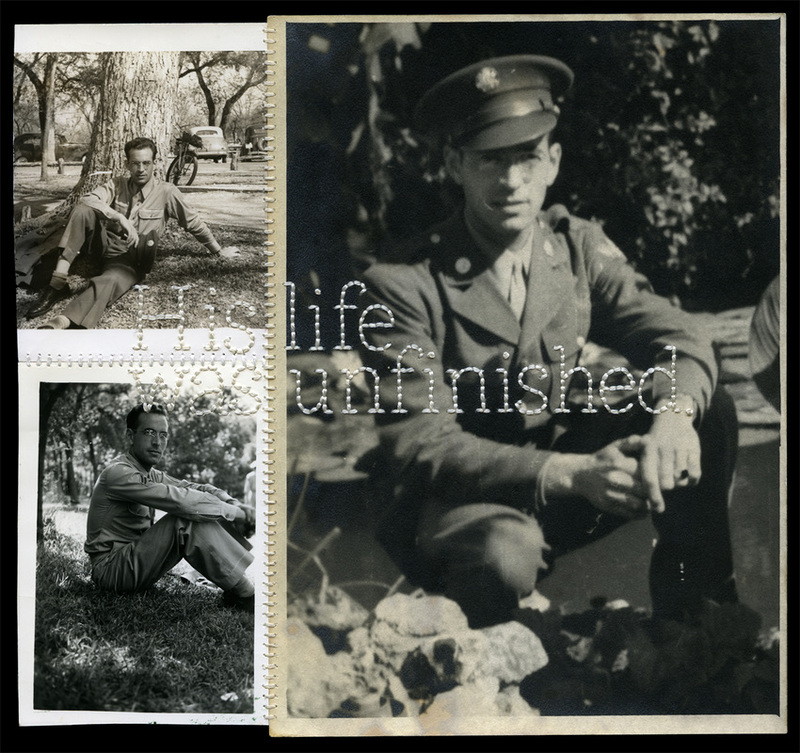 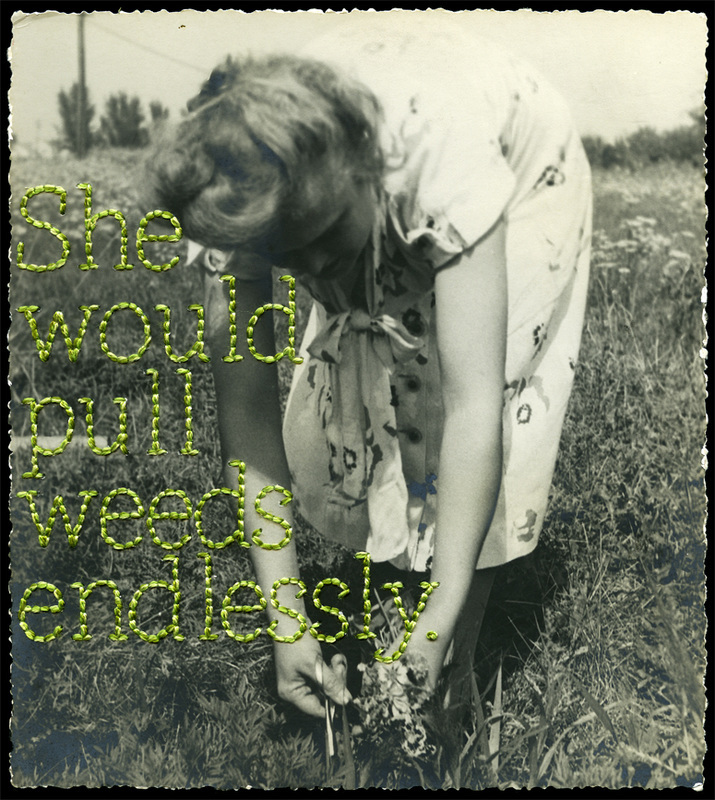 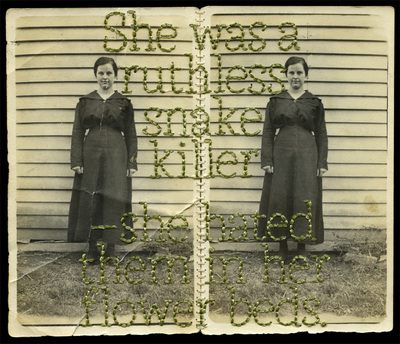 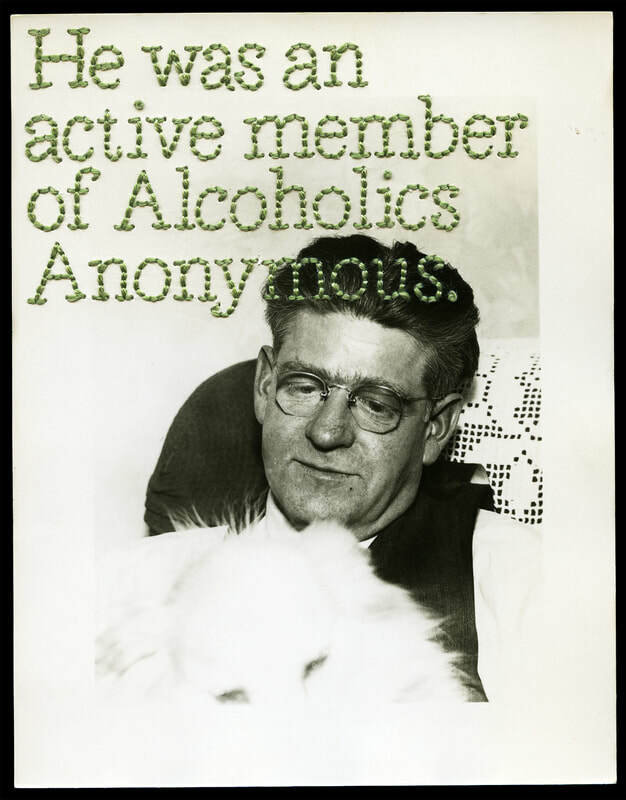 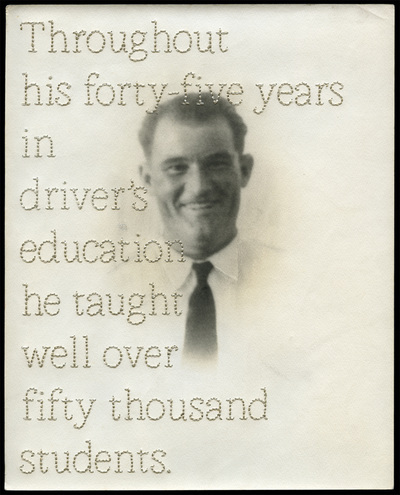 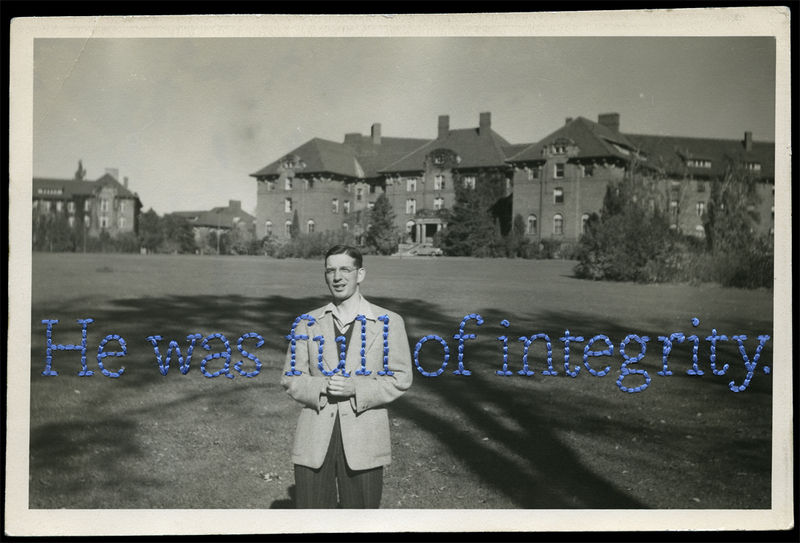 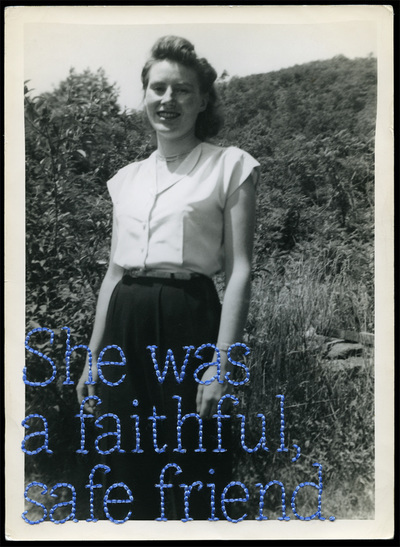 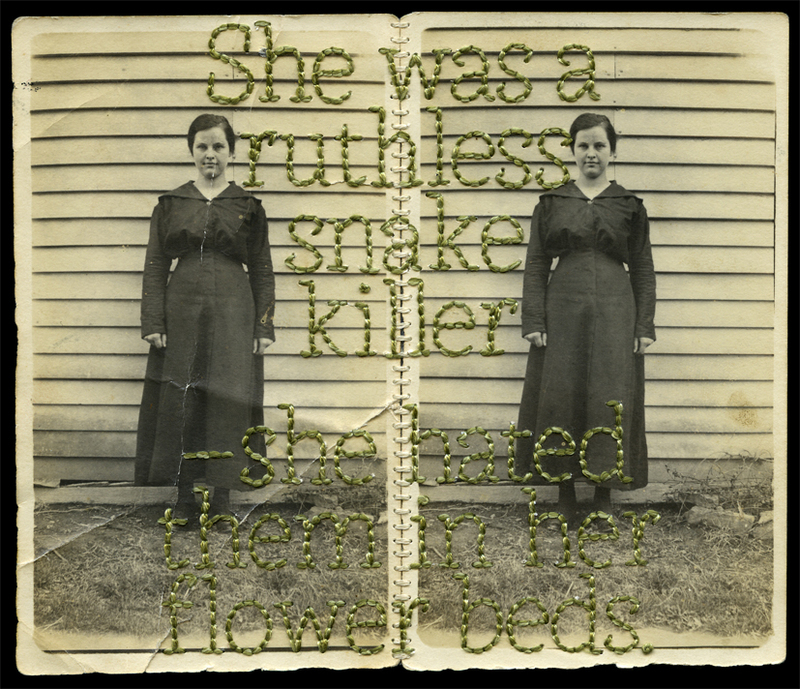 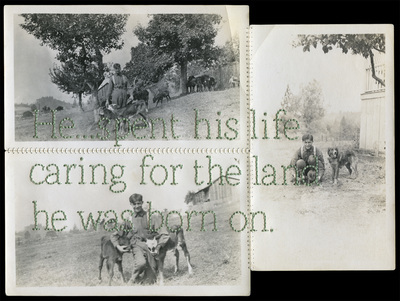 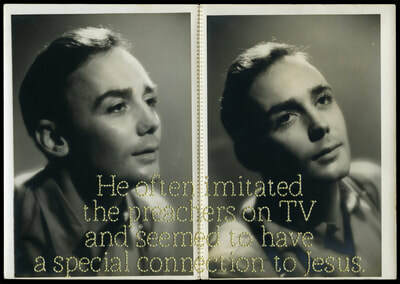 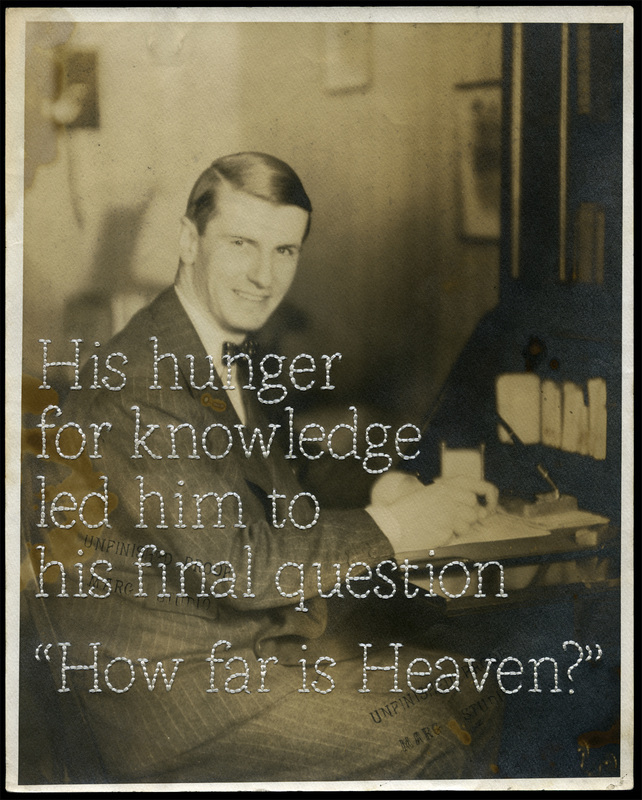 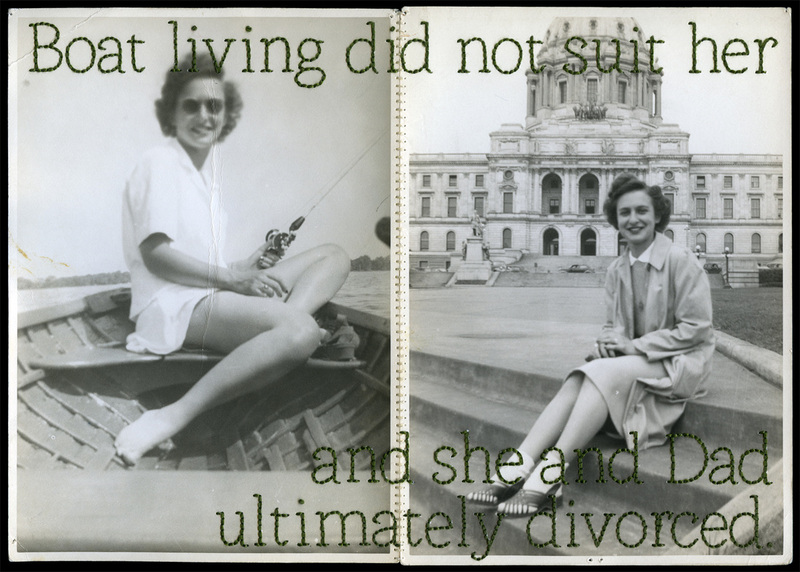 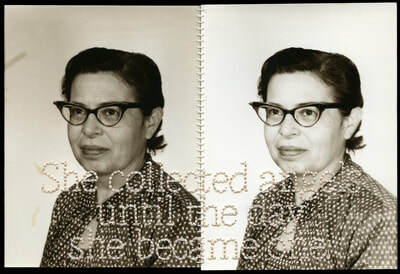 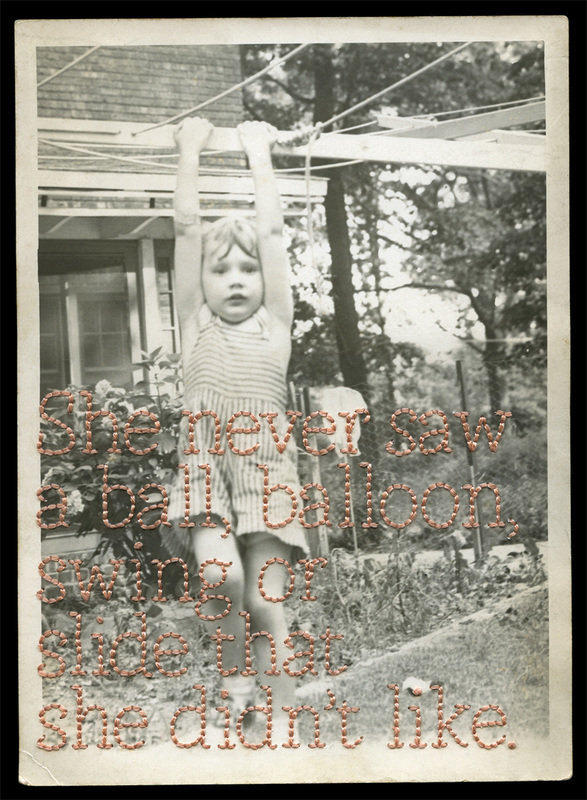 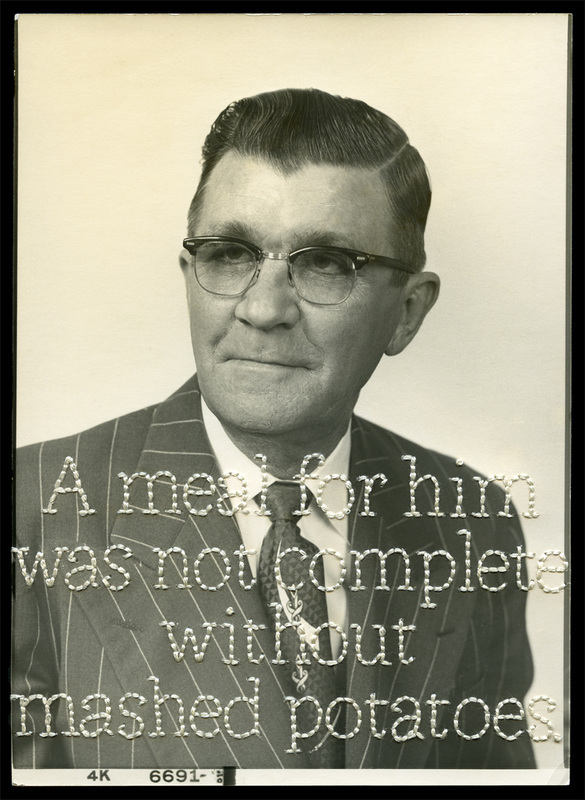 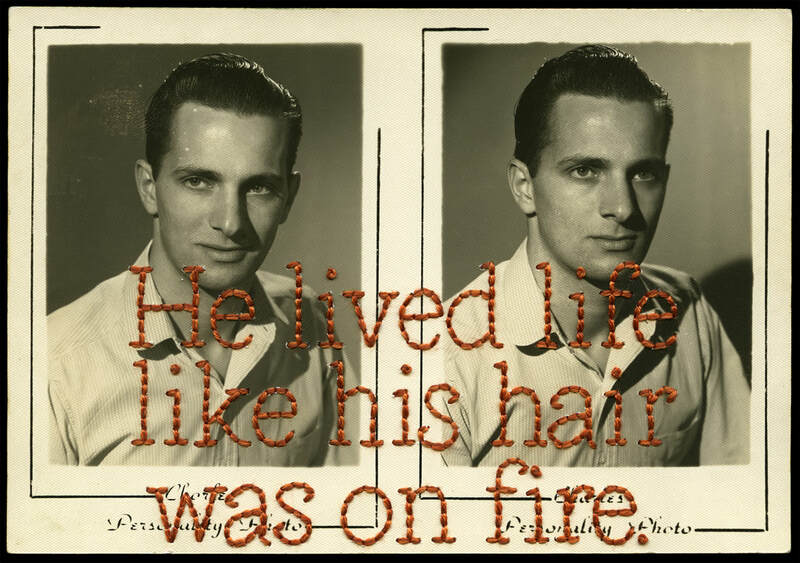 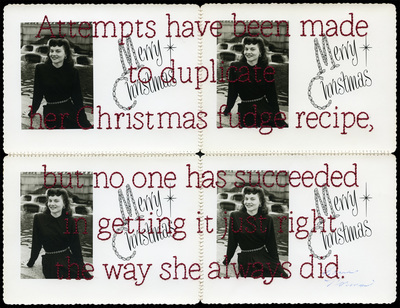 My combinatorial project, “Remember me: a collective narrative in found words and photographs,” intimately connects vernacular photos with hand-embroidered anecdotes culled from family/friend-written obituaries. 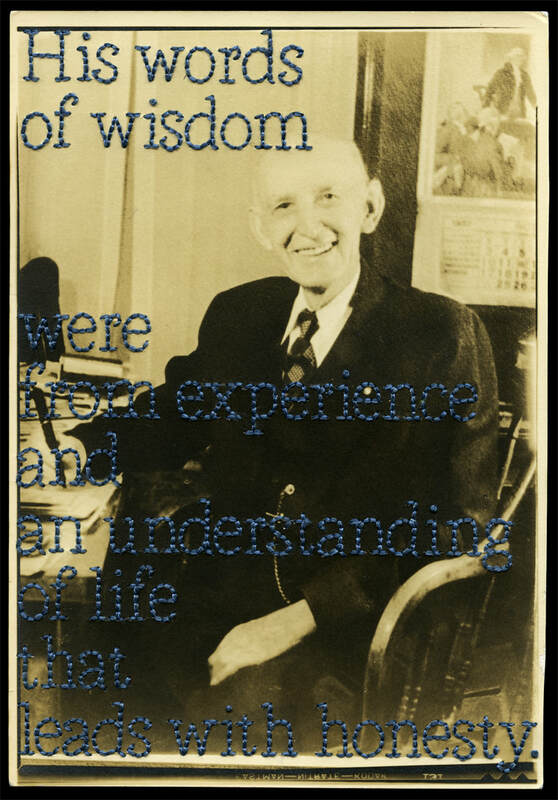 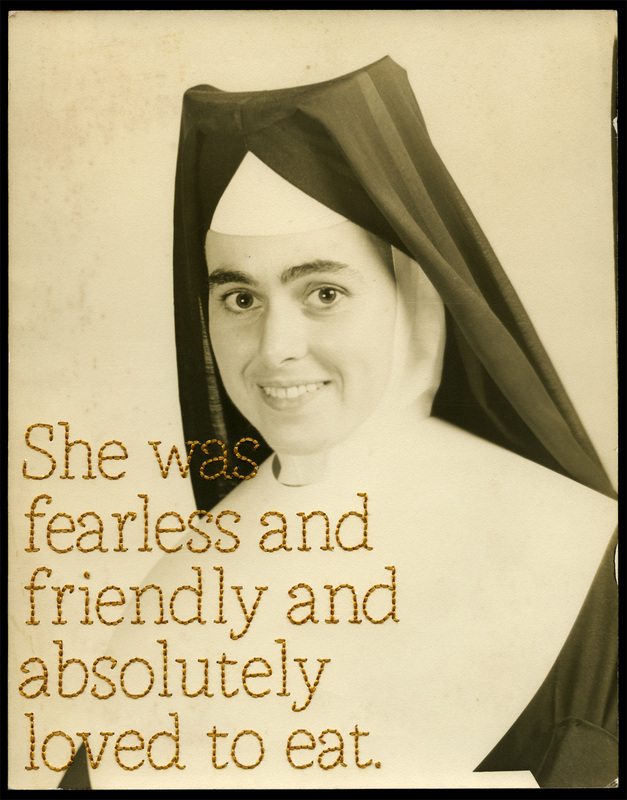 Both synopsize familiar human experiences — living, loving — and were created for personal use. 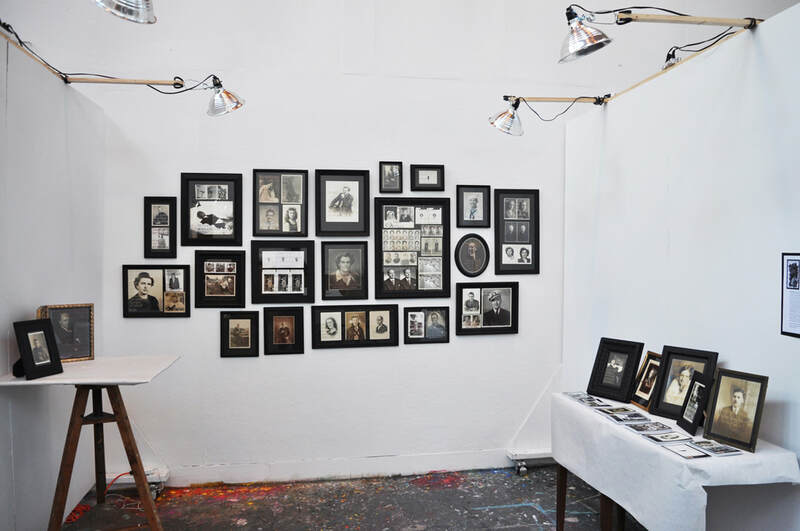 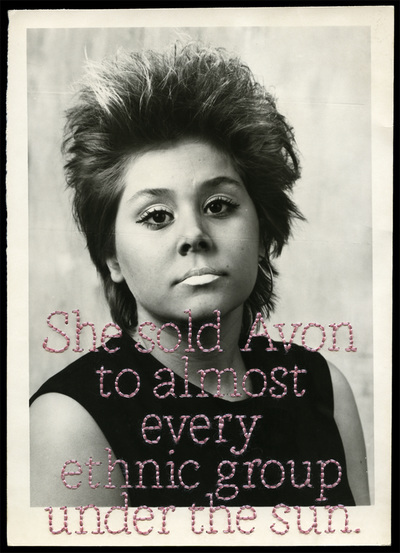 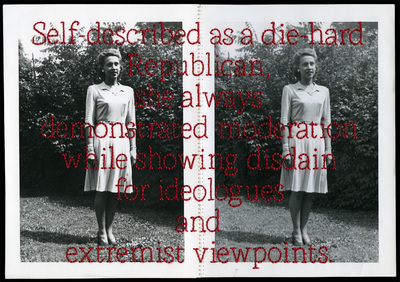 Here the photos “read” the texts and vice versa, teasing pretension, tragi-comedy and profound truths about the human condition from sentimental artifacts. 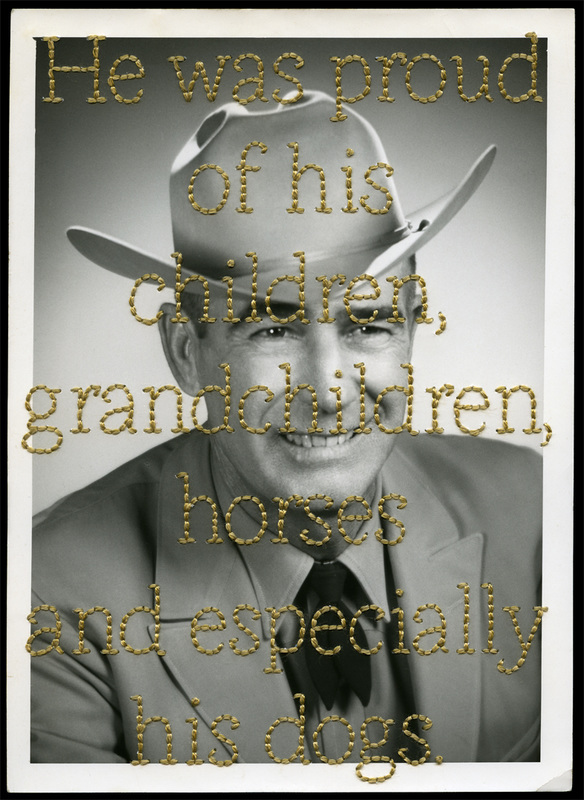 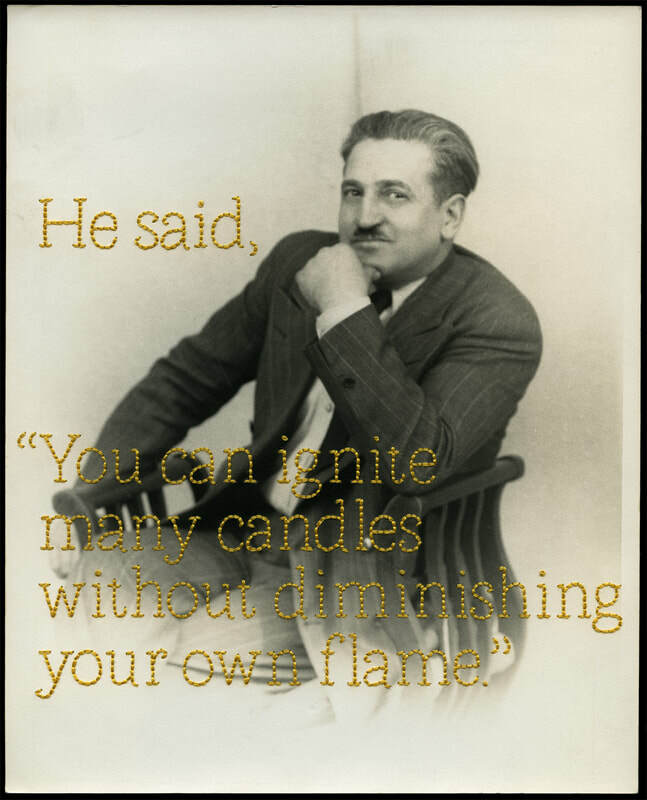 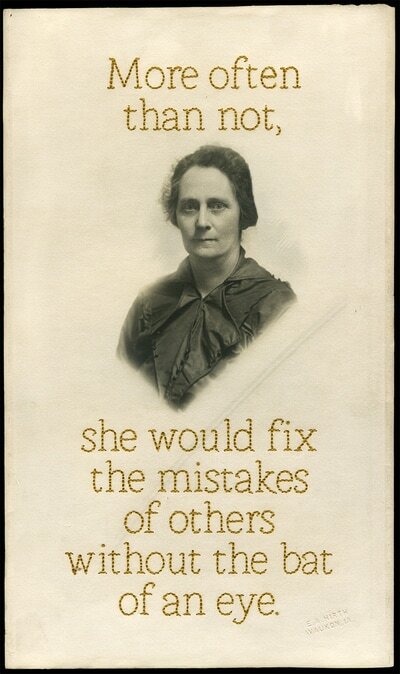 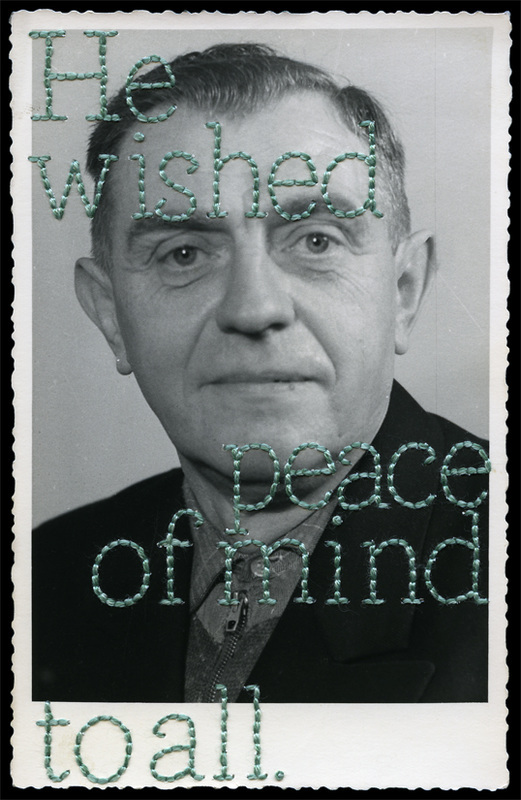 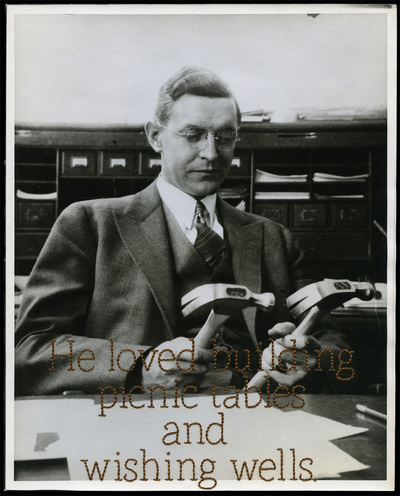 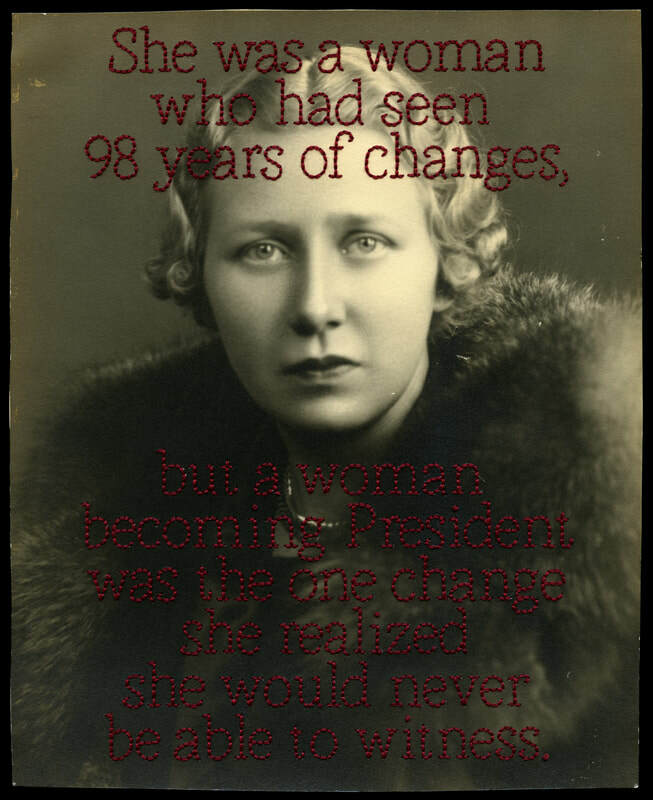 In seeking empathetic connections, I create representative keepsakes. 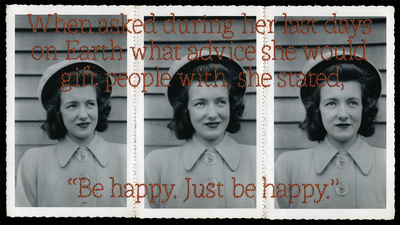 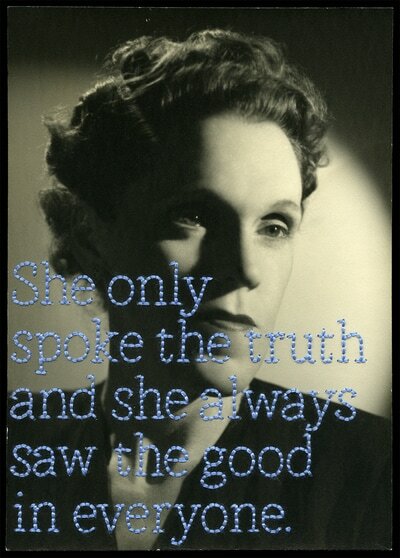 ​We see our personal truths reflected, through photos and words, in the lives of others. 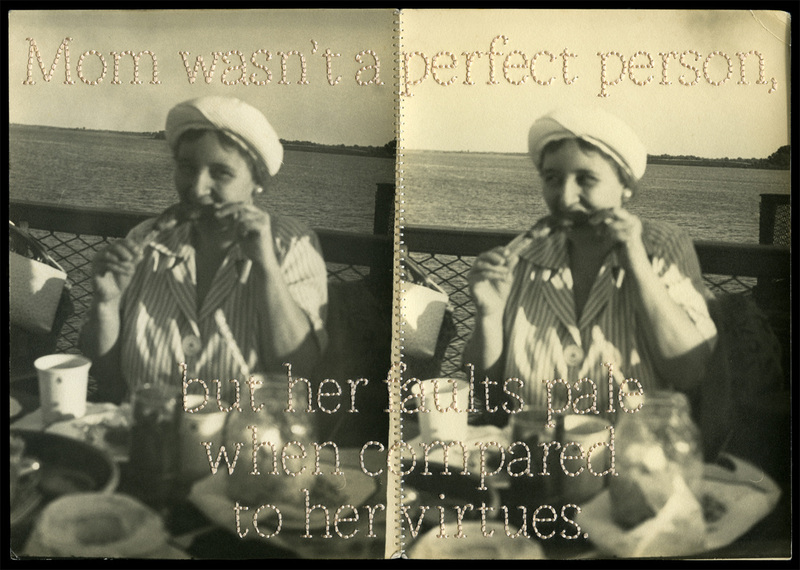 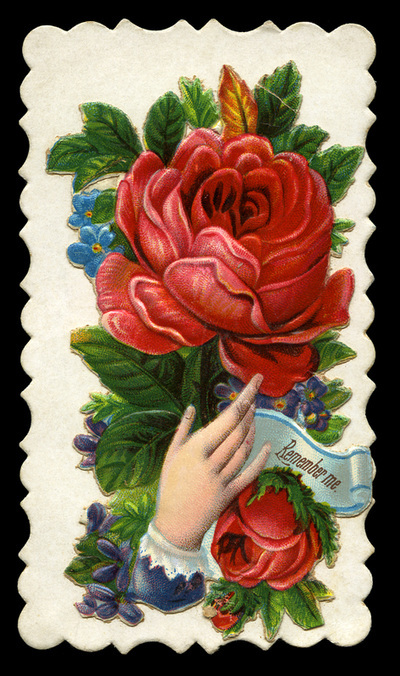 We are reminded, in this acrimonious age, of our commonalities.